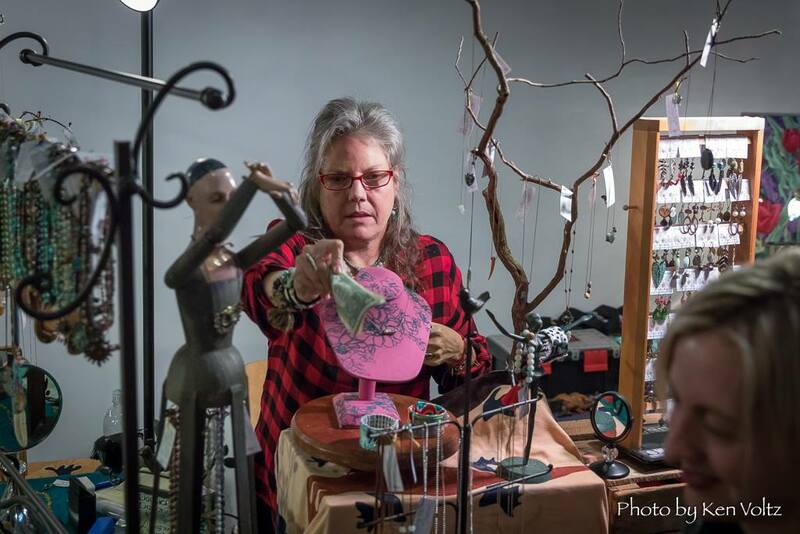 If you thought Shannon Whitworth was a talented artist before, wait until you see her paintings or pottery. 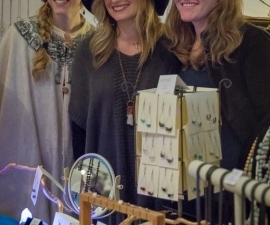 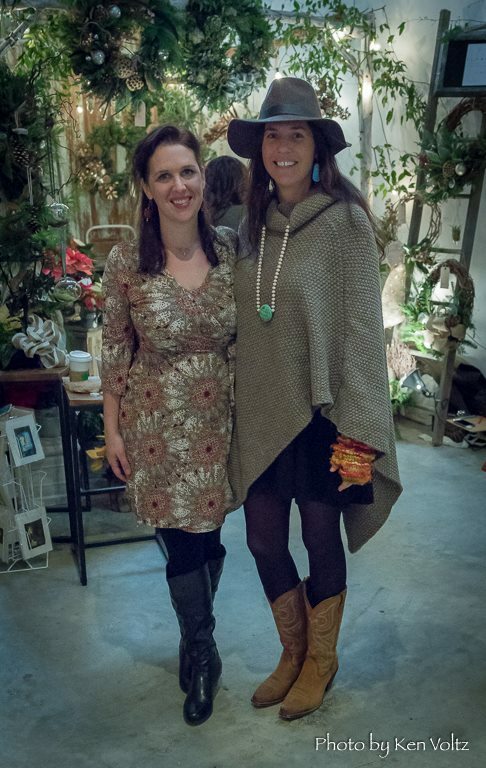 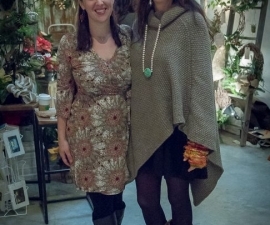 With friend and fellow singer-songwriter Sarah Sisking, a jeweler, Shannon will host a throwdown holiday art party, Brevard style. 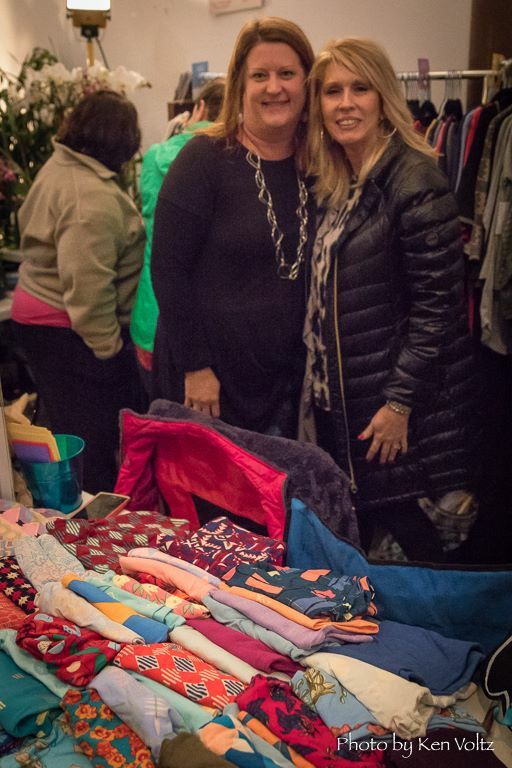 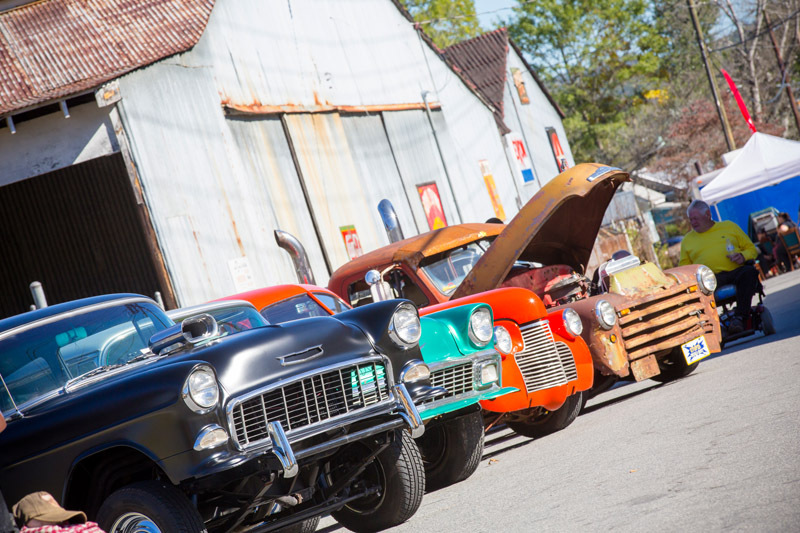 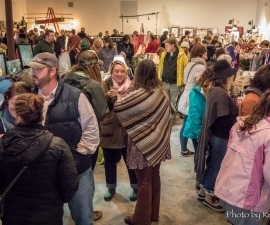 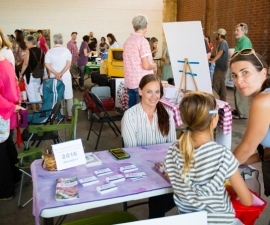 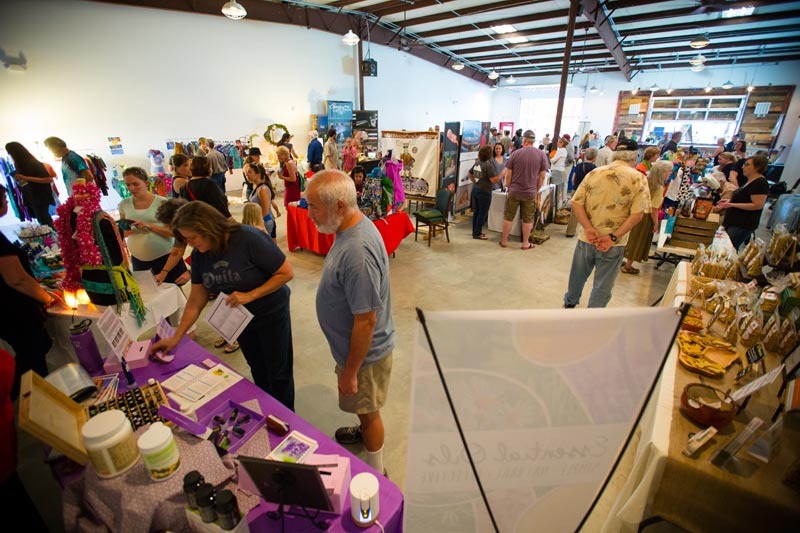 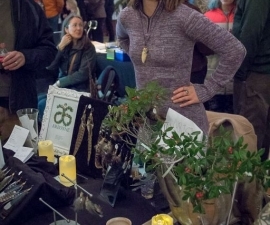 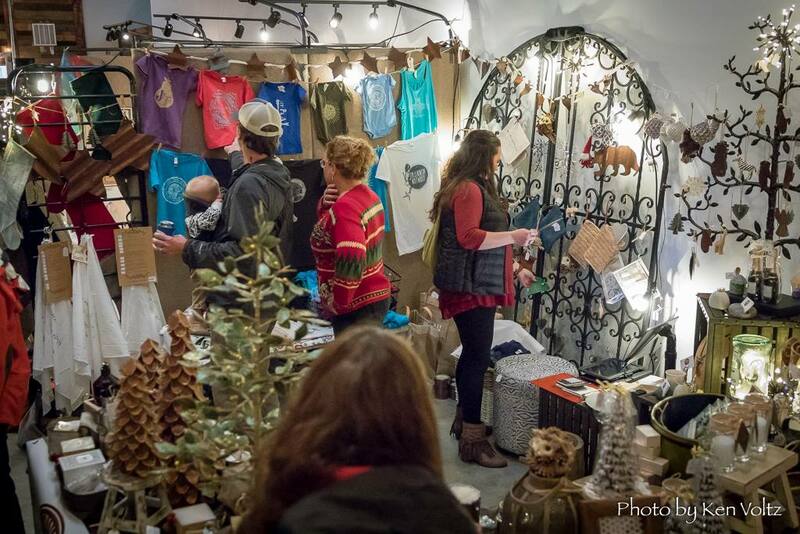 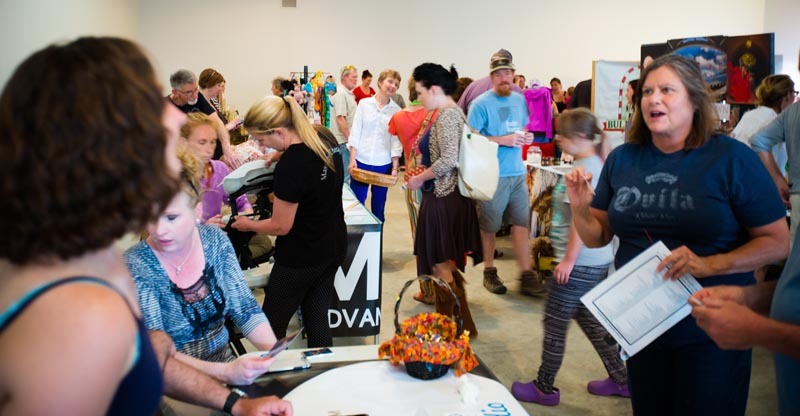 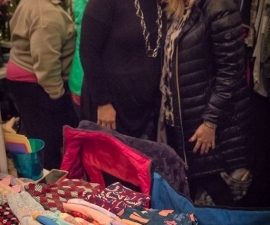 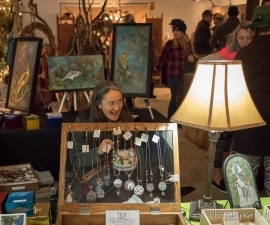 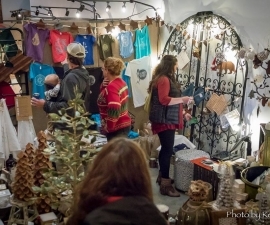 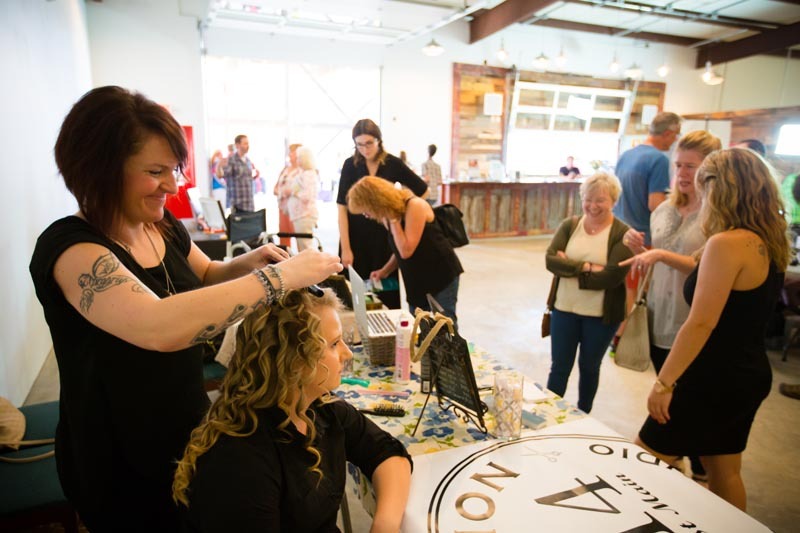 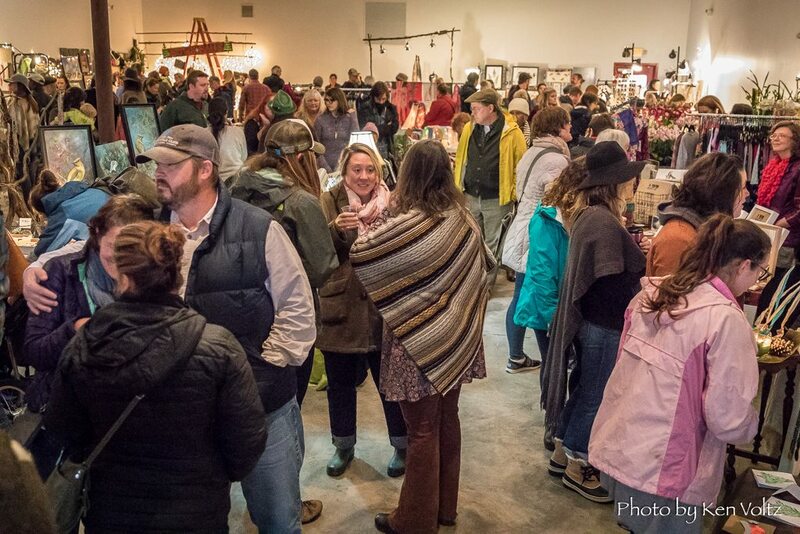 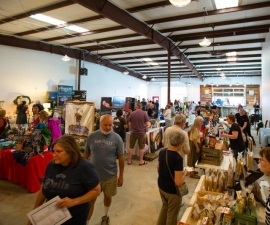 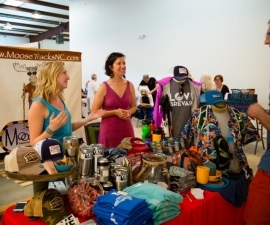 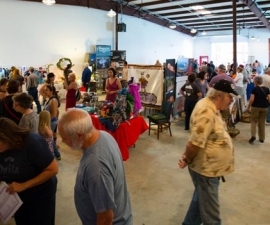 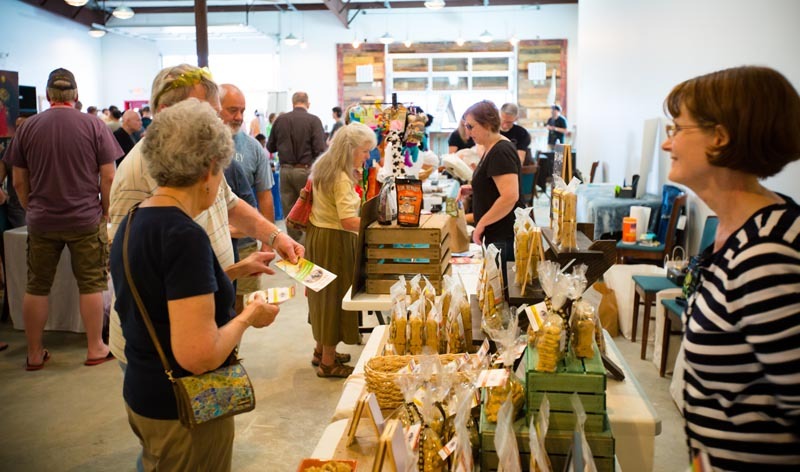 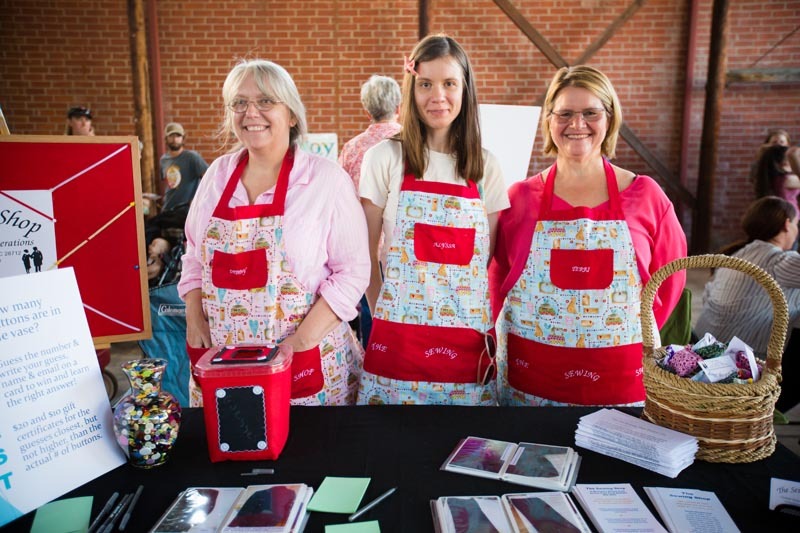 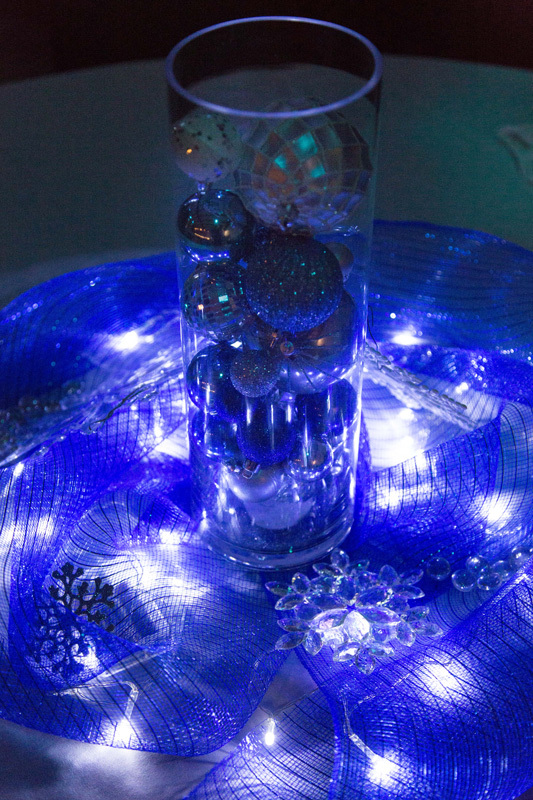 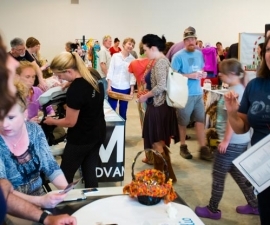 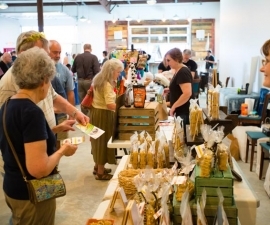 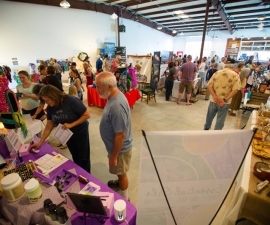 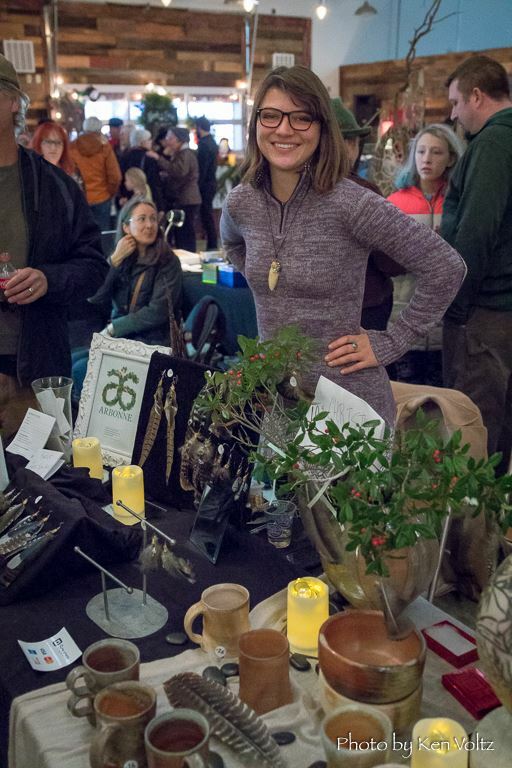 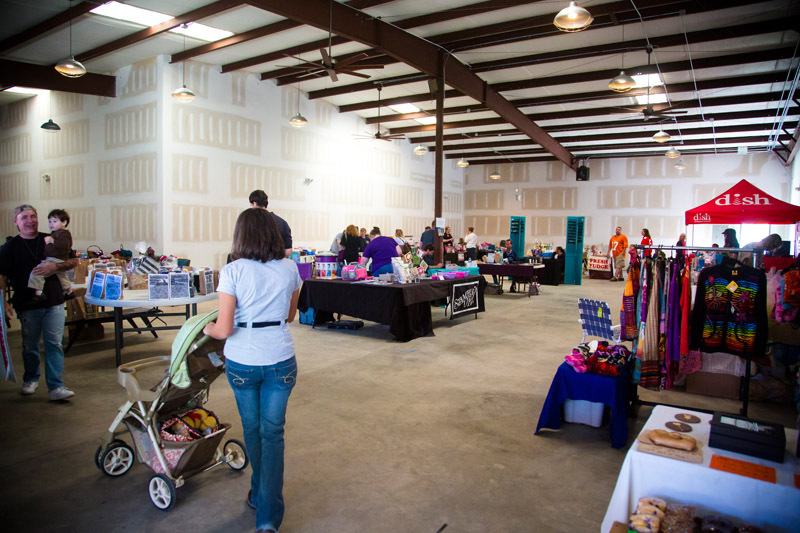 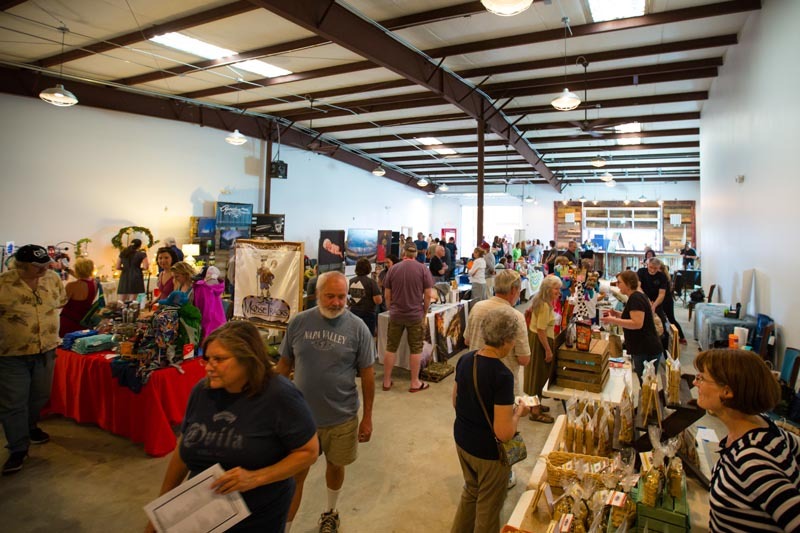 Benefiting the Cindy Platt Boys and Girls Club of Transylvania County, the show will feature all the usual: local fine art and paintings, jewelry, pottery, wood working, Christmas trees and wreaths, up-cycled art, baked goods and of course, music. 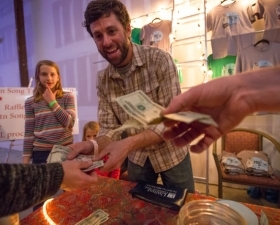 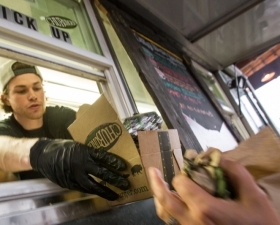 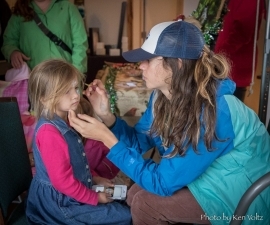 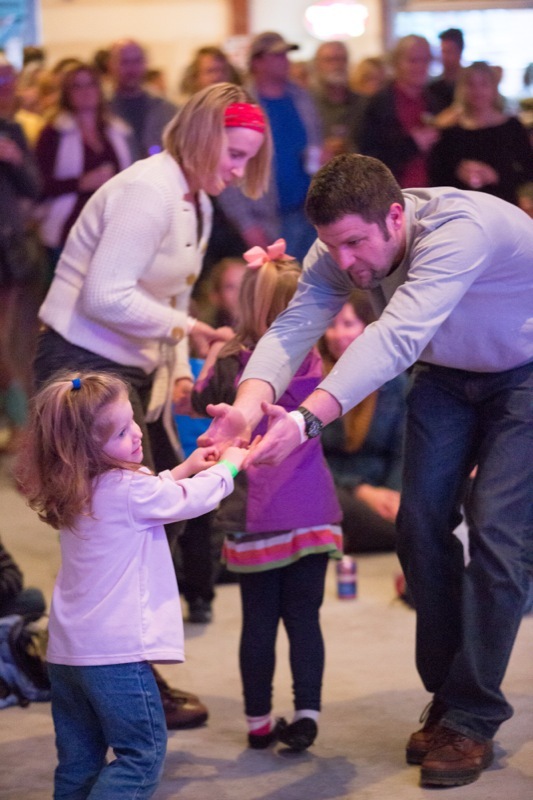 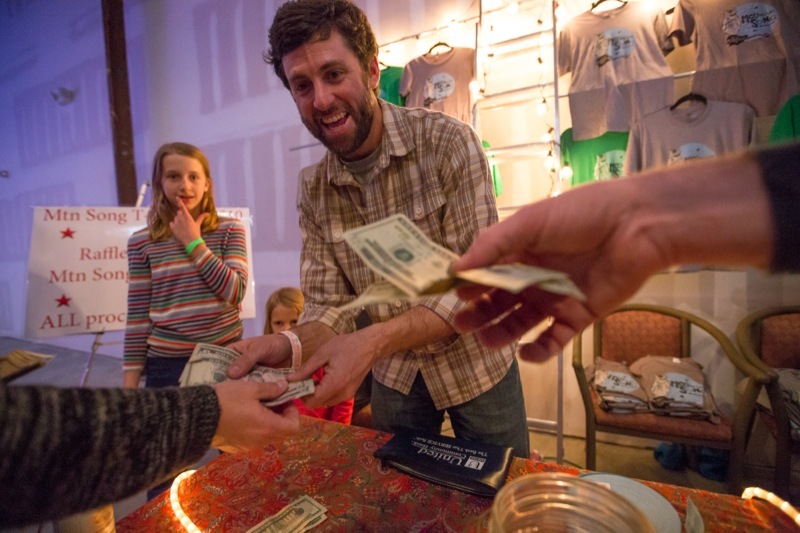 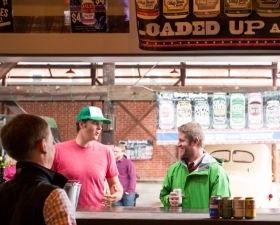 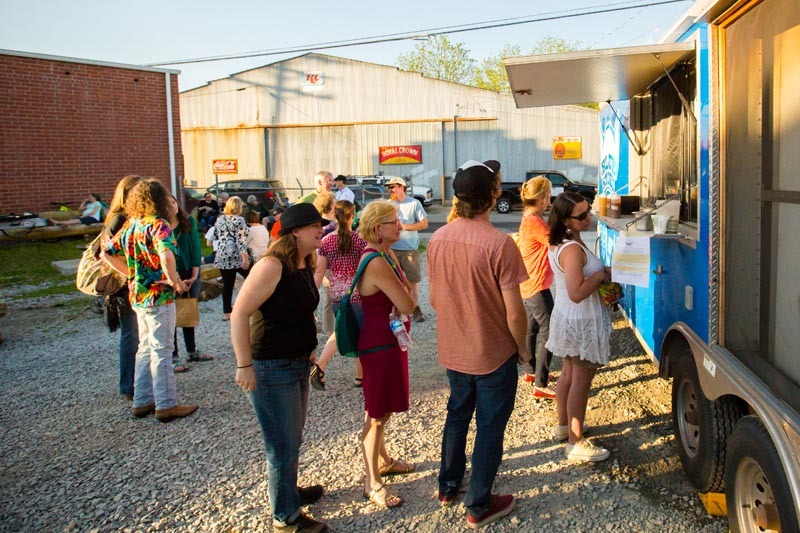 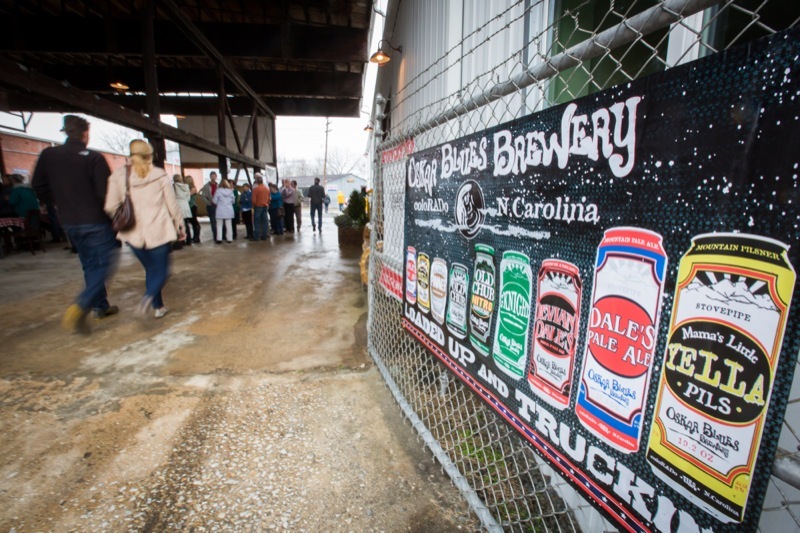 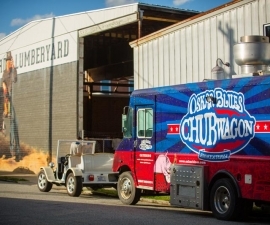 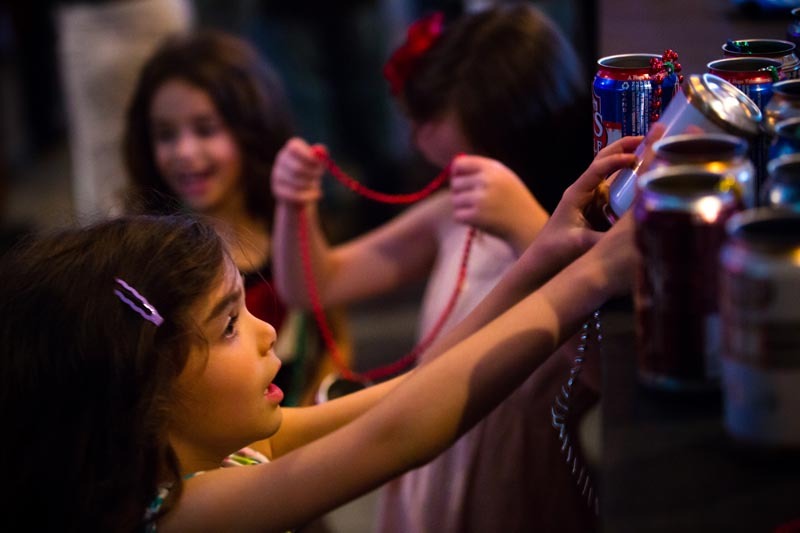 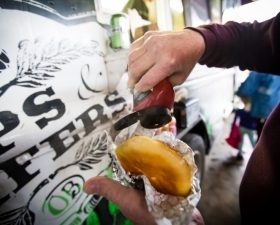 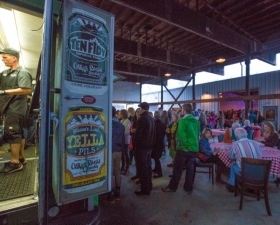 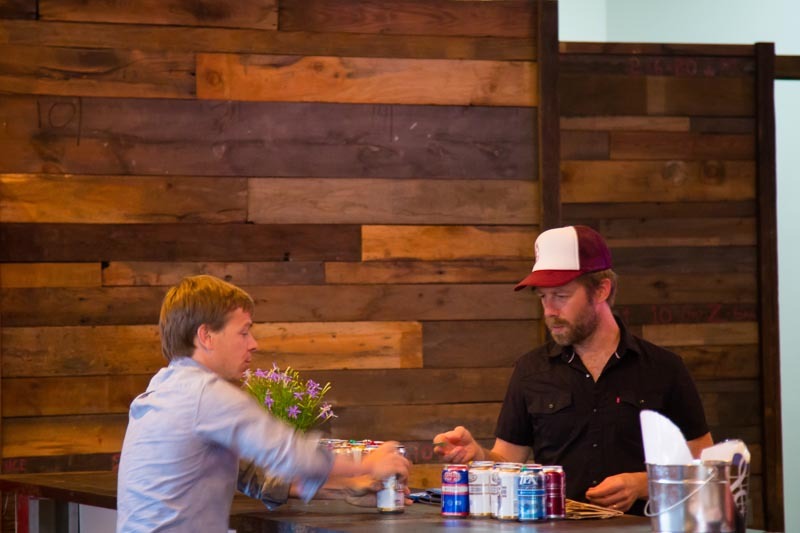 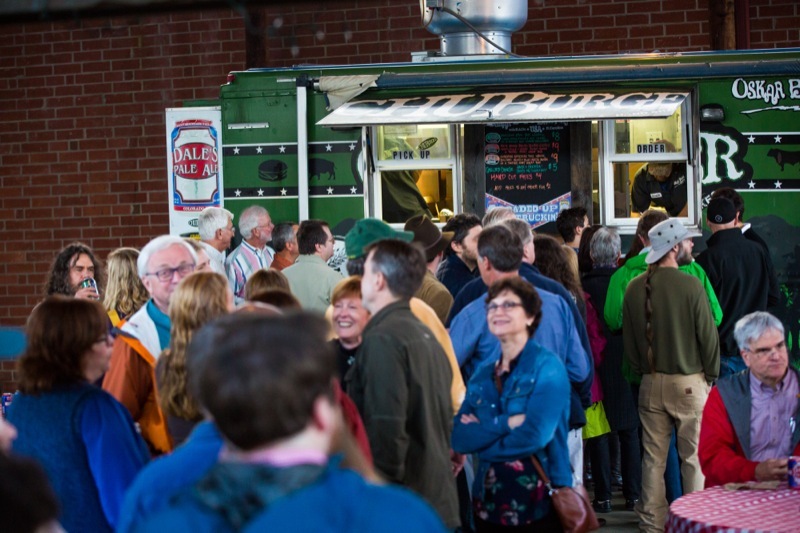 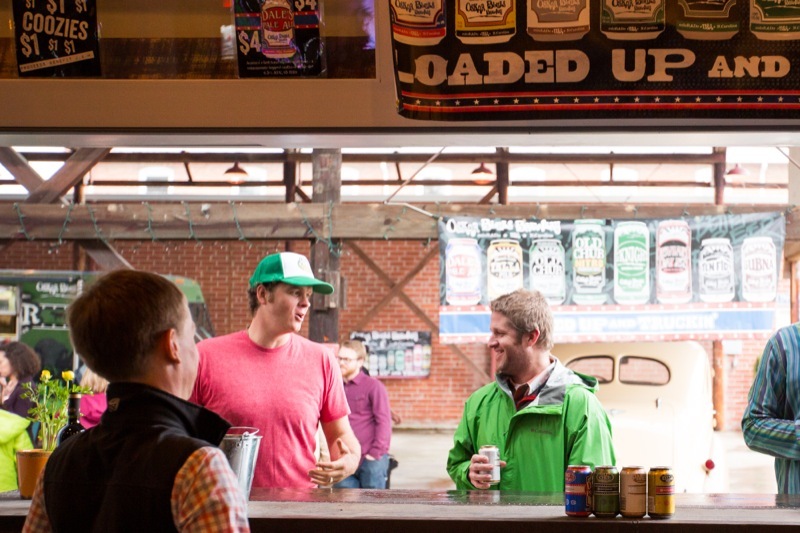 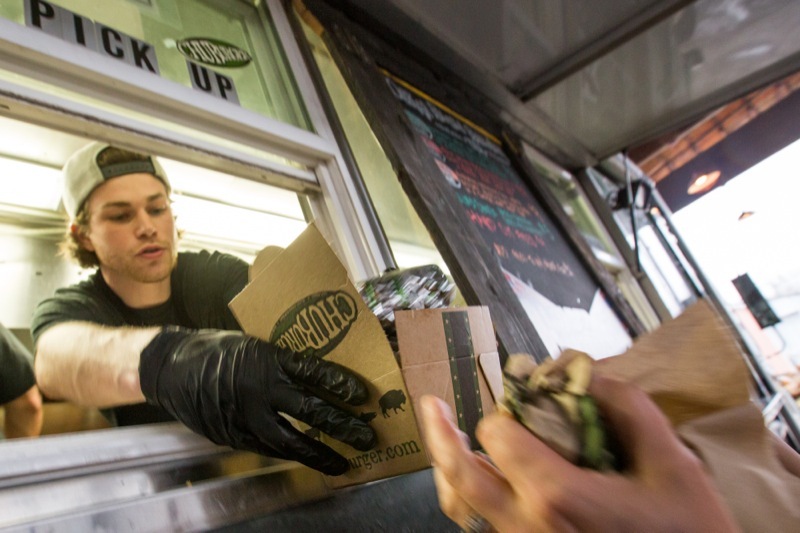 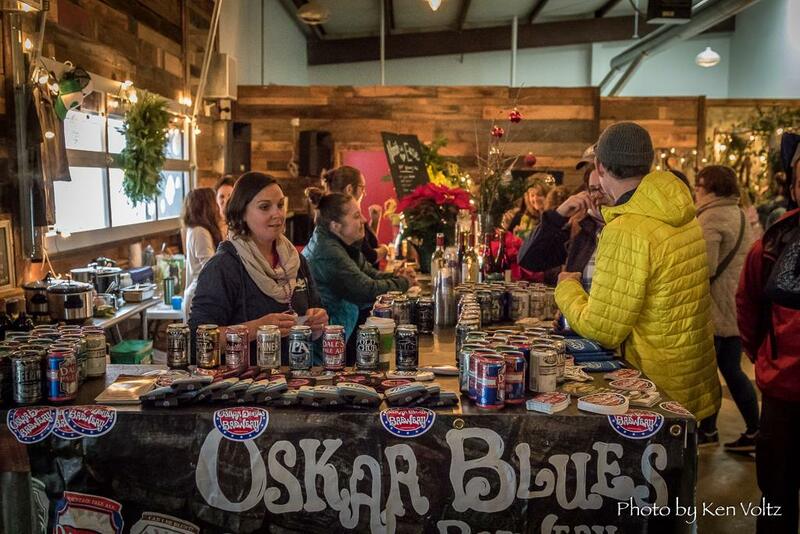 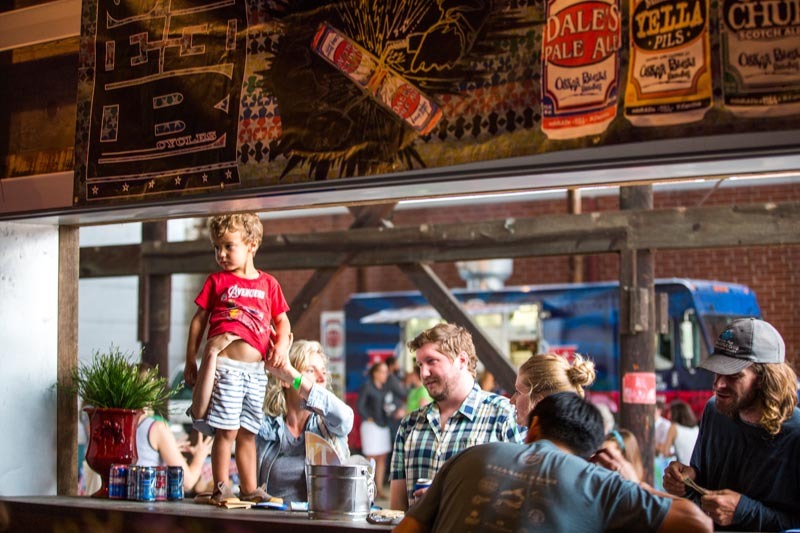 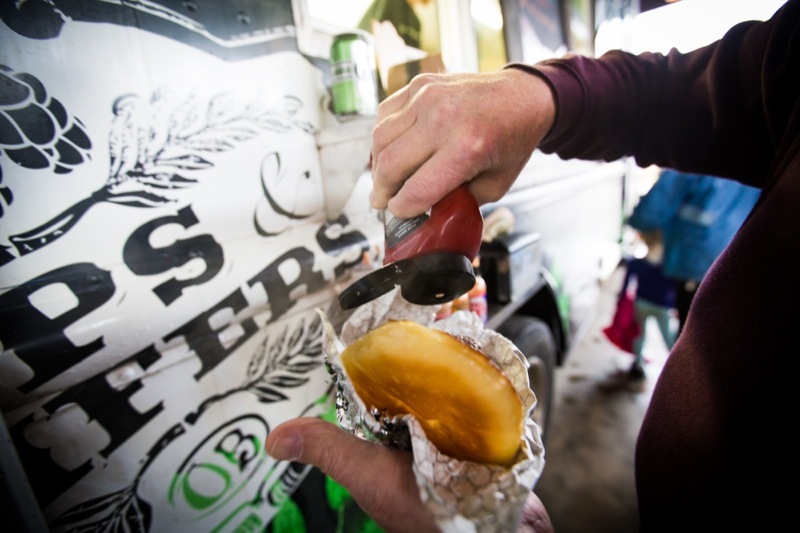 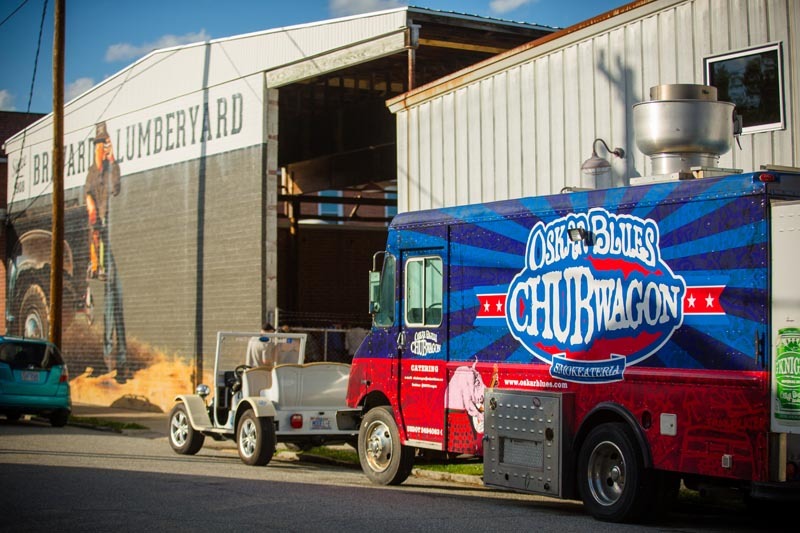 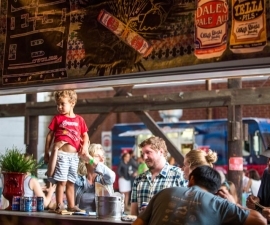 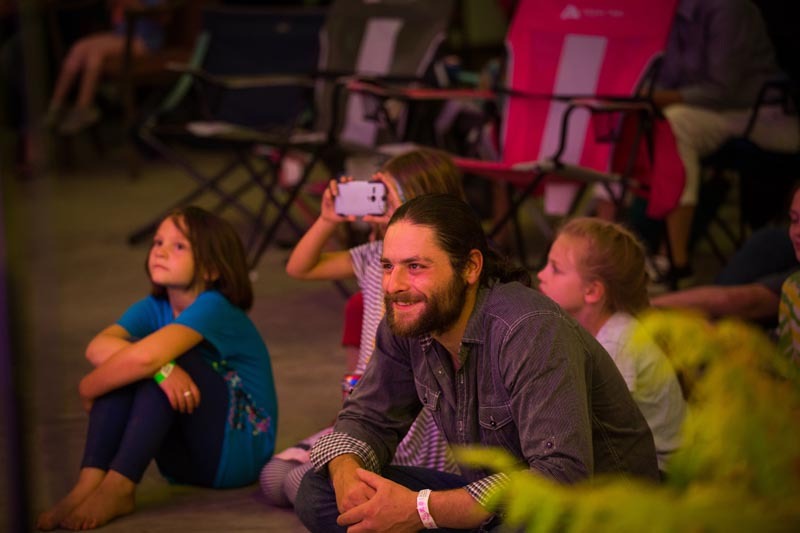 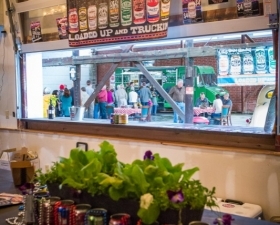 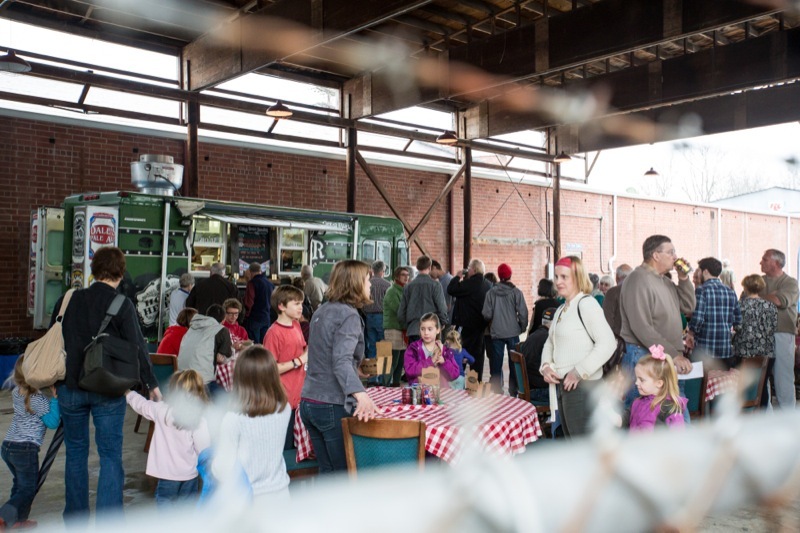 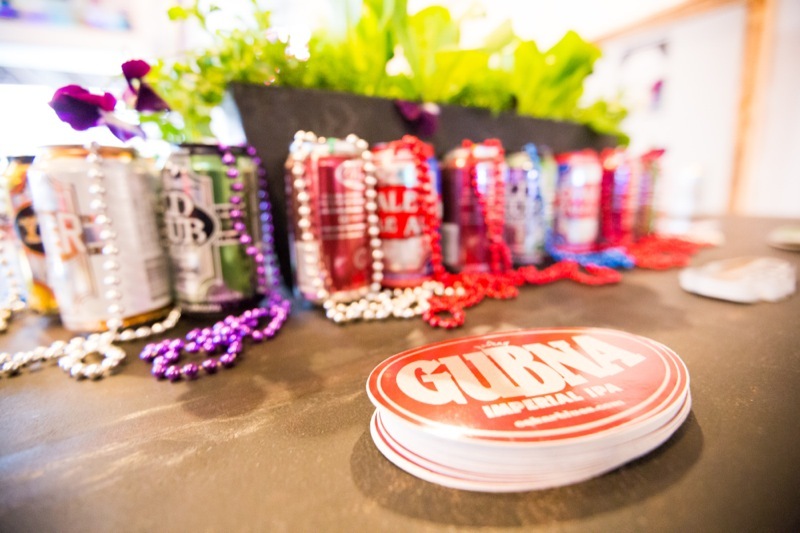 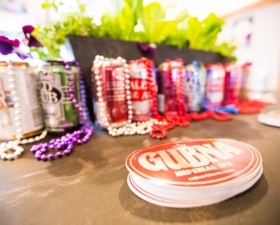 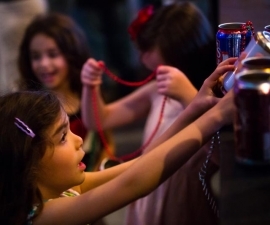 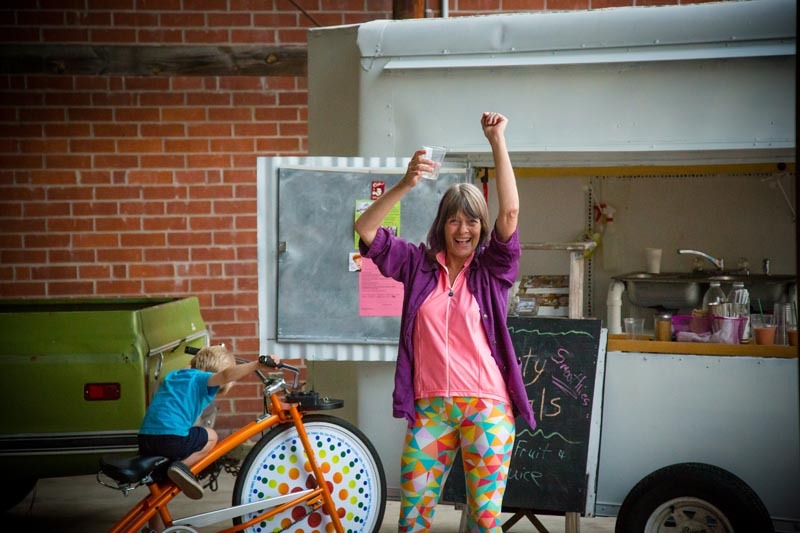 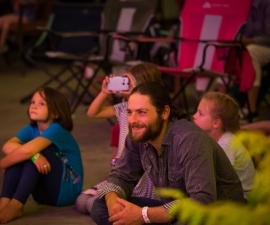 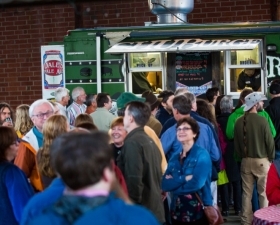 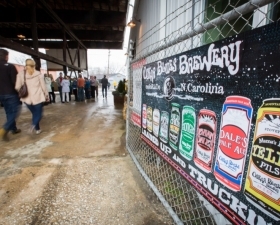 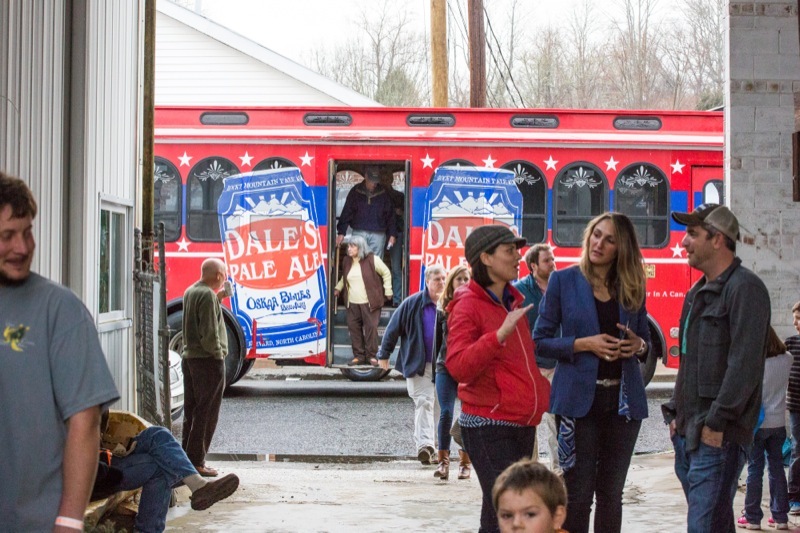 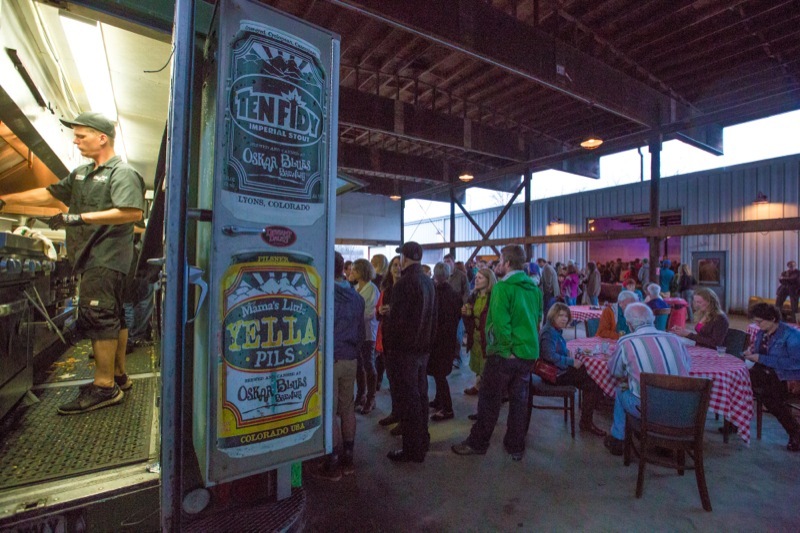 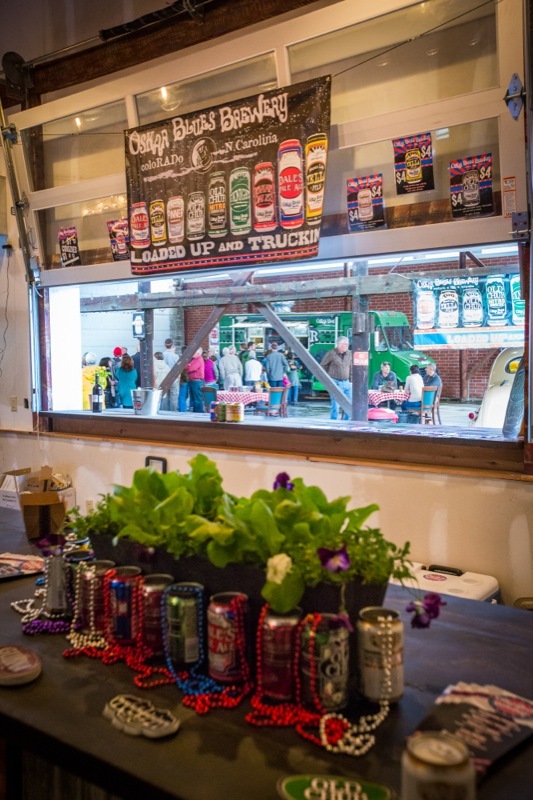 The Oskar Blues Chubwagon Cantina food truck adds to the fun that includes a craft table for kids, a holiday movie projected on the big white wall and a visit from Santa. 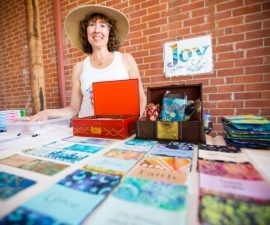 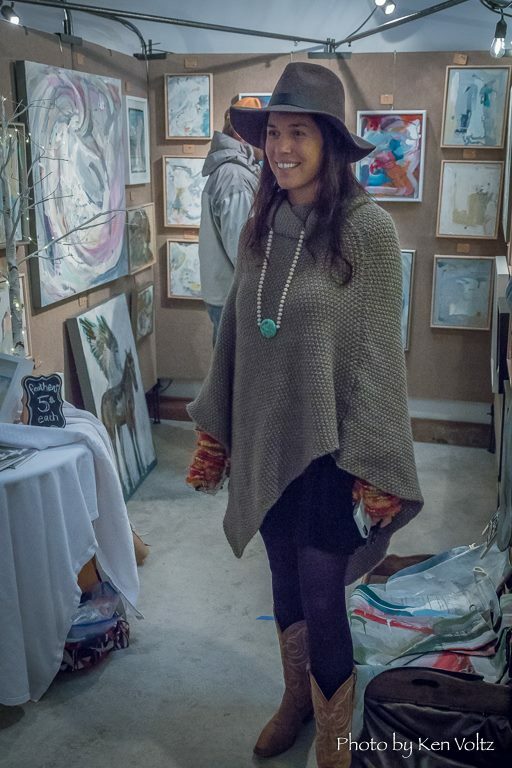 Whitworth specializes in mixed media paintings and those who have seen her perform at the MountainSong Music Festival (husband Woody Platt is a member of the Steep Canyon Rangers) may have seen her art booth full of unique screen printed T-shirts and onesies. 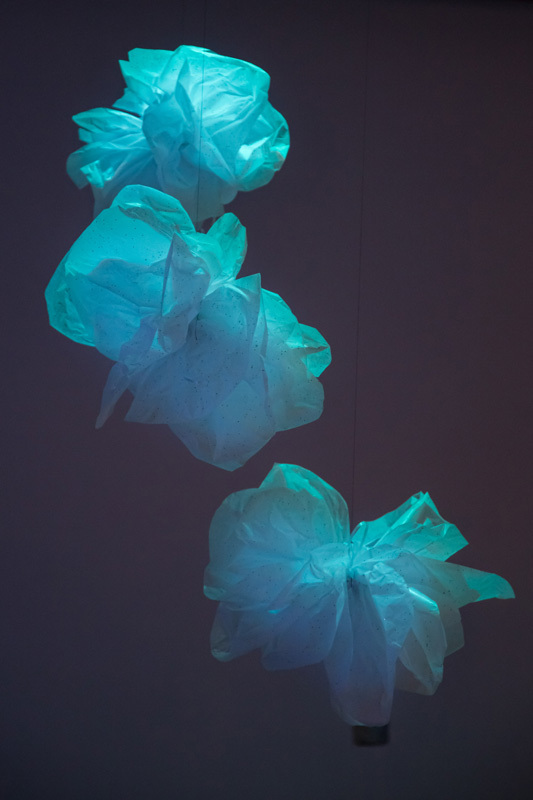 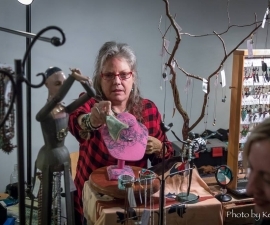 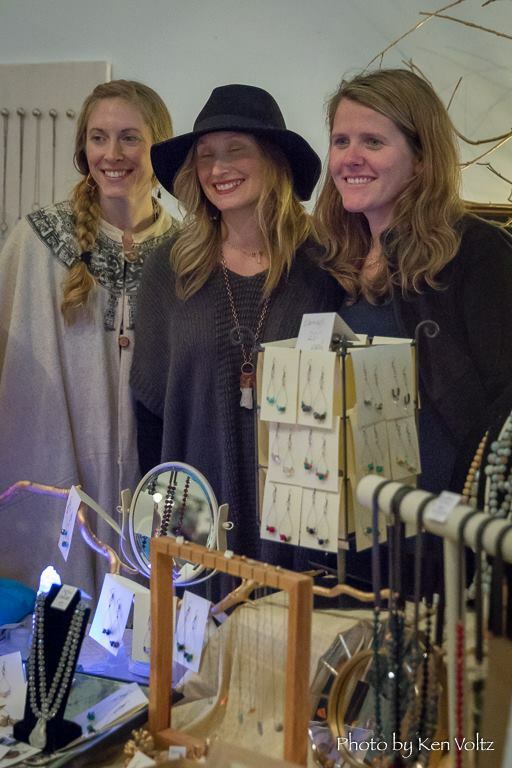 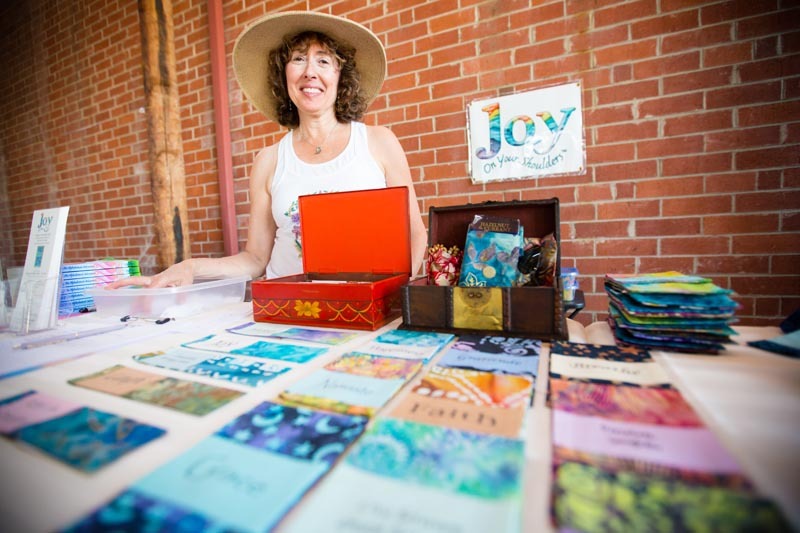 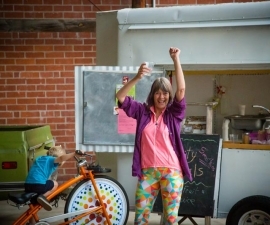 Siskind creates jewelry from findings and beads she collects on tour and now offers at her concert merchandise tables. 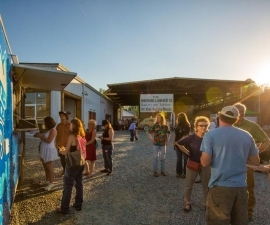 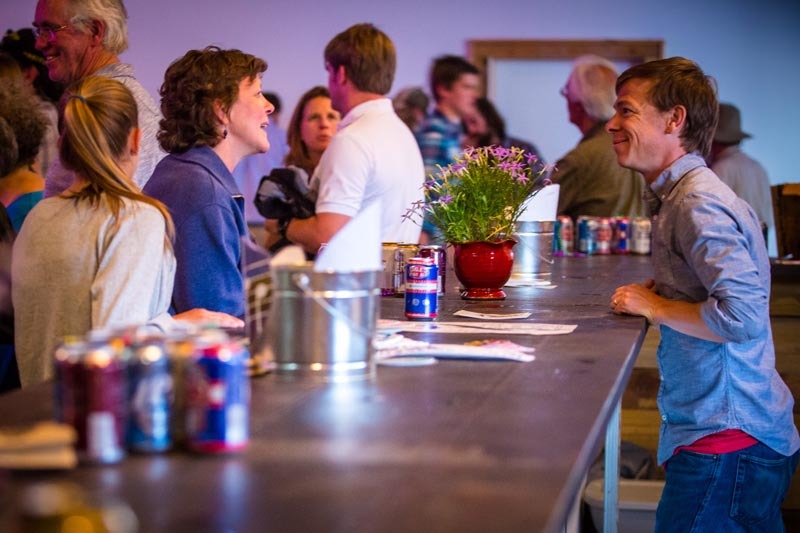 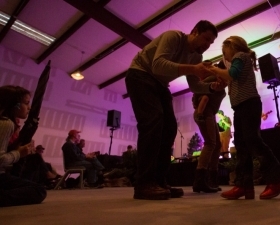 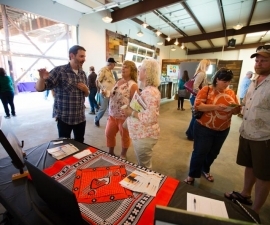 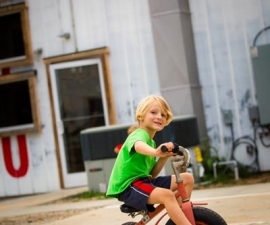 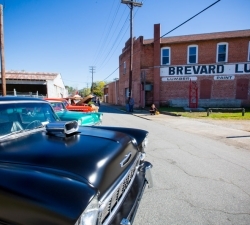 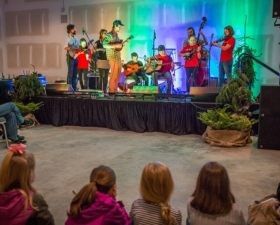 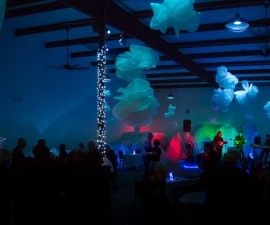 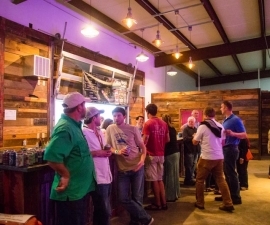 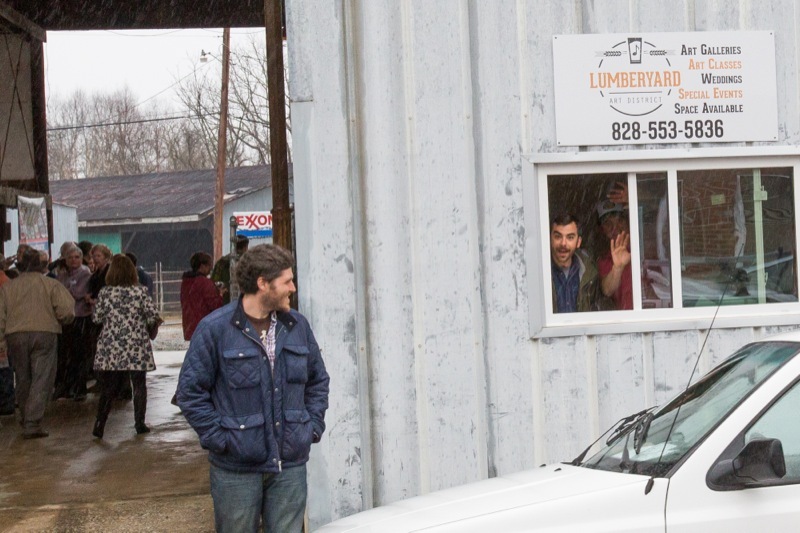 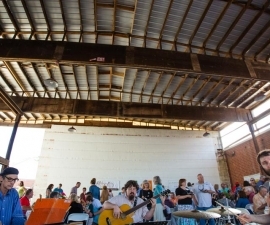 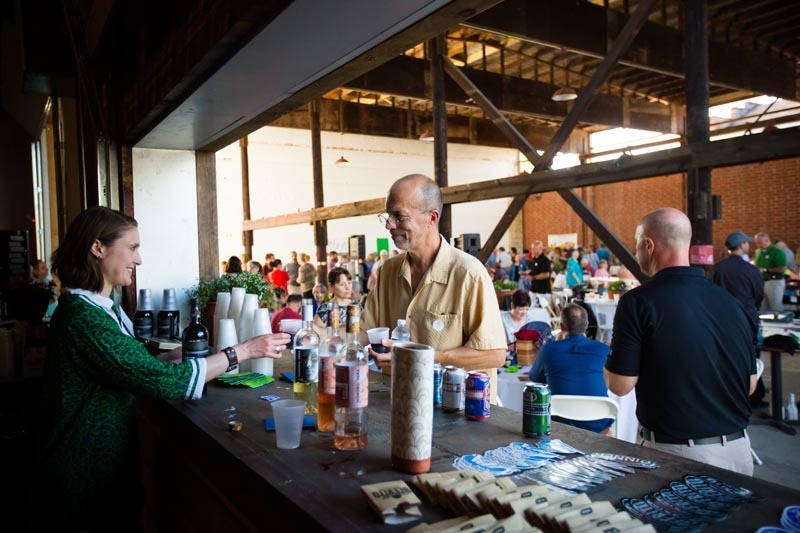 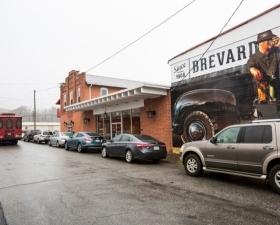 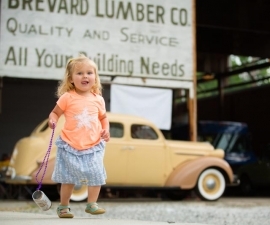 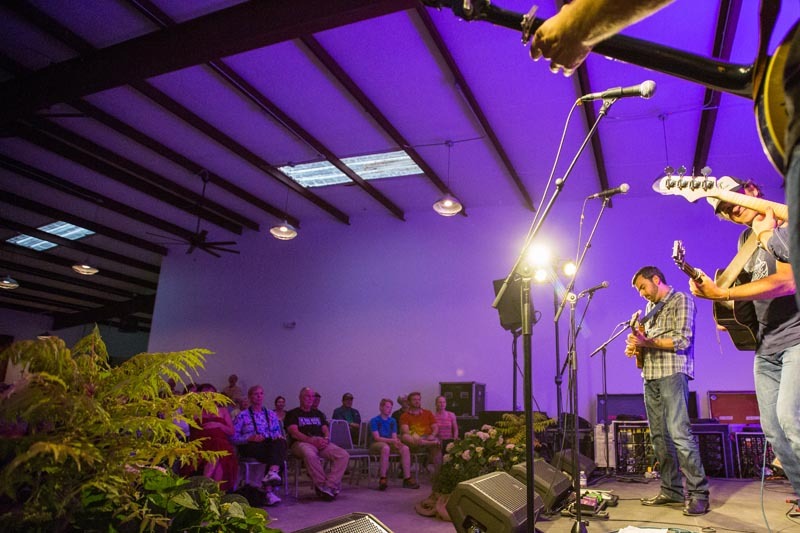 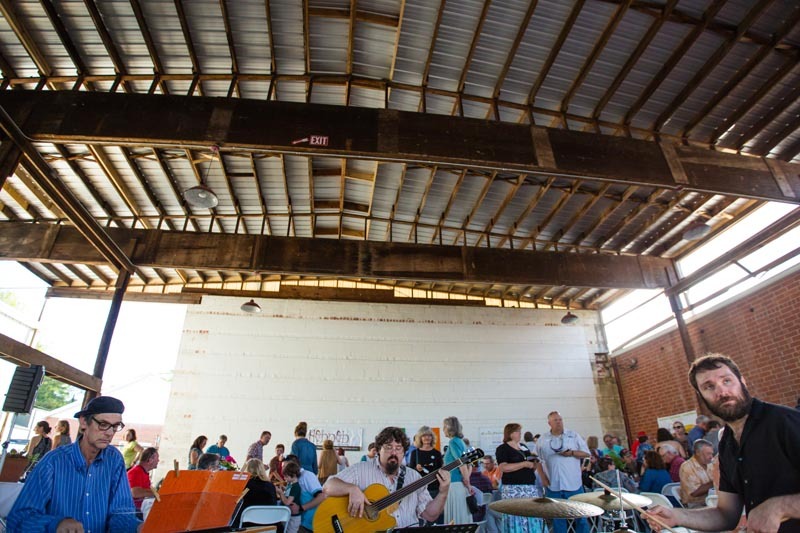 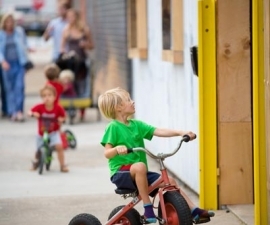 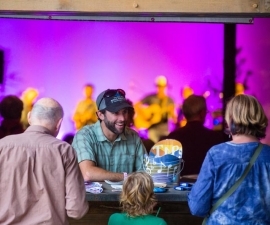 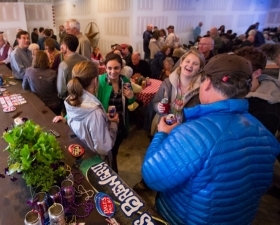 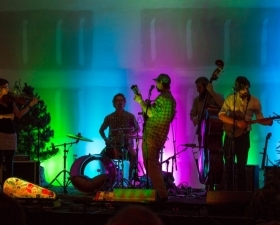 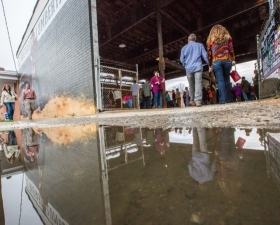 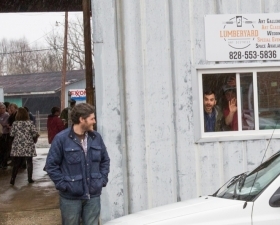 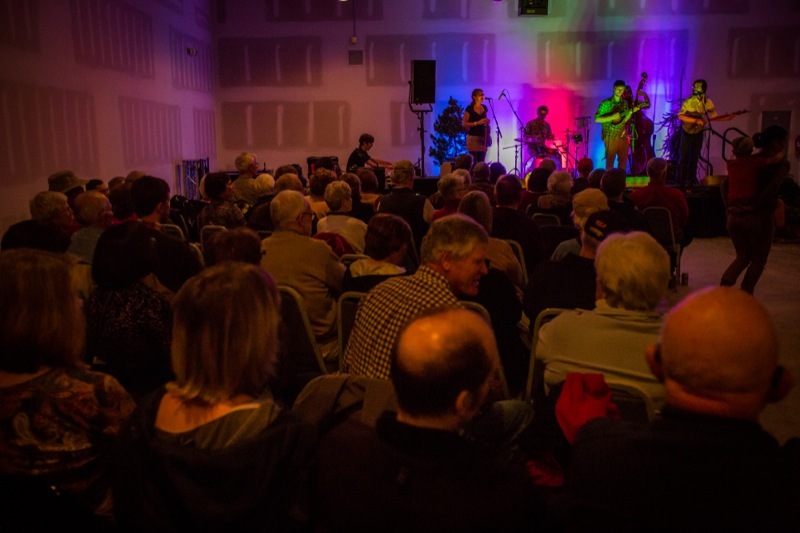 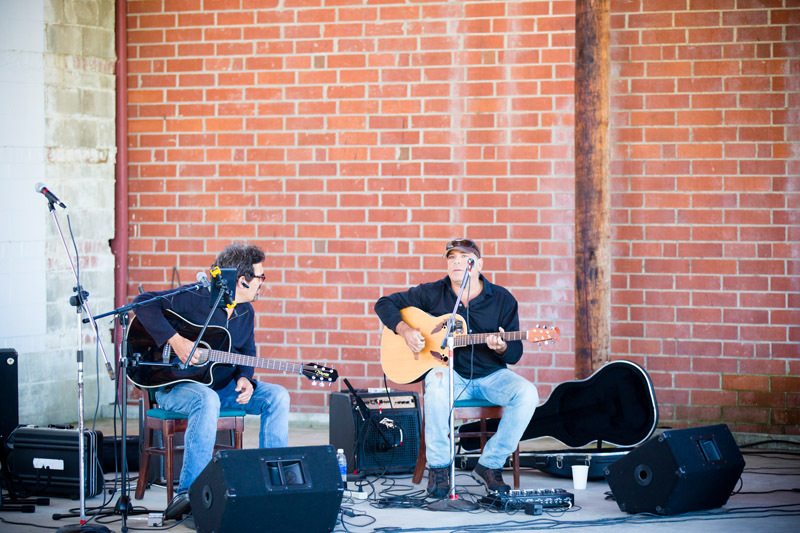 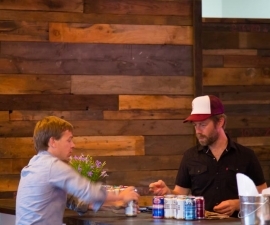 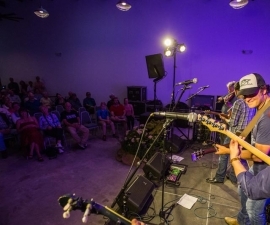 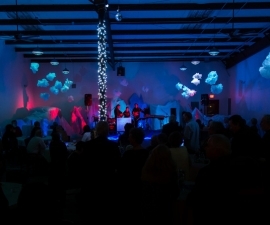 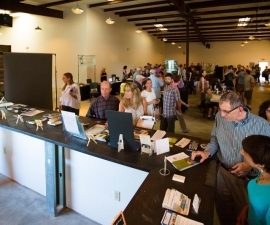 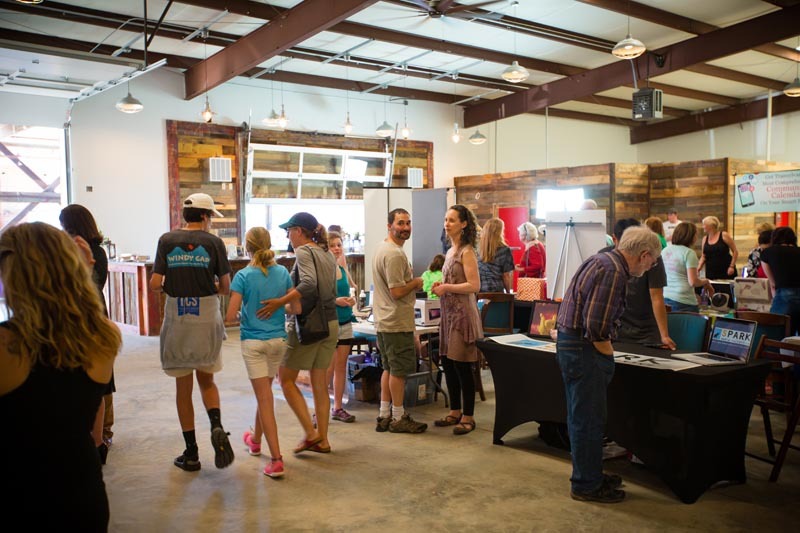 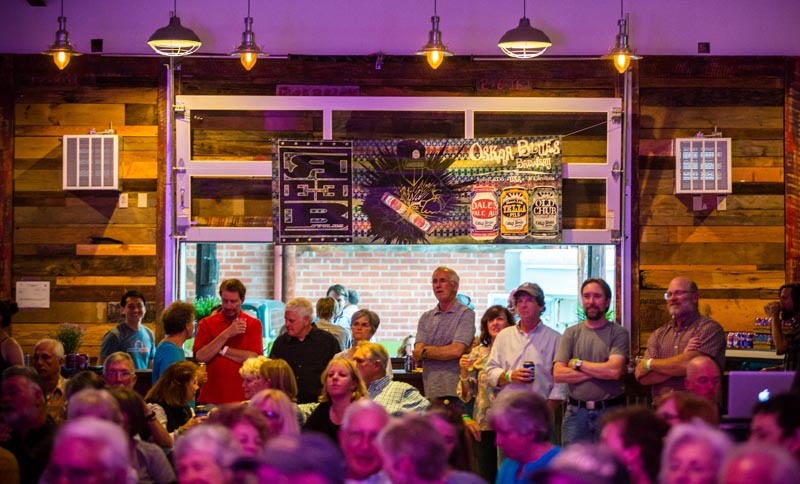 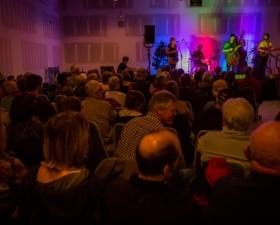 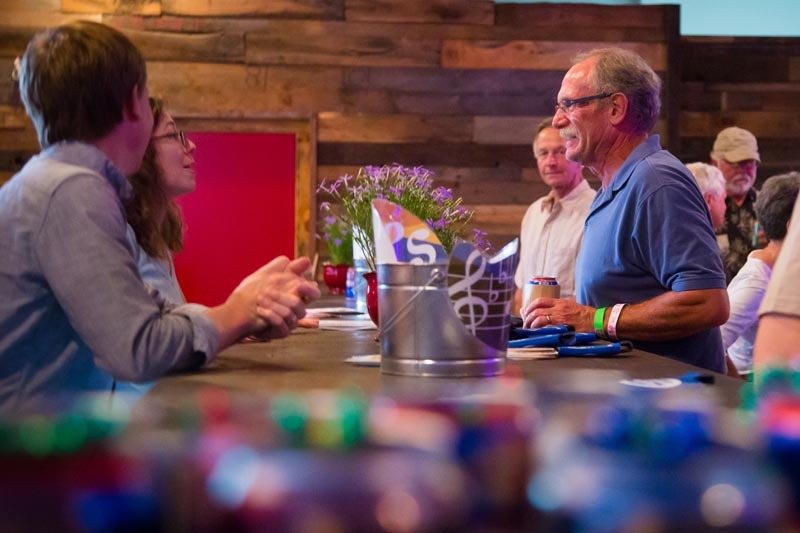 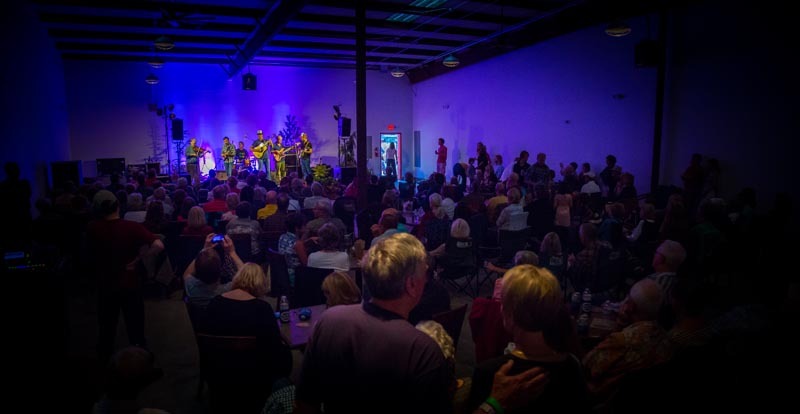 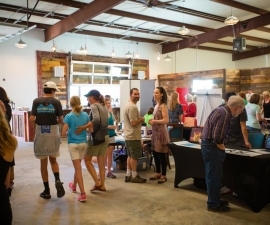 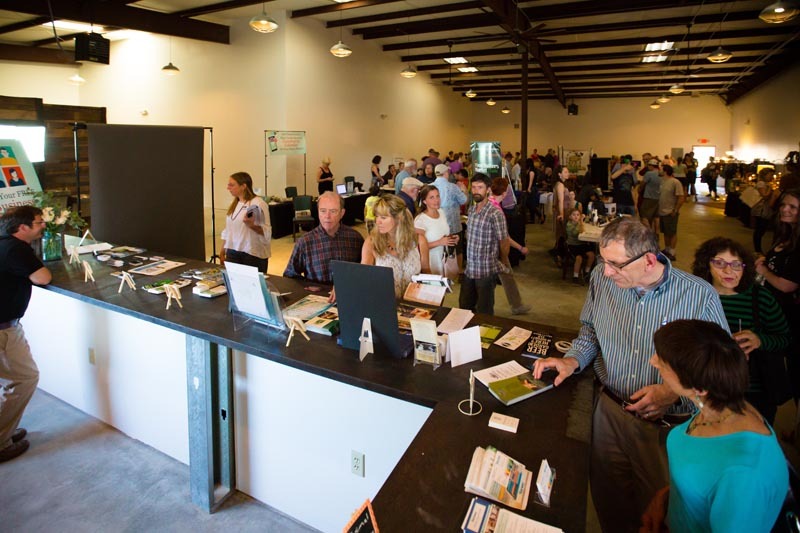 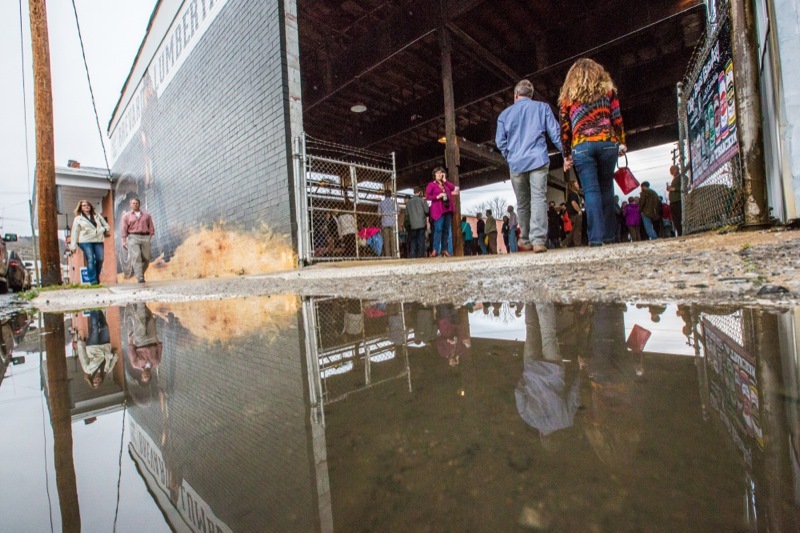 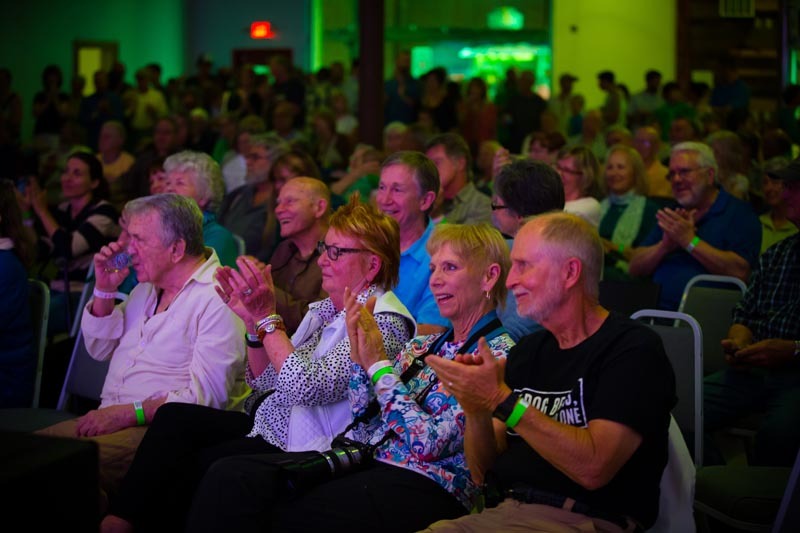 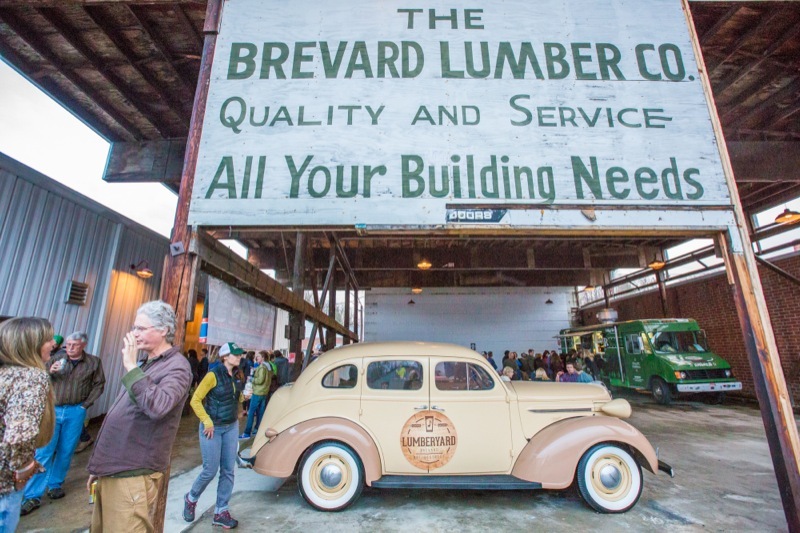 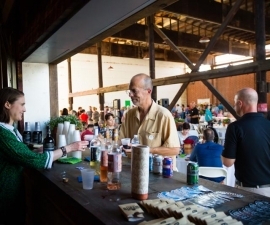 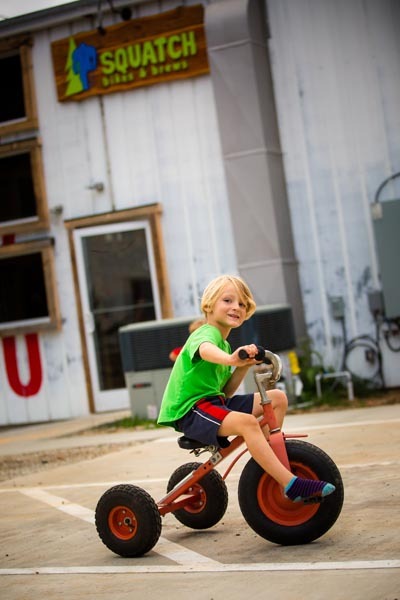 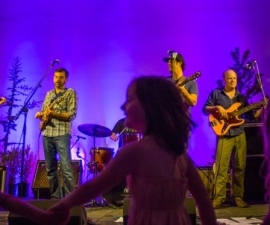 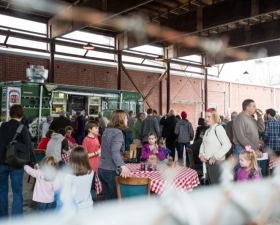 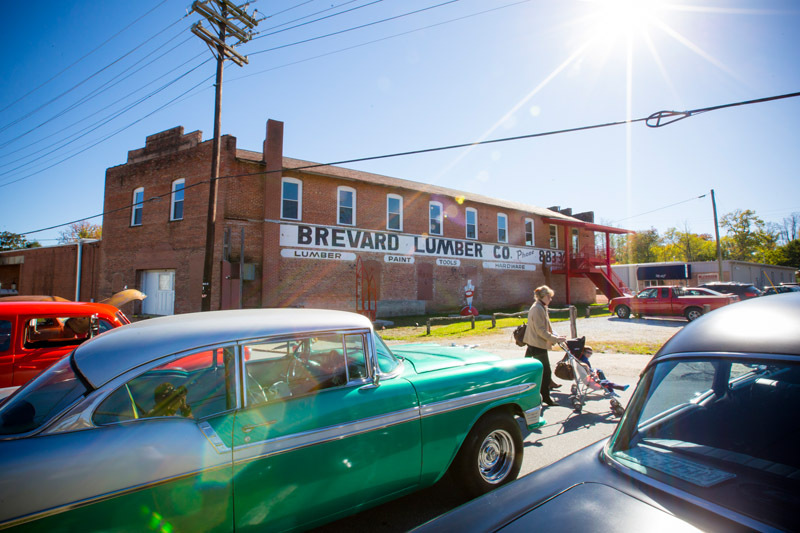 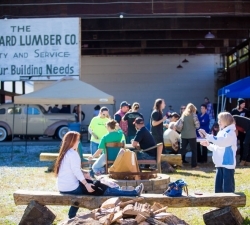 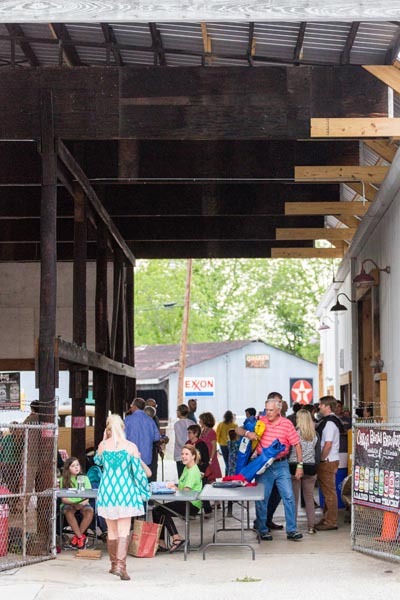 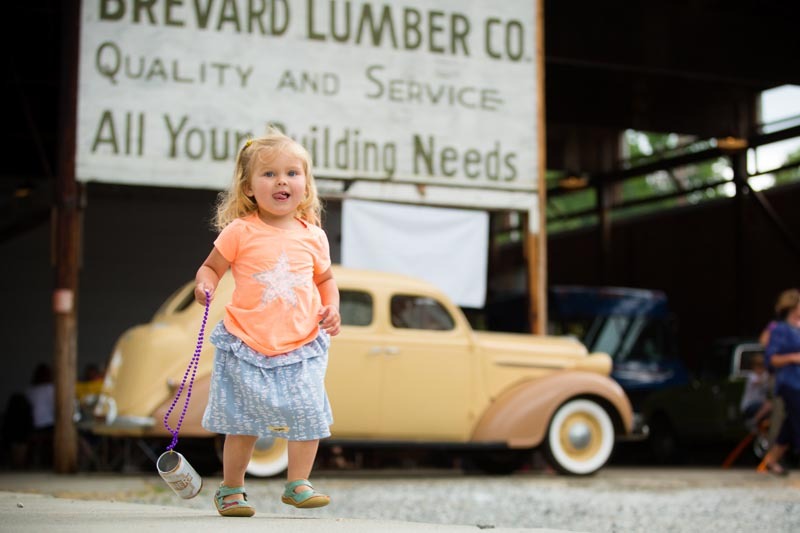 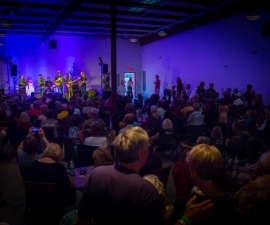 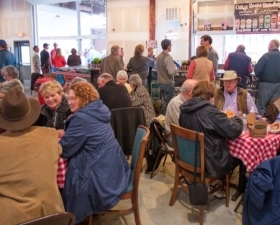 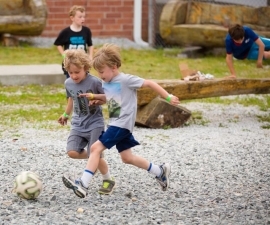 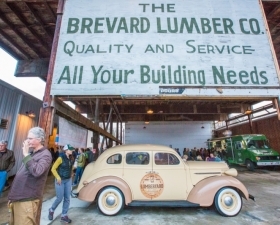 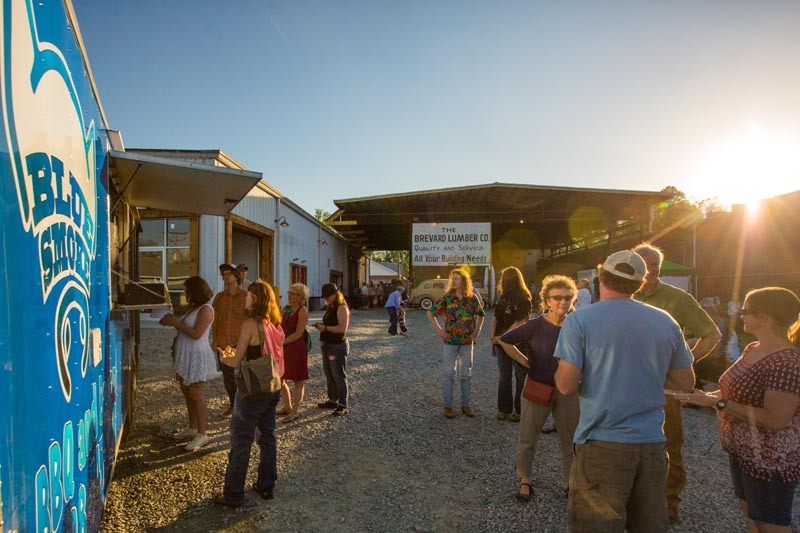 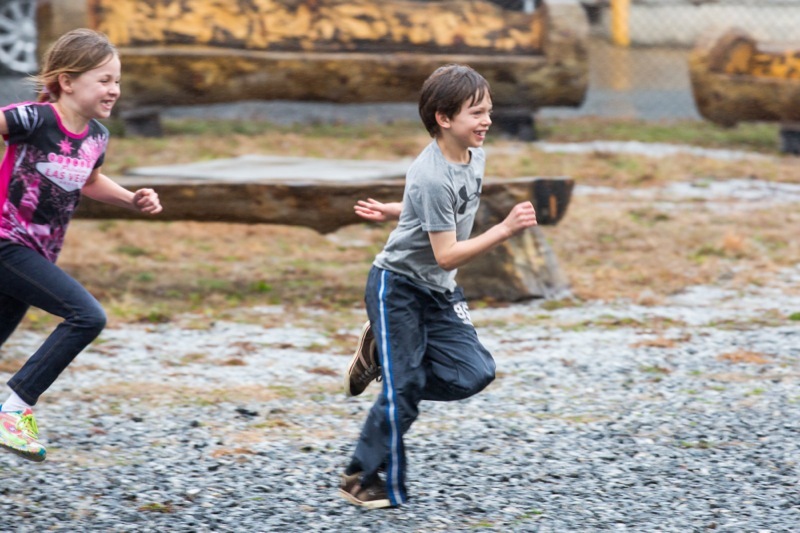 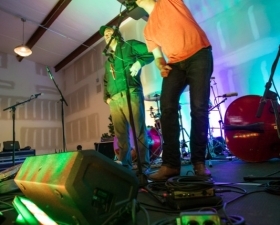 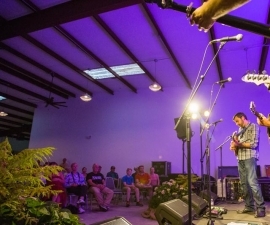 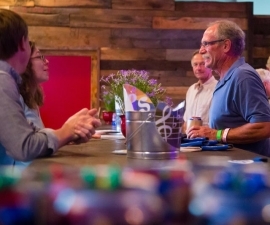 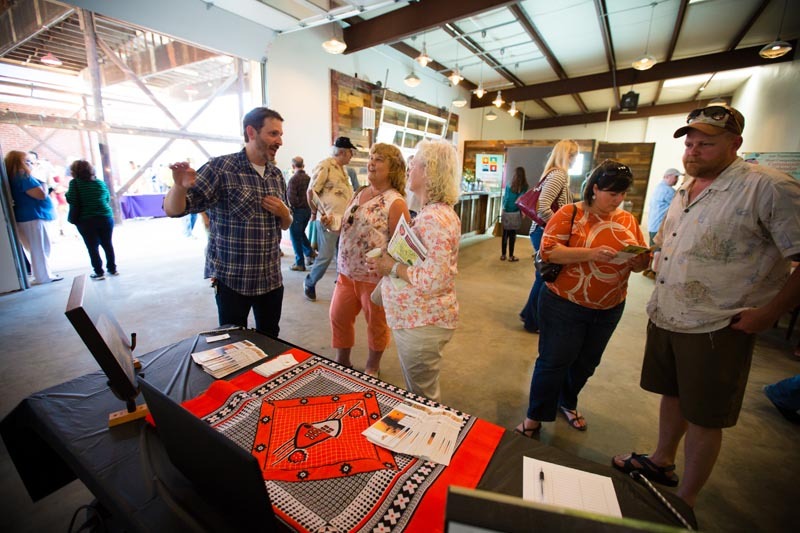 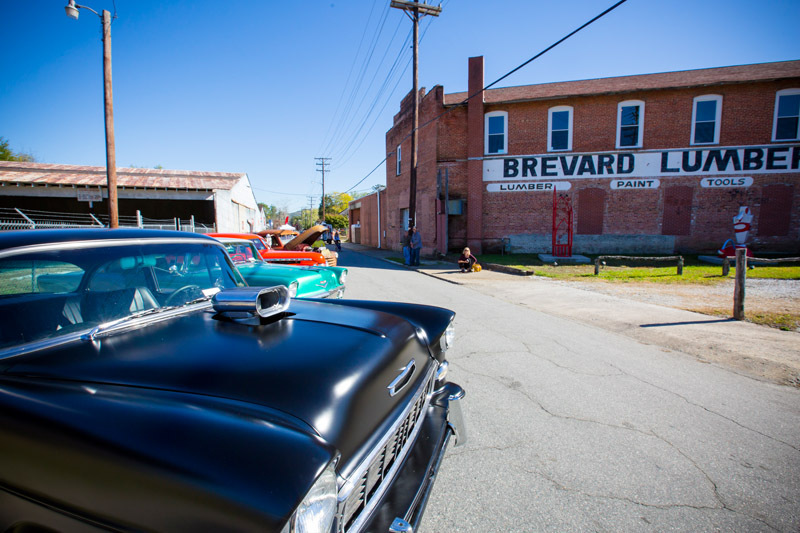 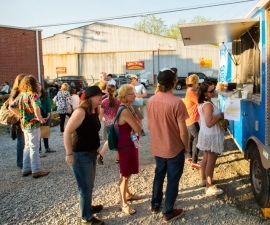 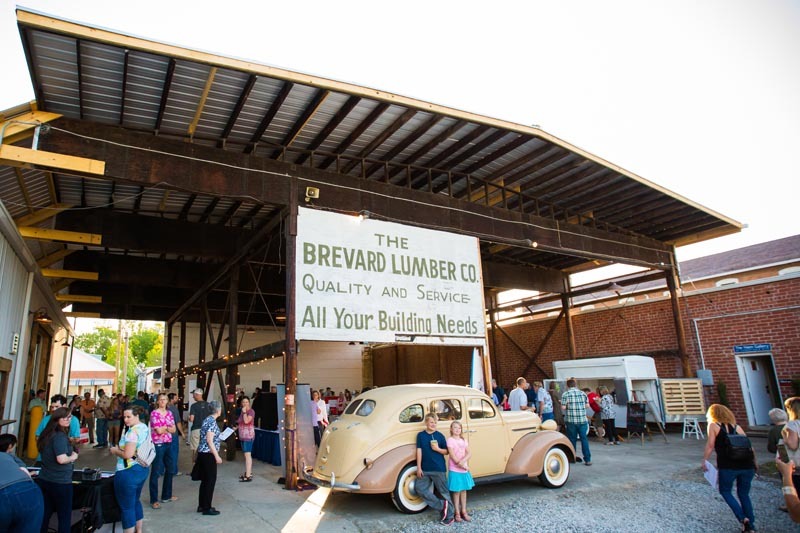 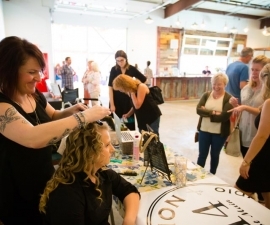 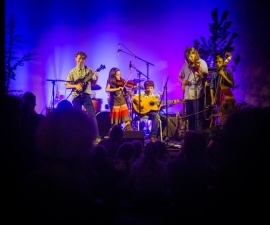 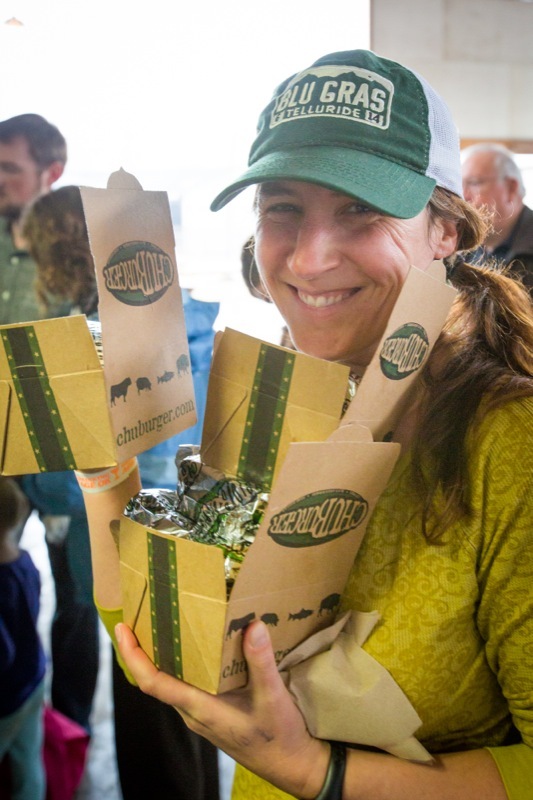 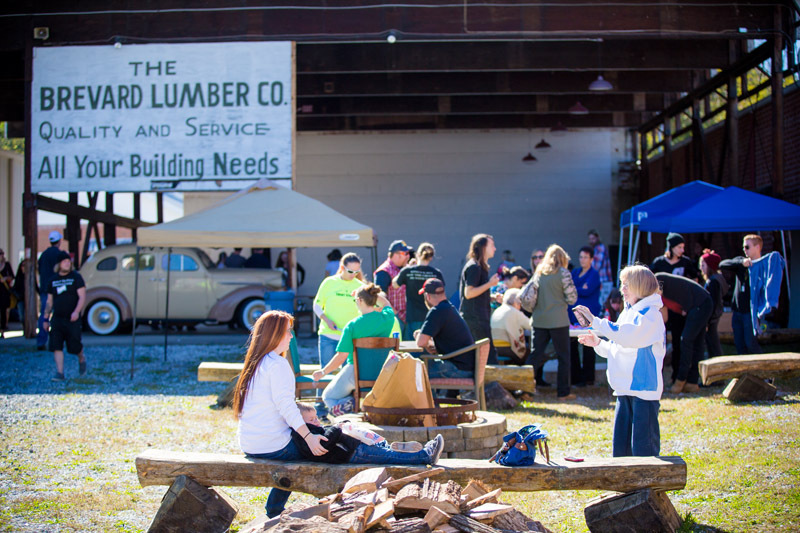 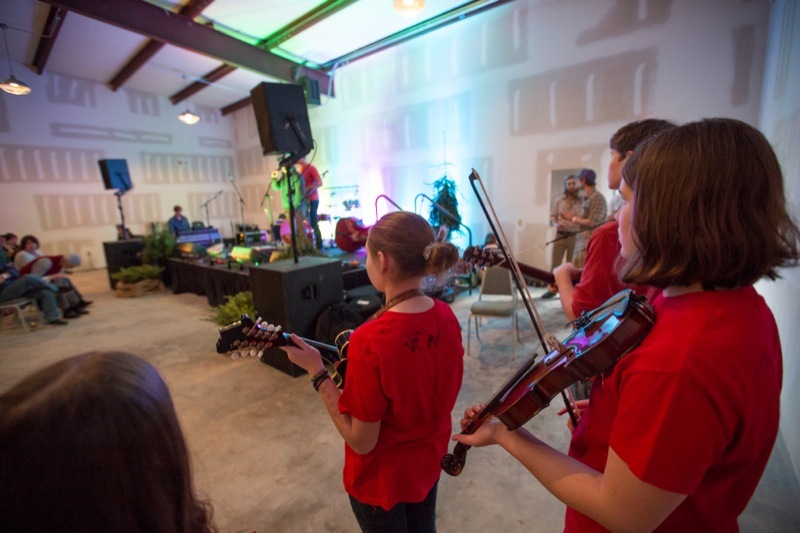 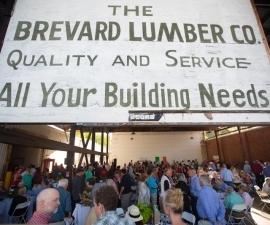 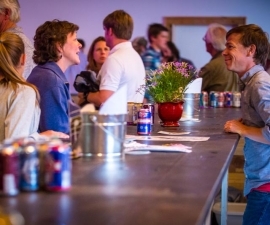 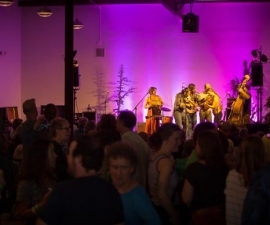 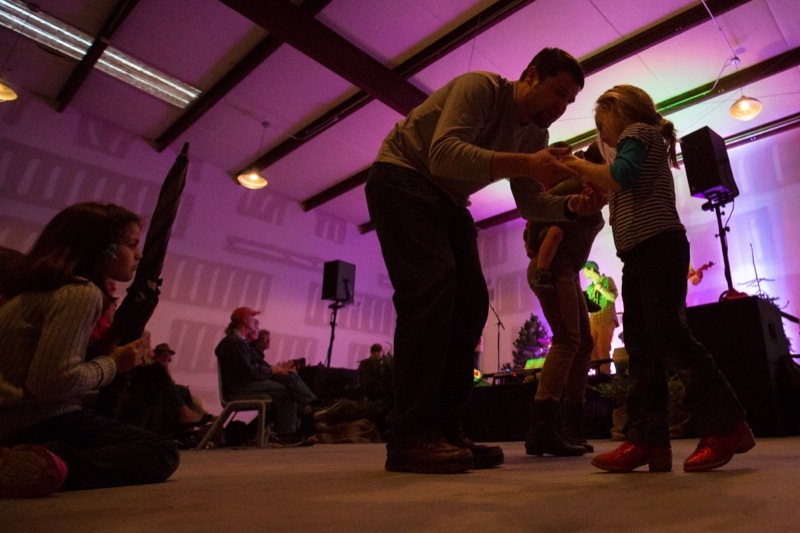 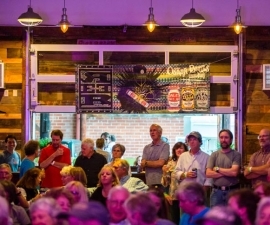 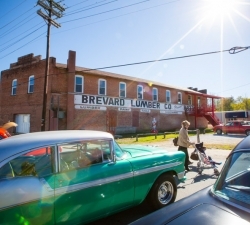 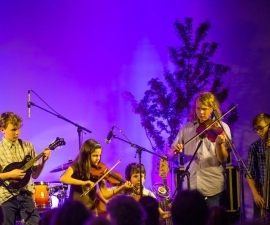 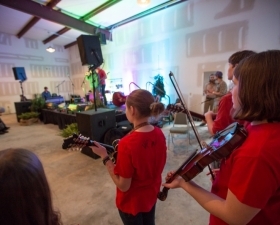 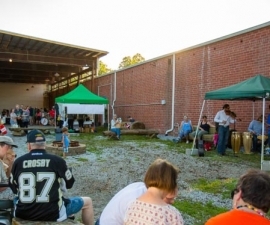 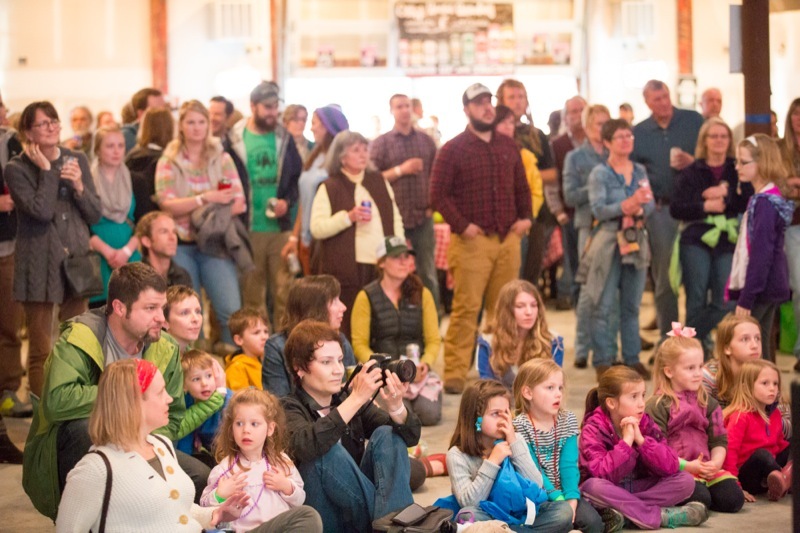 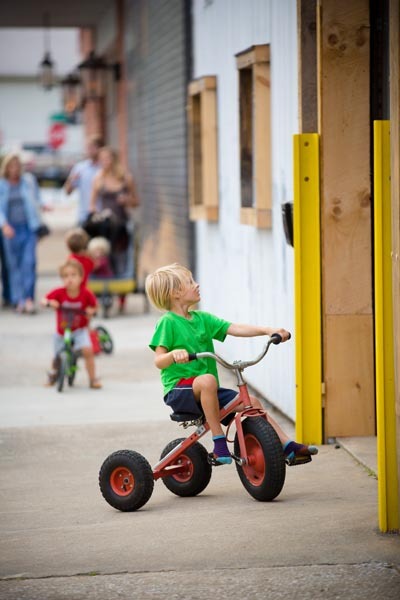 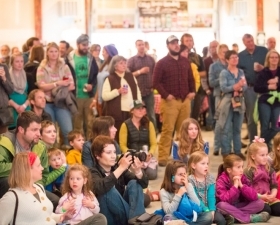 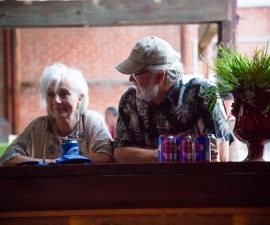 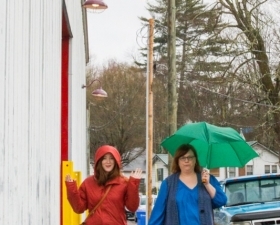 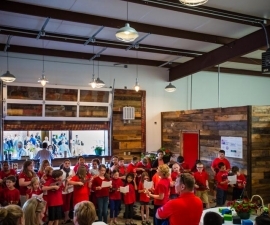 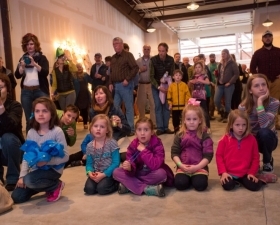 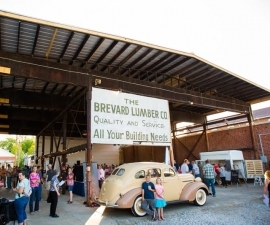 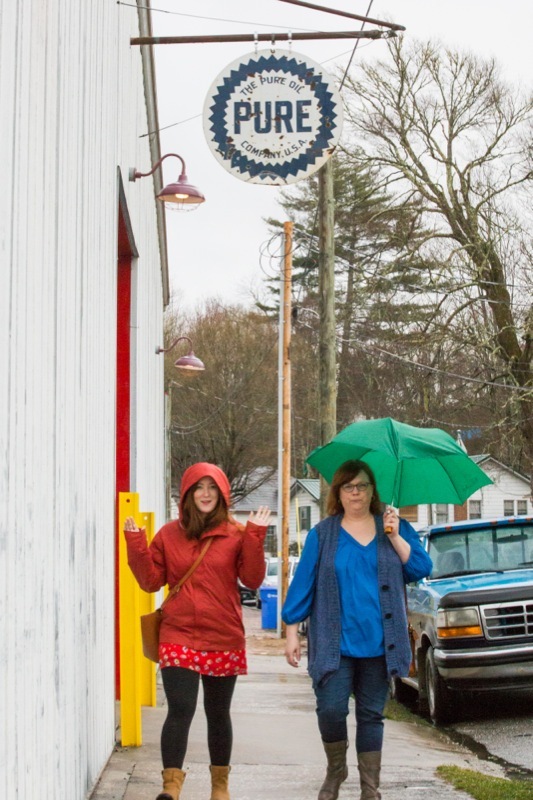 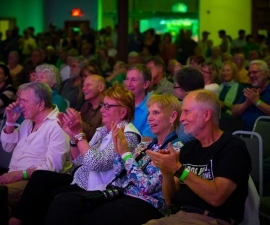 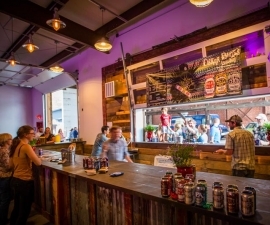 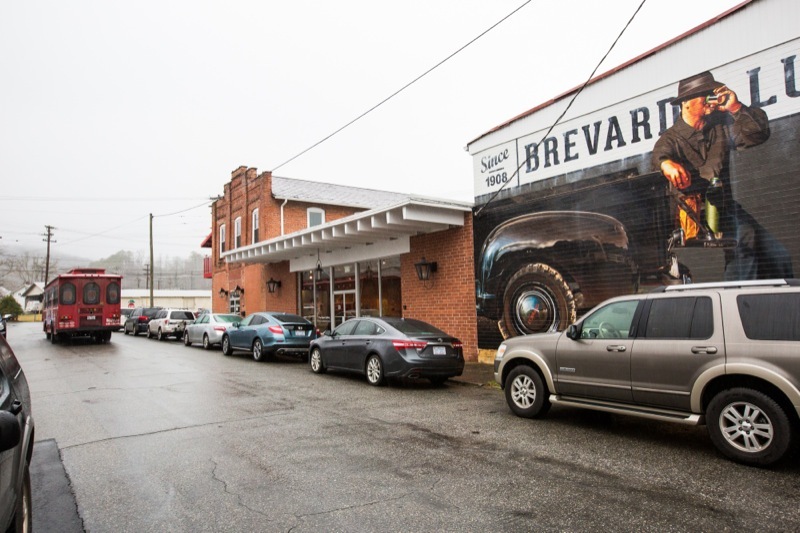 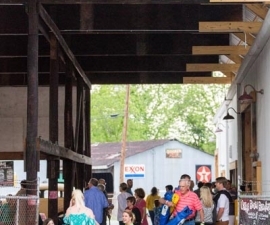 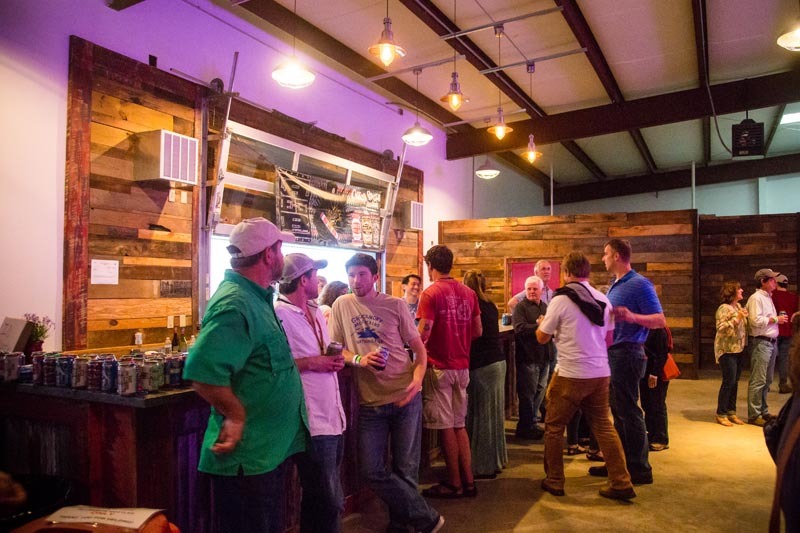 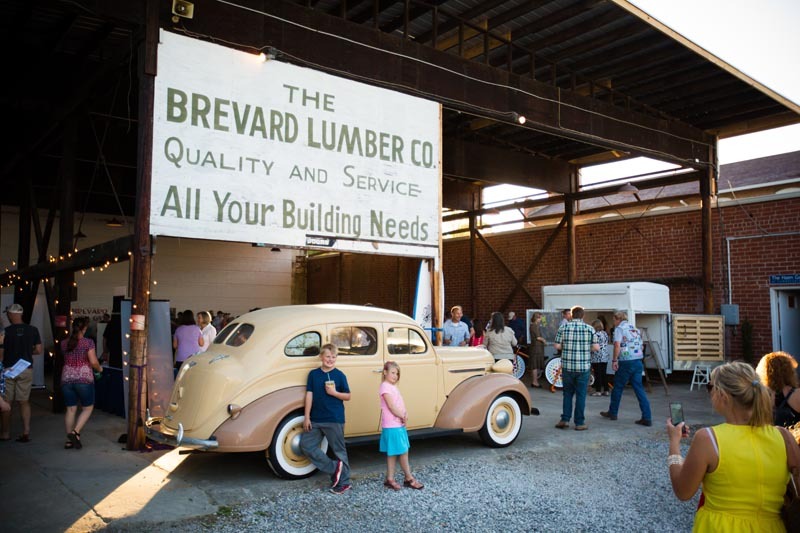 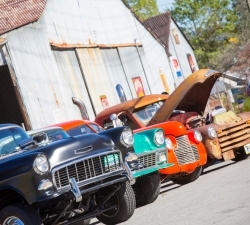 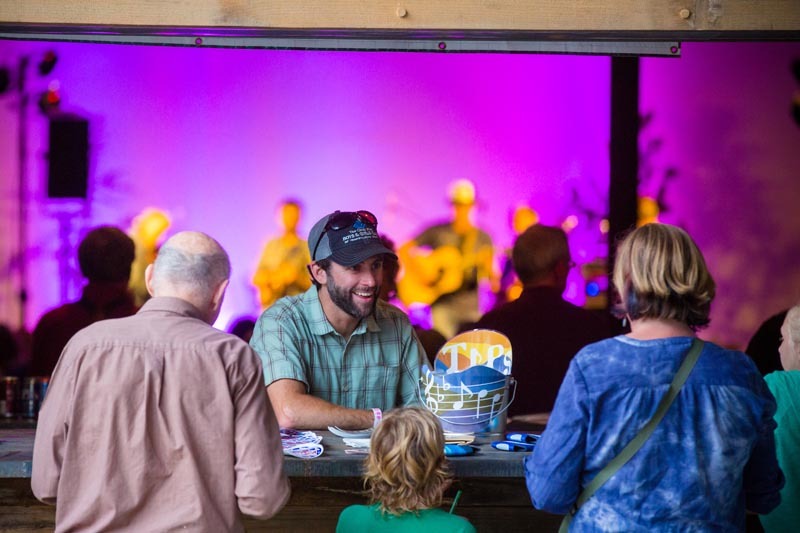 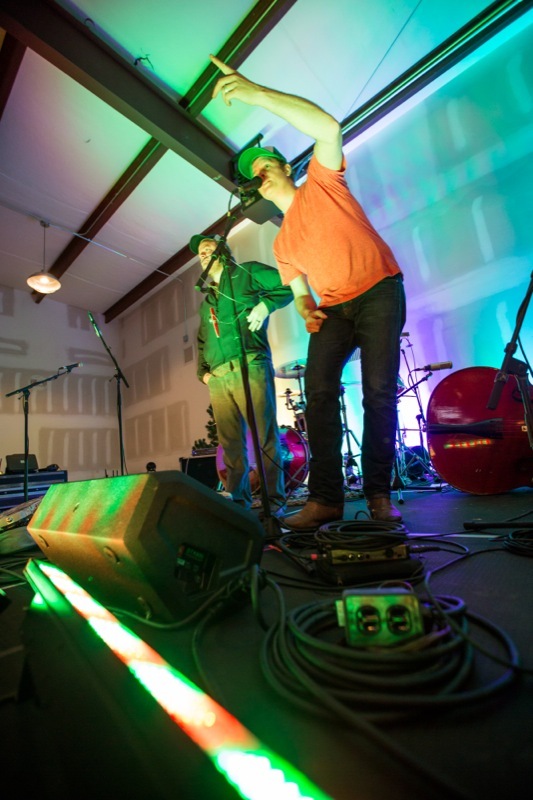 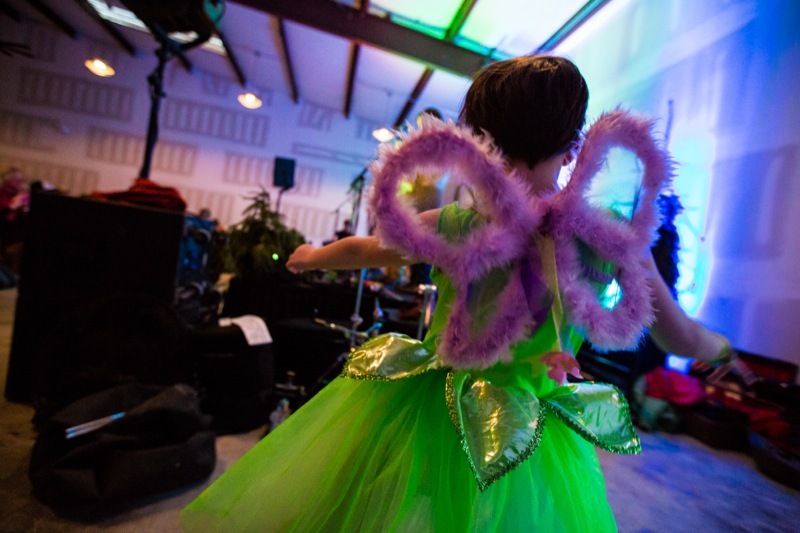 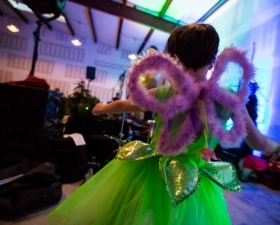 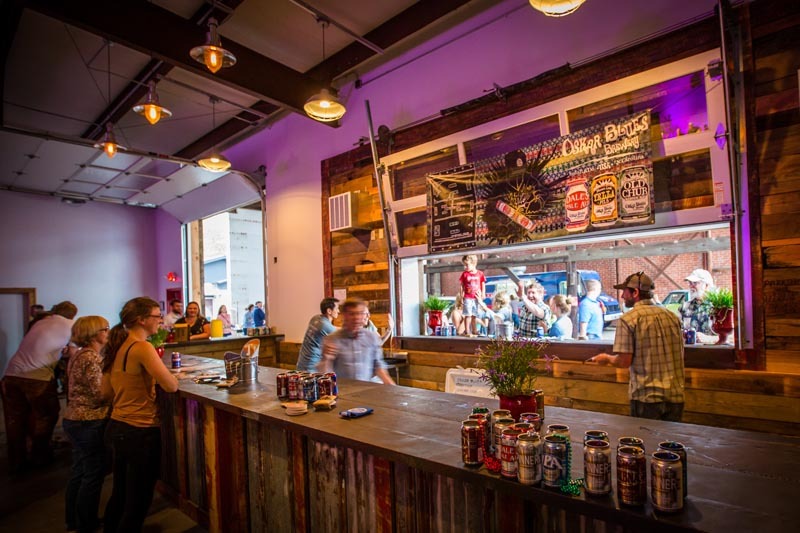 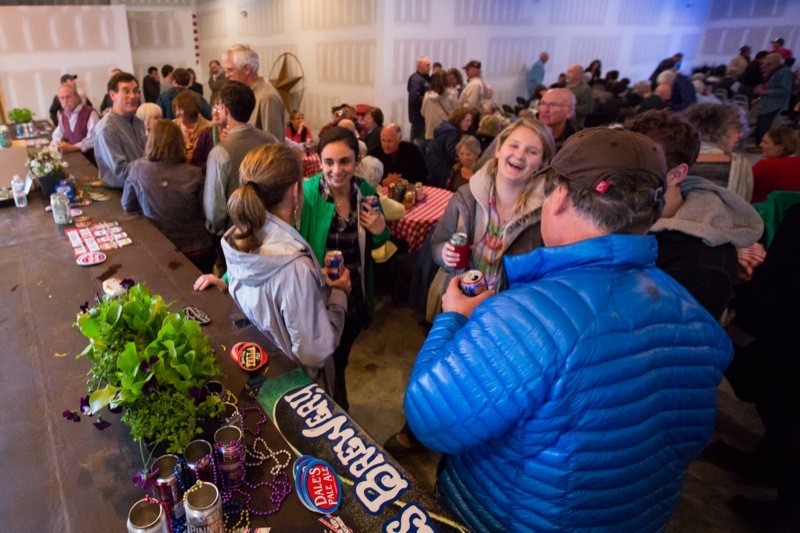 The Brevard LumberYard is a unique special event space, musicians will jam and there’s bound to be creative and spontaneous fun right along with the art. 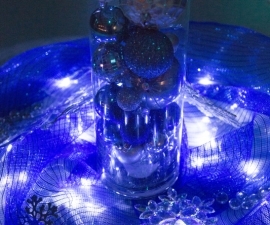 This entry was posted in Past Events on December 5, 2016 by oliver. 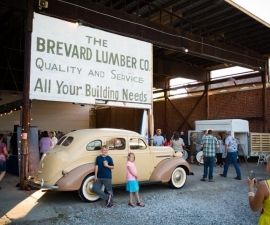 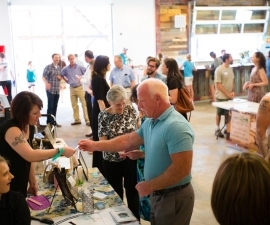 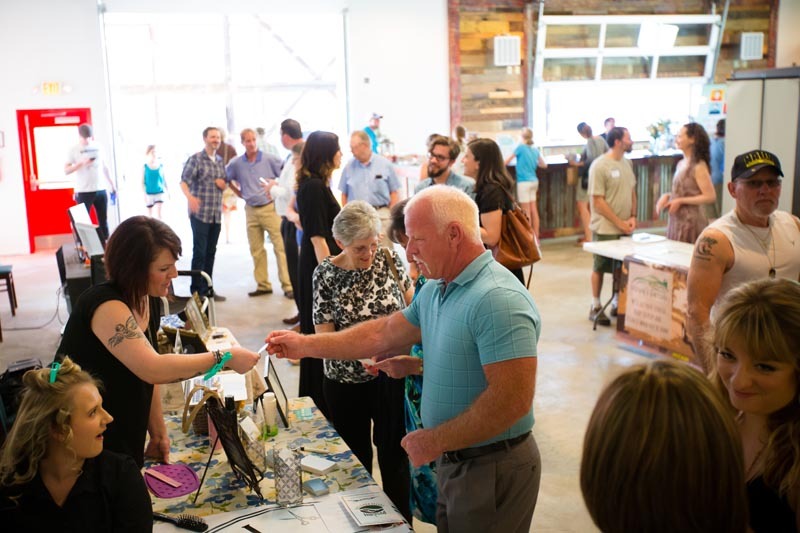 The first-ever evening to meet and greet folks who own business in our western North Carolina town of Brevard. 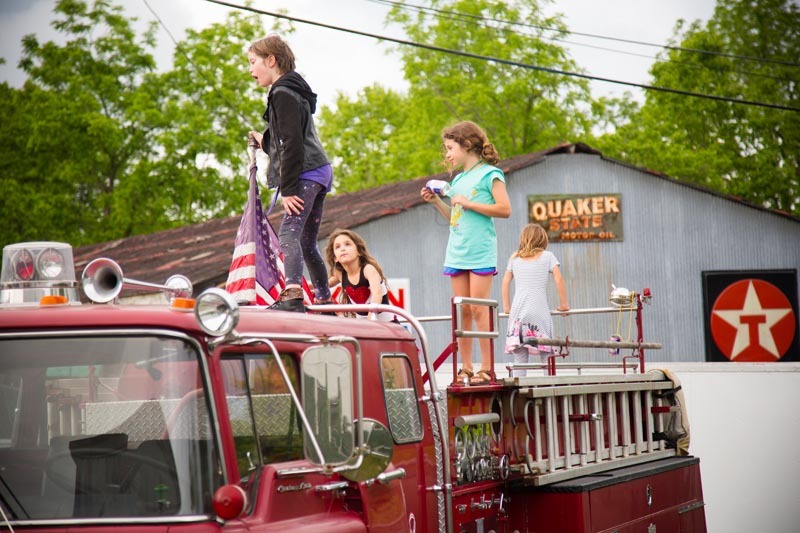 This entry was posted in Past Events on April 29, 2016 by oliver. 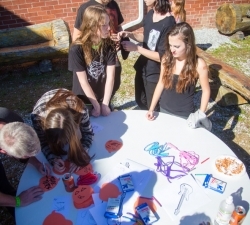 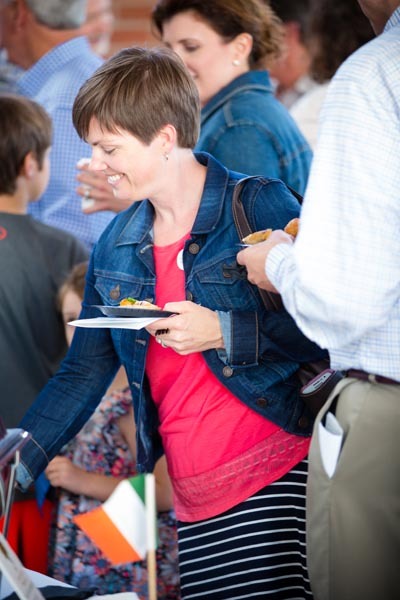 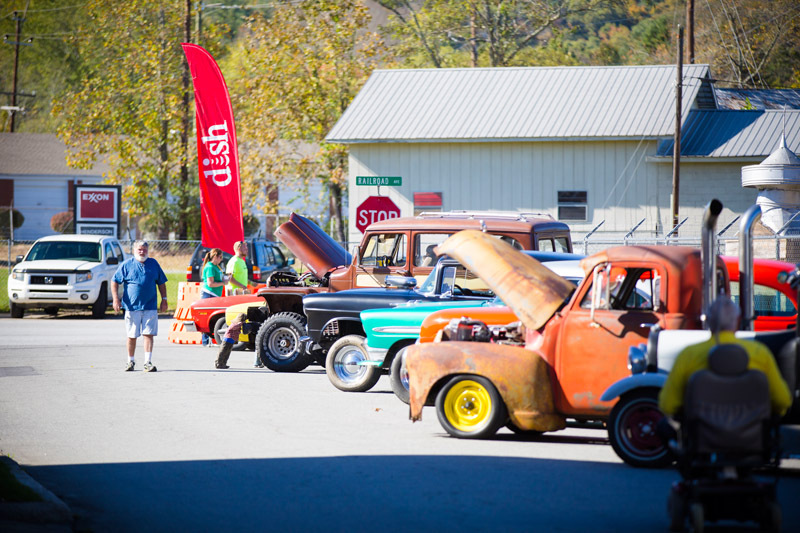 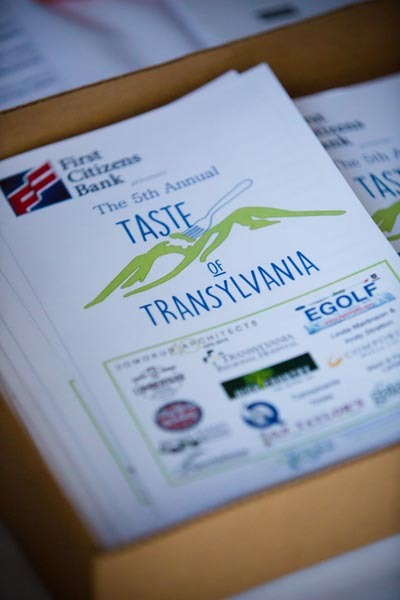 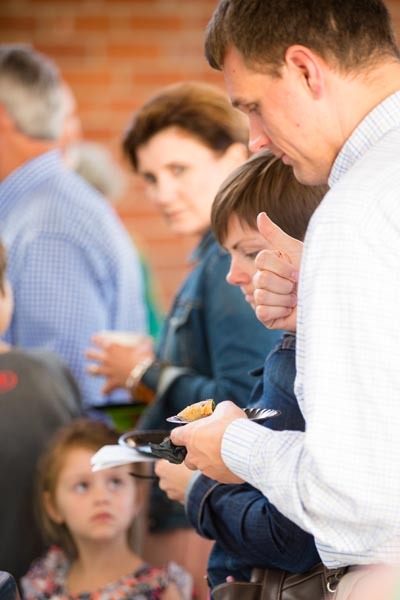 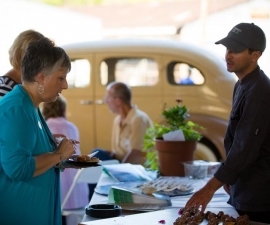 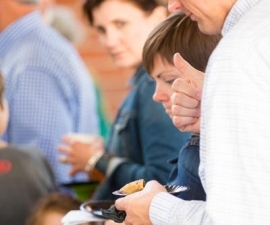 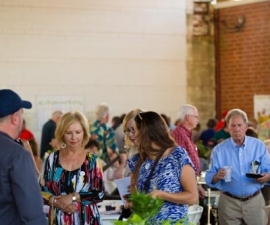 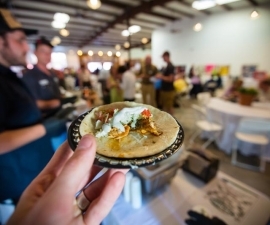 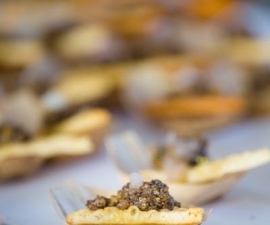 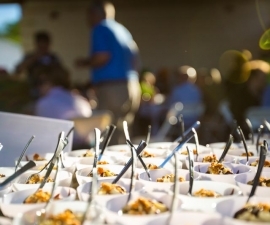 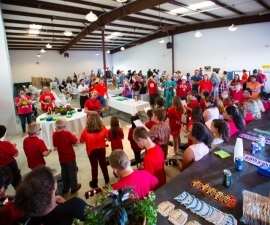 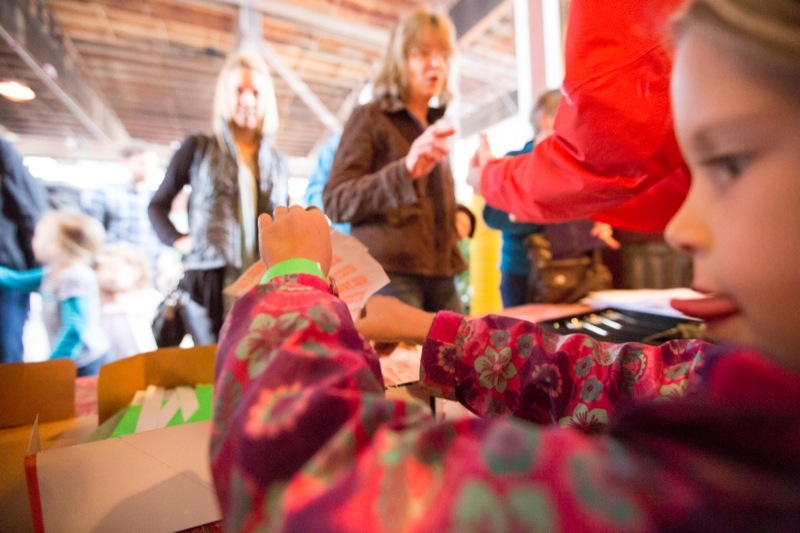 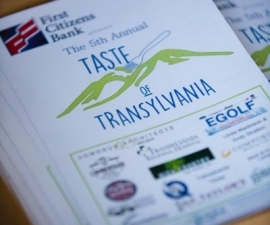 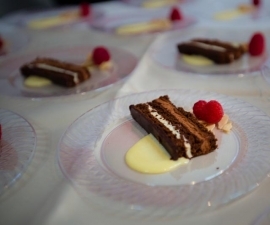 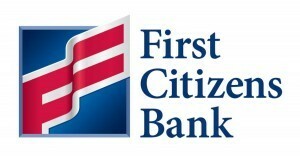 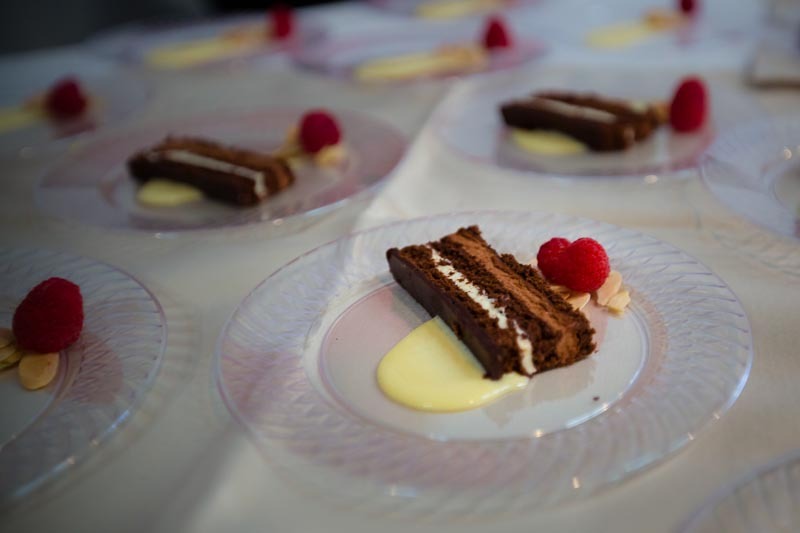 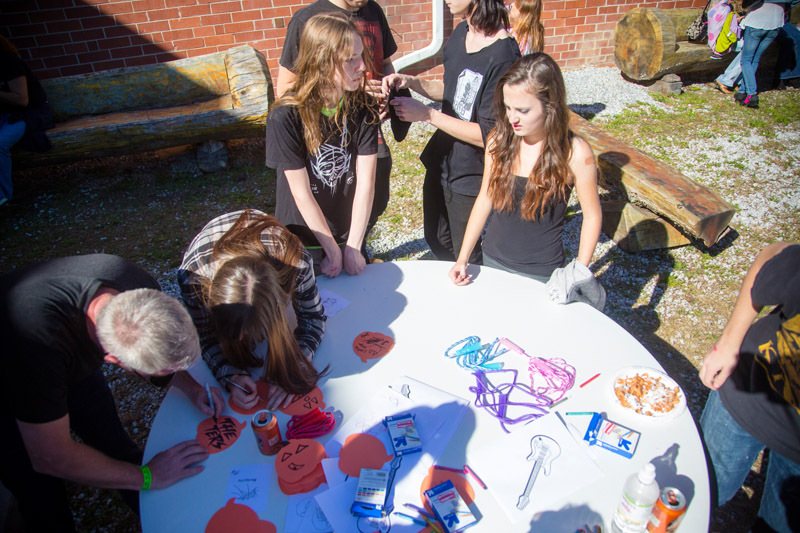 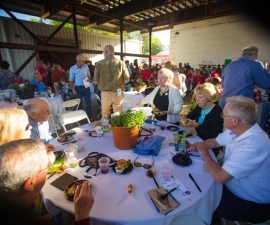 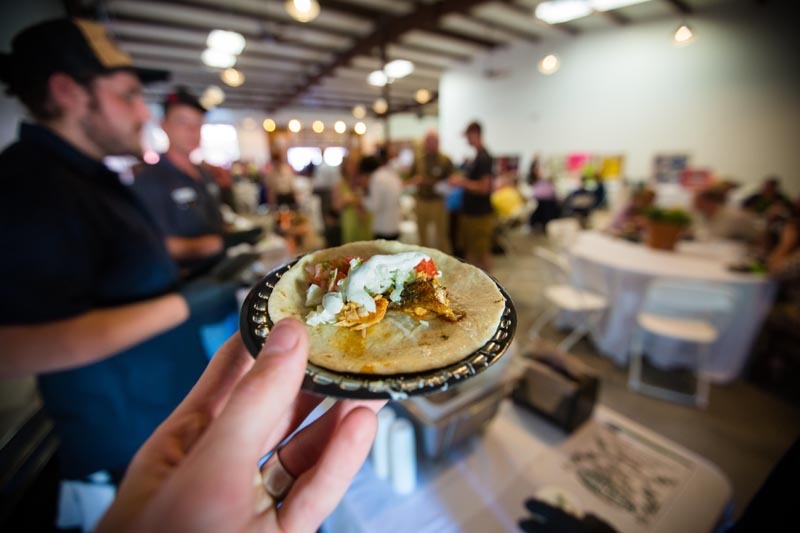 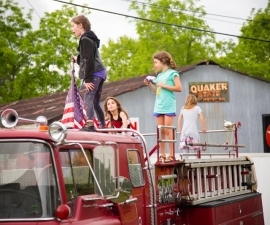 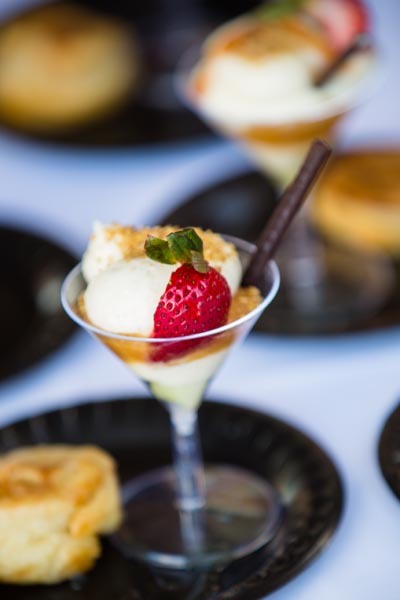 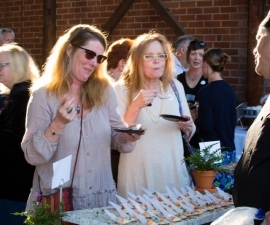 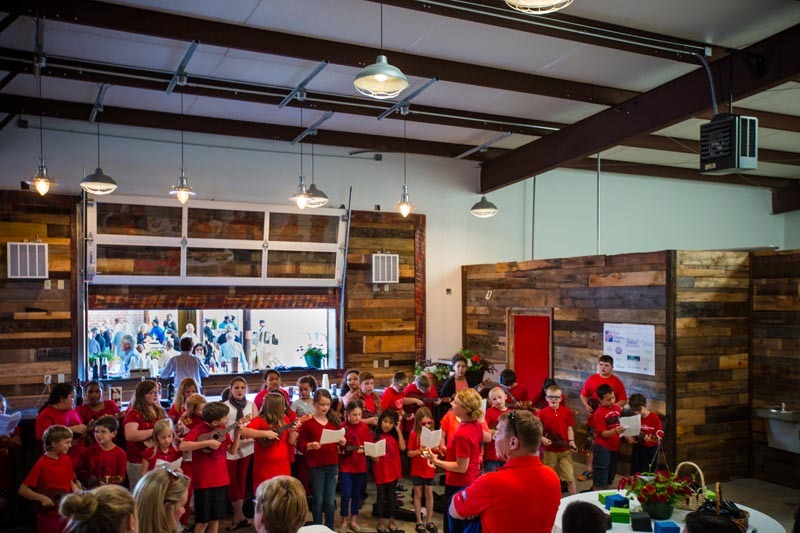 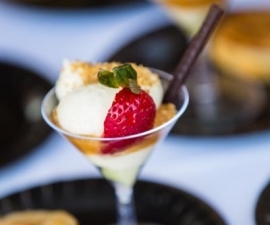 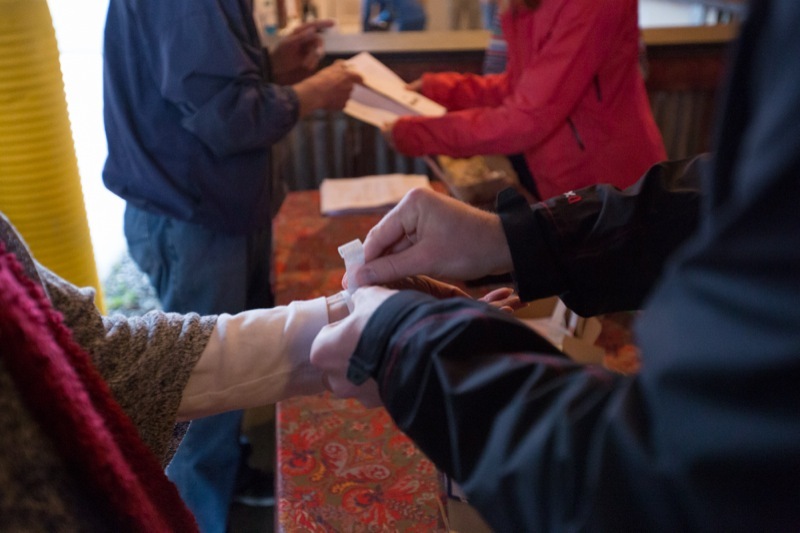 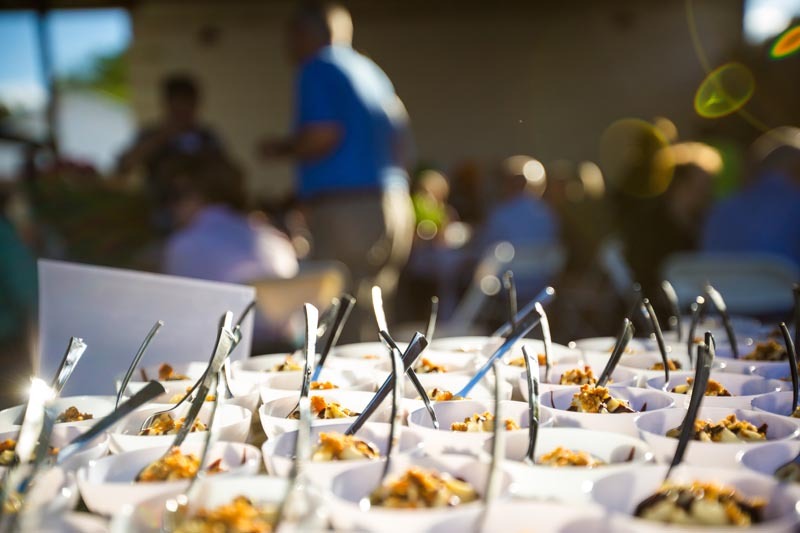 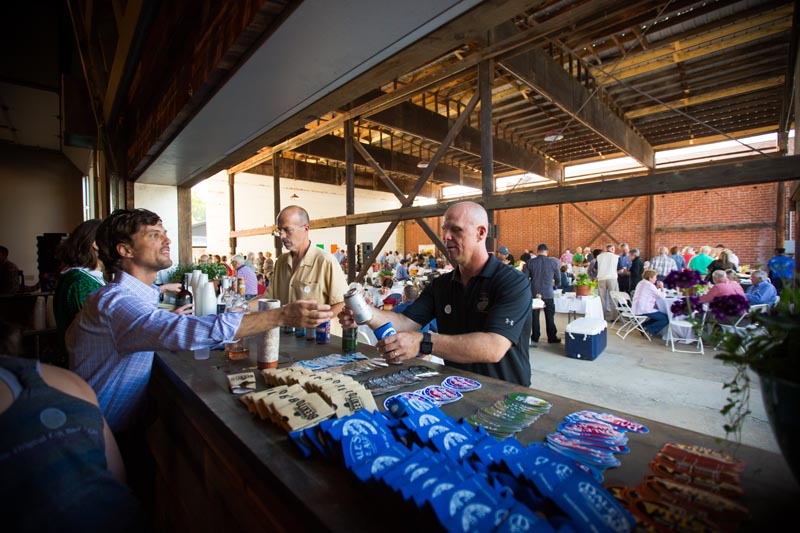 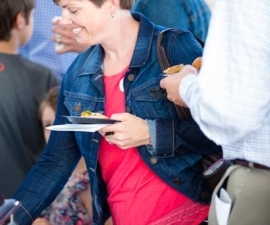 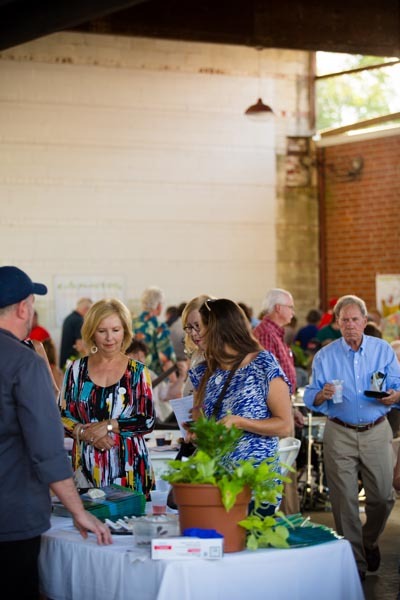 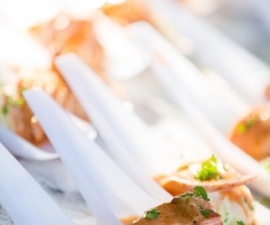 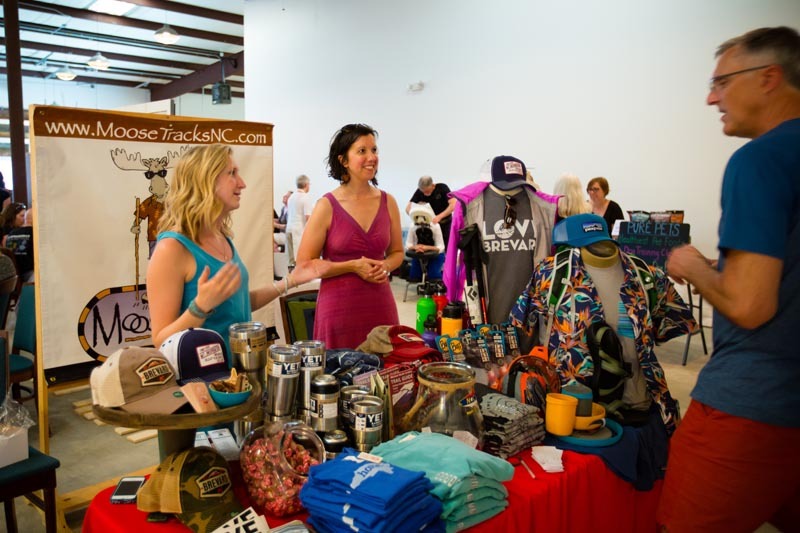 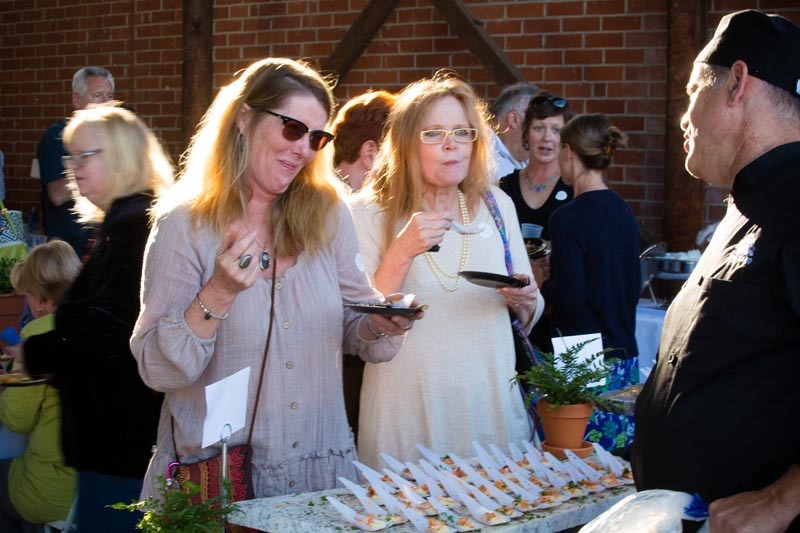 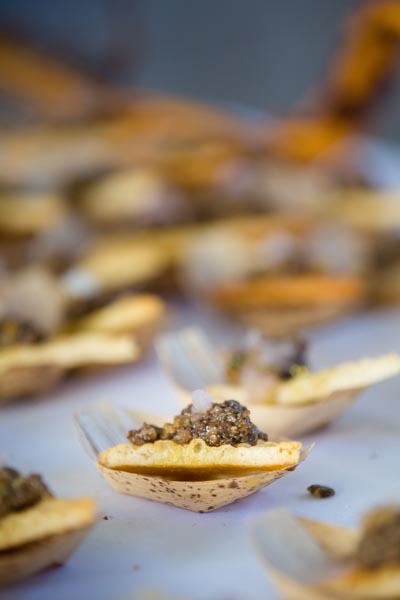 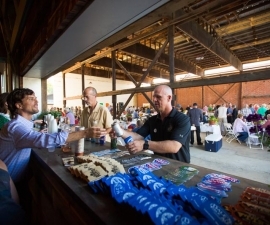 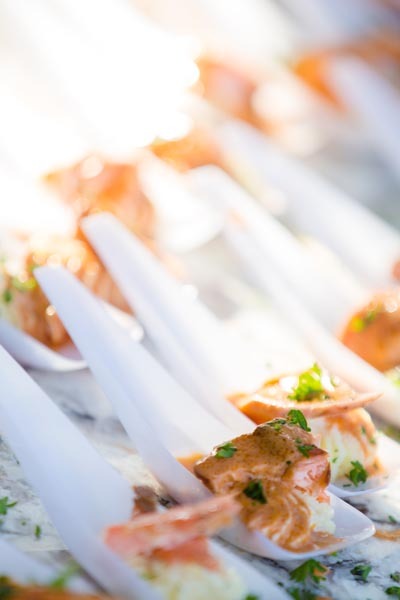 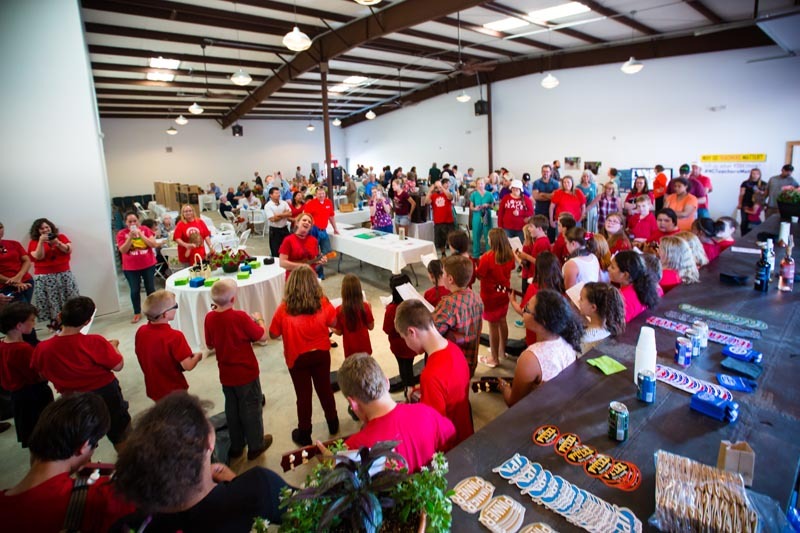 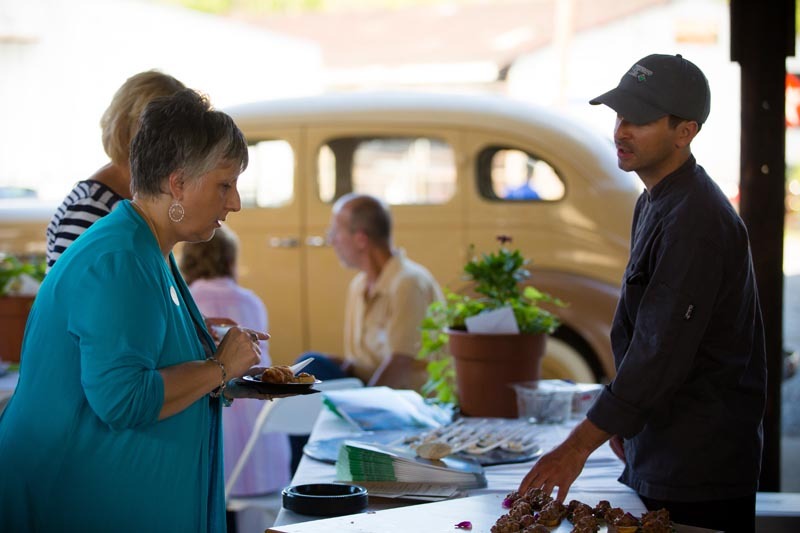 First Citizens Bank and TCSEF present the Fifth Annual Taste of Transylvania which will raise money to support innovative, educational programs in Transylvania County Schools. 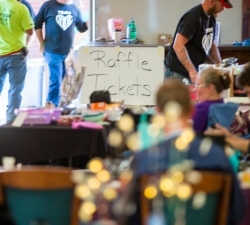 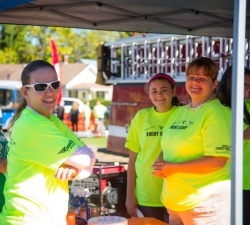 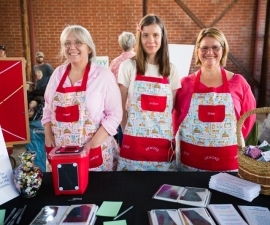 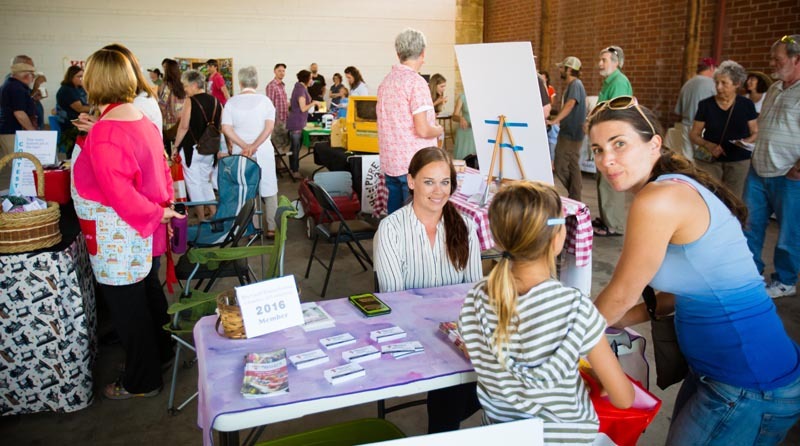 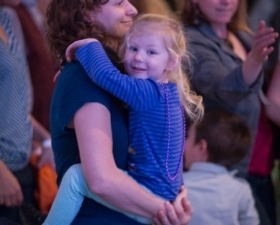 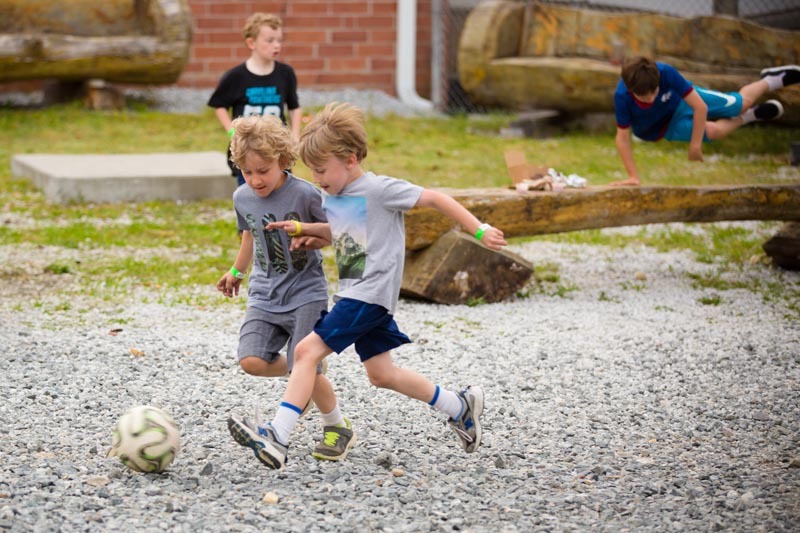 All funds raised at the event support the TCSEF Mini-Grant program, a competitive process which awarded $18,000 to classroom and enrichment projects for the 2015/2016 school year. Please join us for our second annual Winter Bash. 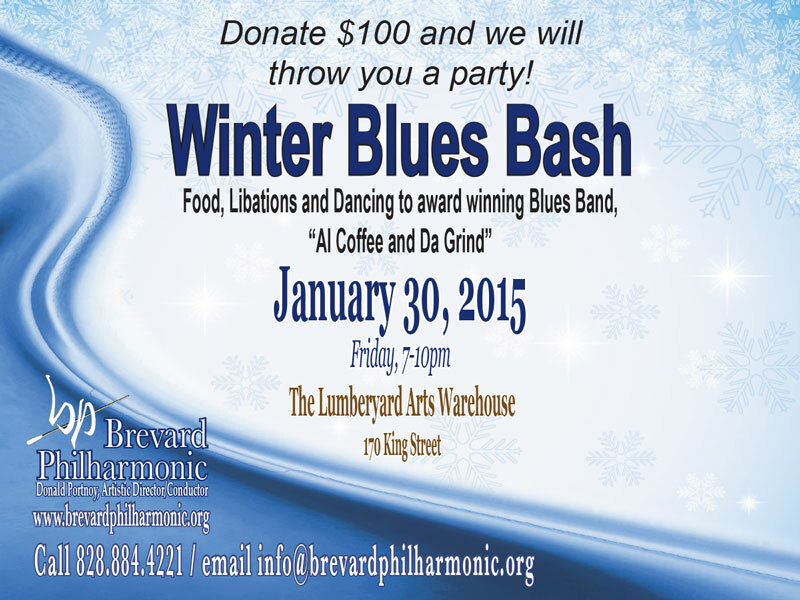 An evening of live music, dancing, food and libations as a thank you for your $75 donation to Brevard Philharmonic. 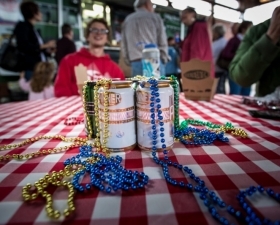 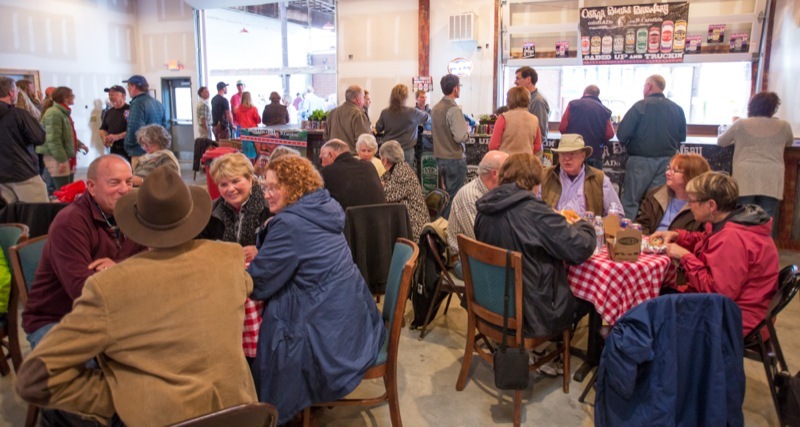 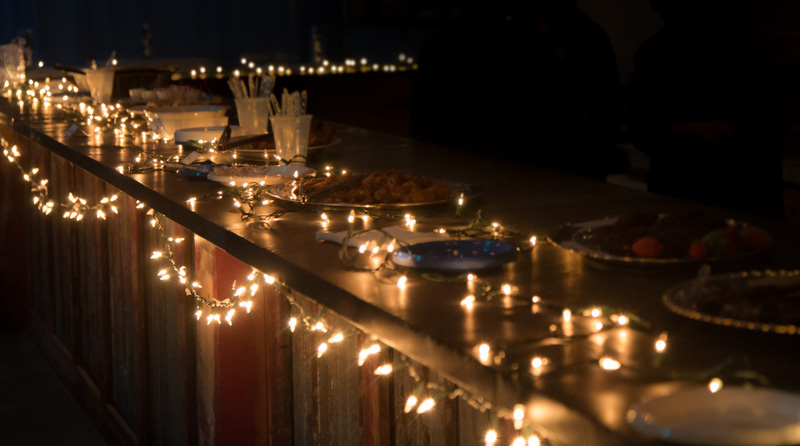 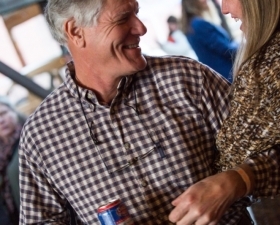 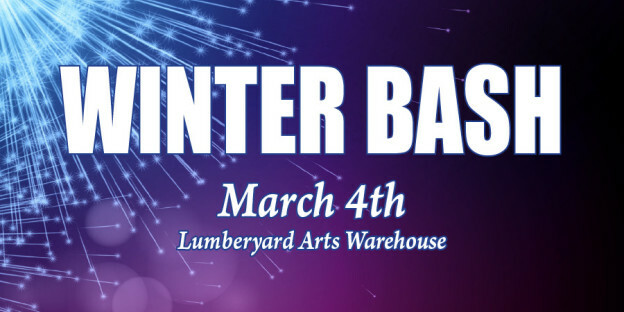 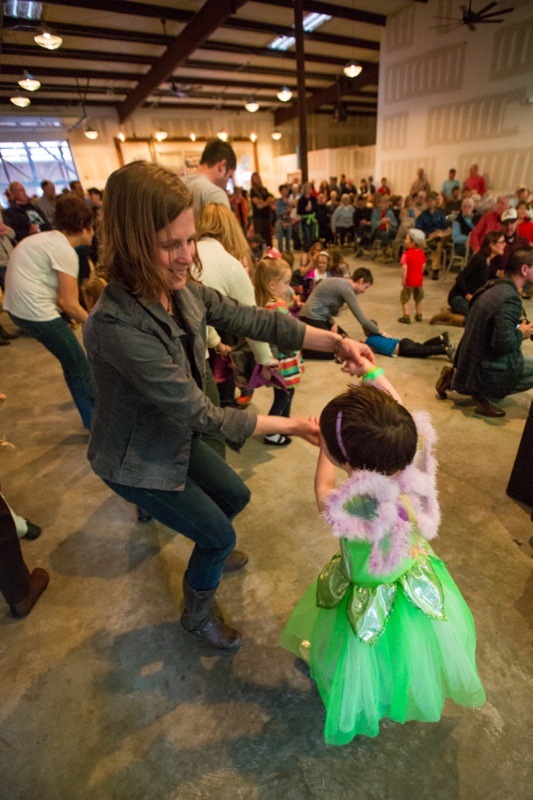 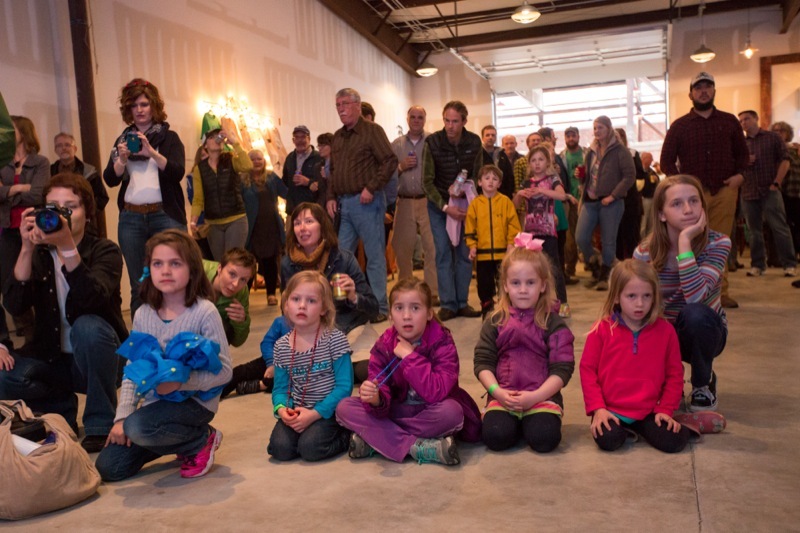 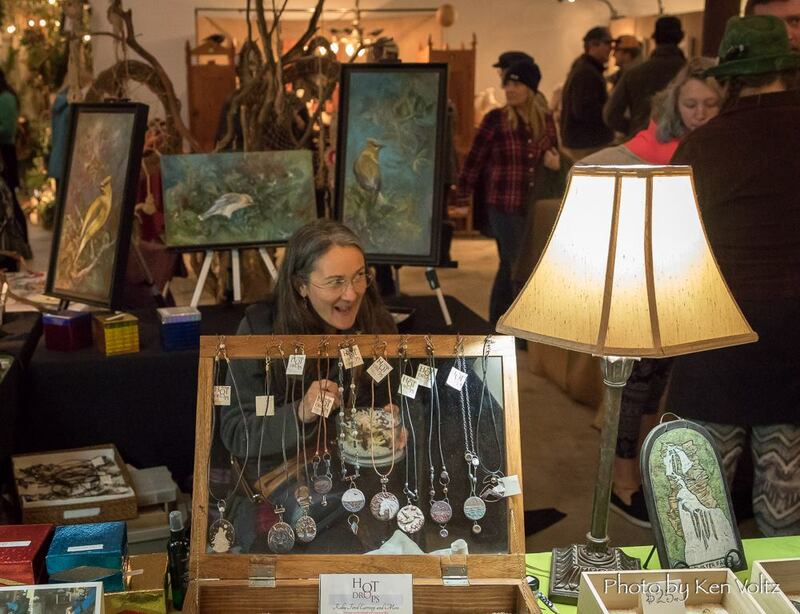 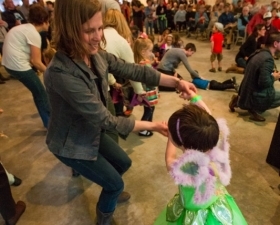 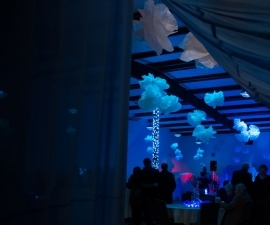 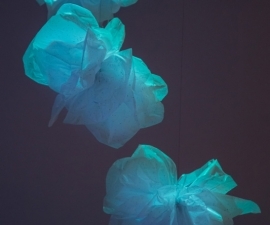 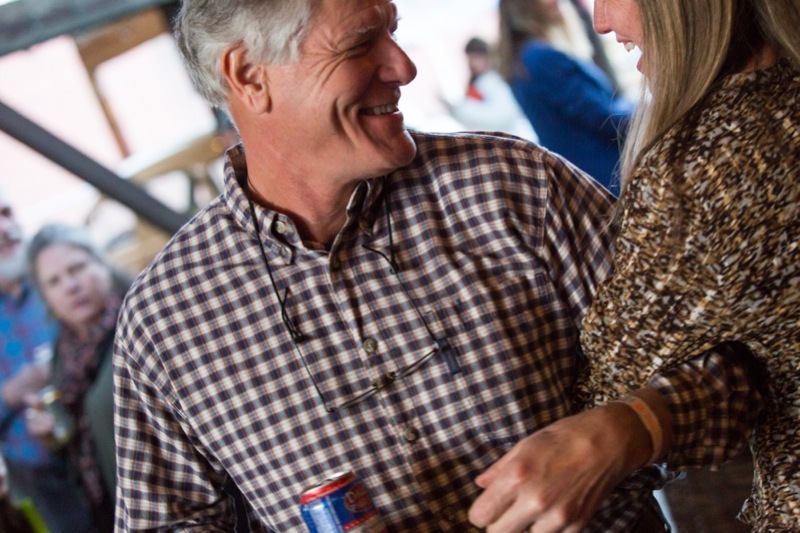 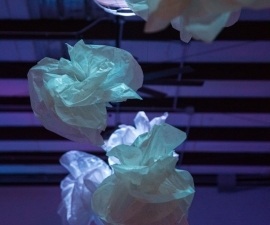 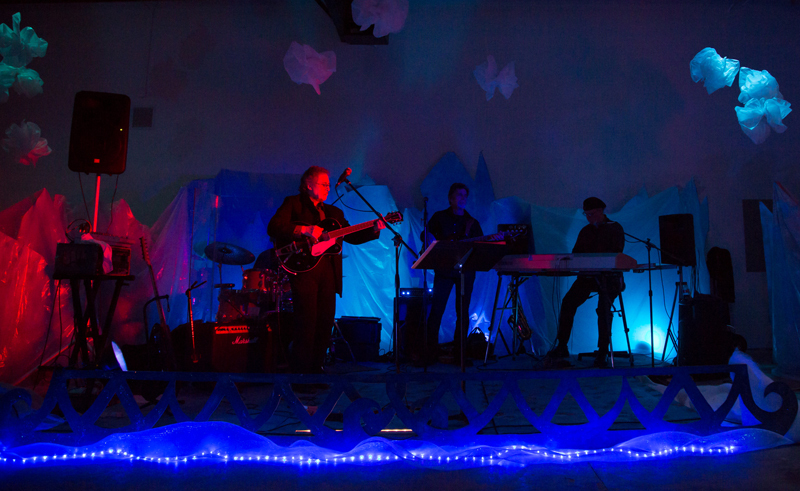 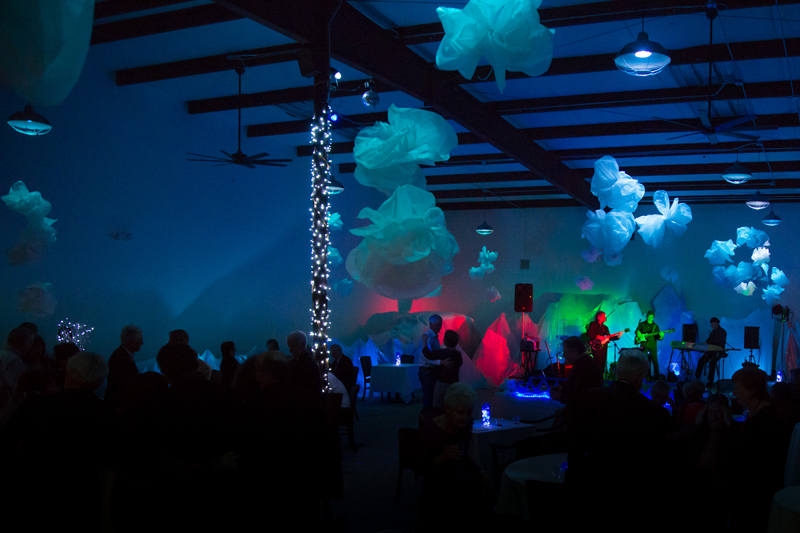 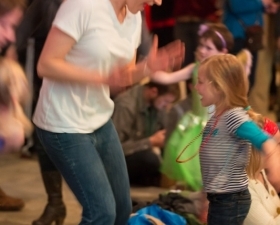 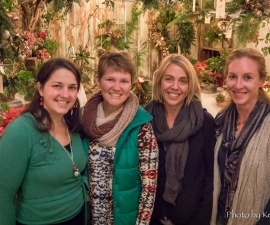 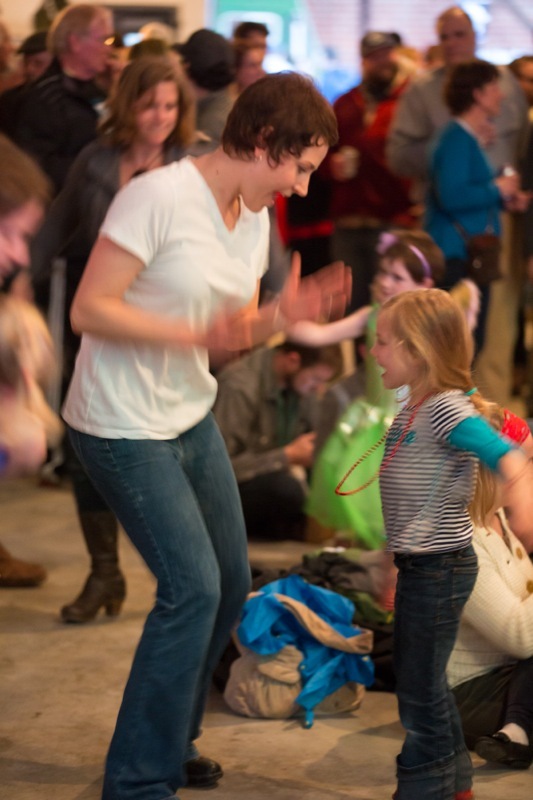 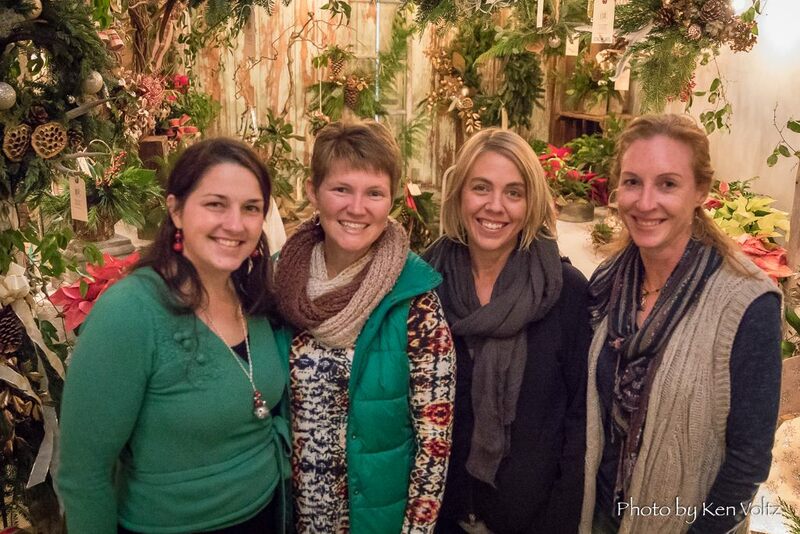 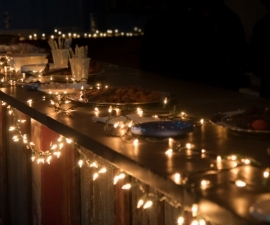 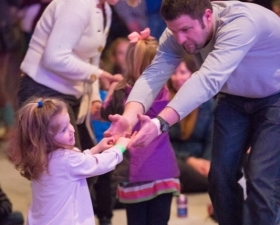 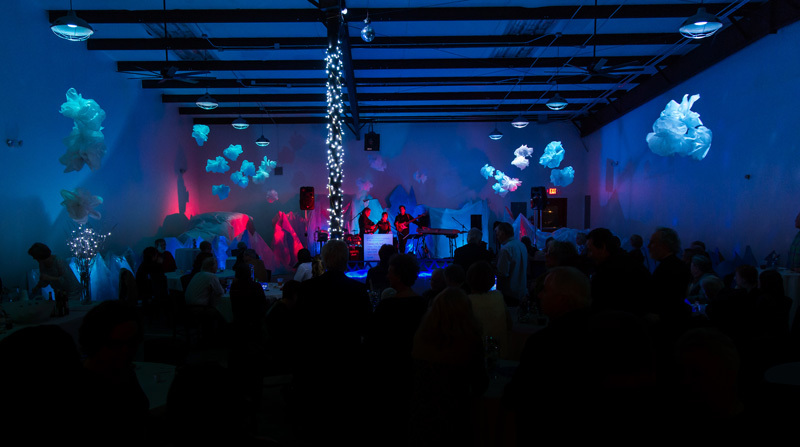 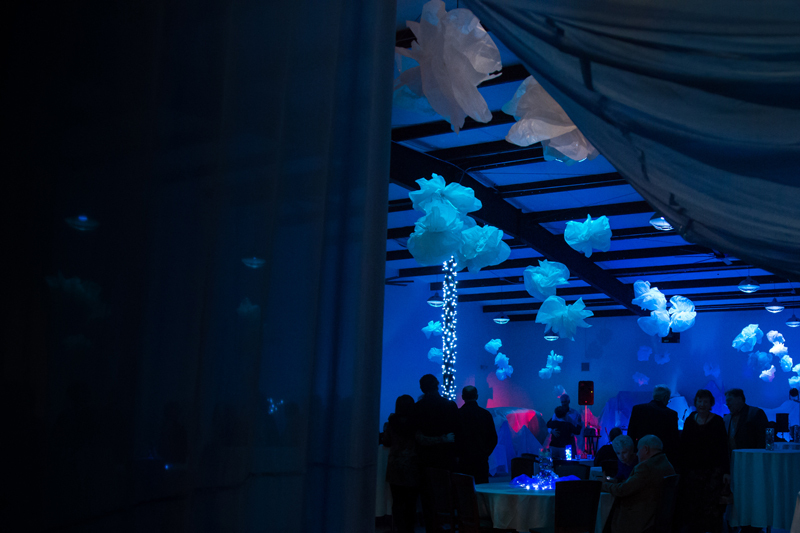 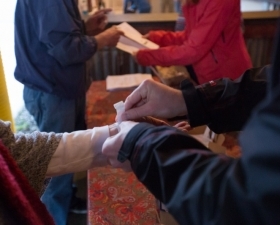 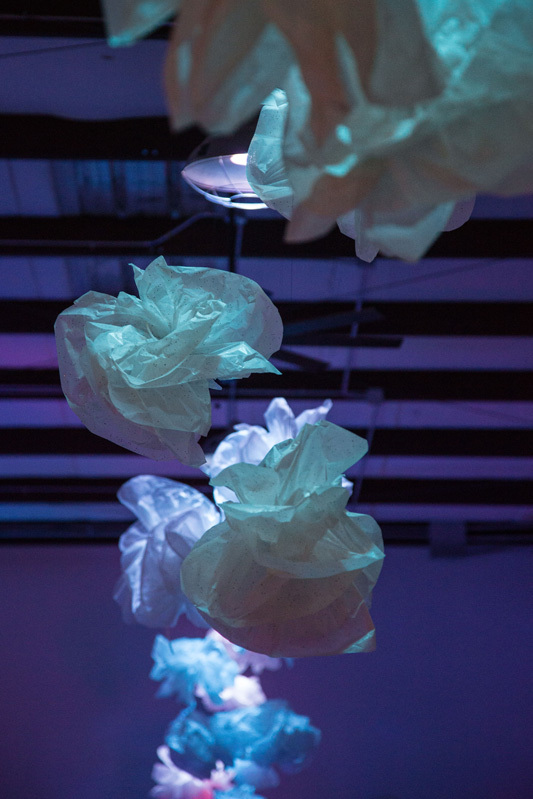 The Winter Bash will happen Friday, March 4th, 7:00-10:00pm at the Lumberyard Arts Warehouse, King Street, Brevard. 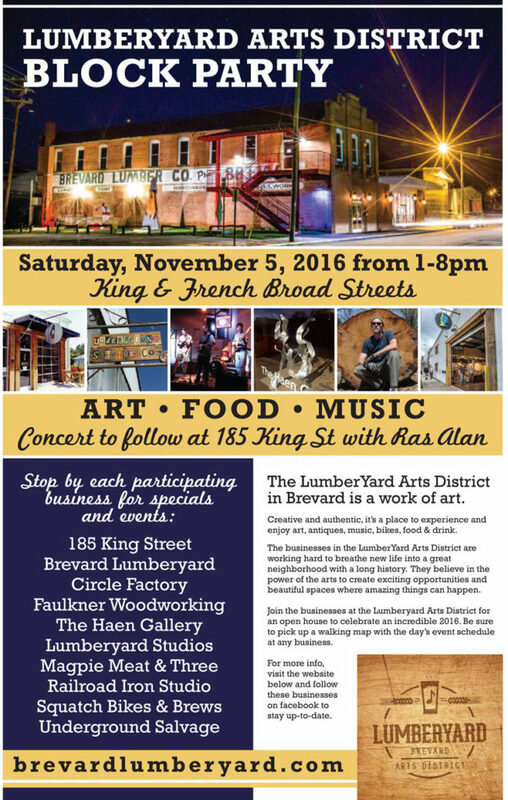 Join s in a fun filled day/night with live bands and vendors. 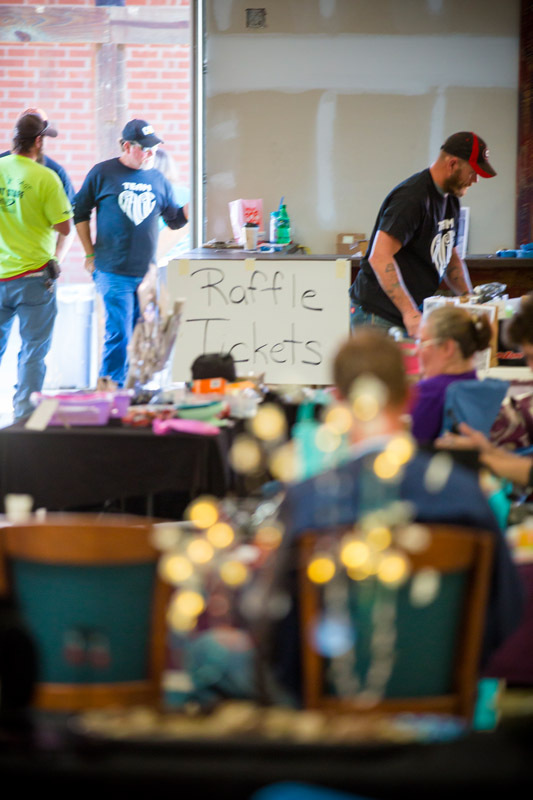 We are calling out to all businesses who would like to reserve vendor spots at the Oct. 17th fundraising event (concert/festival) for Gage Guffey and Bands that would like to play. 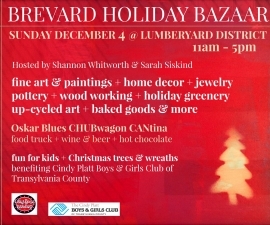 The hours will be from 12pm thru to 10pm that night with live bands playing throughout the day. 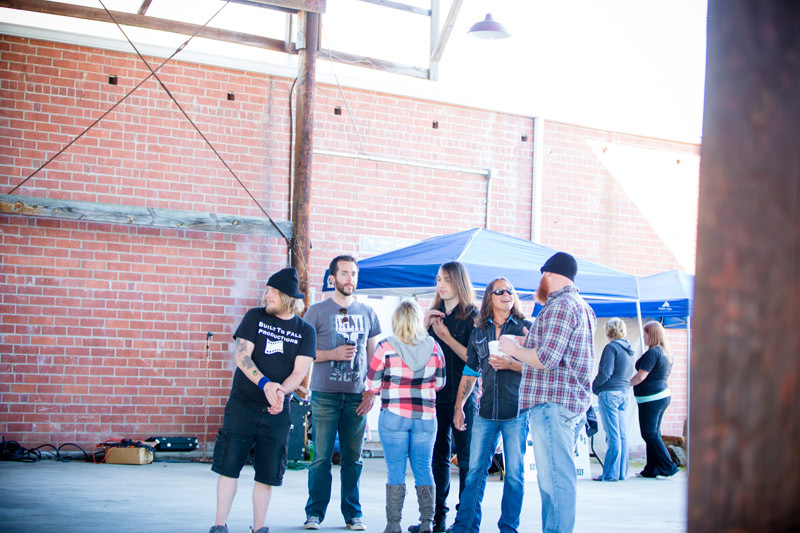 Ticket prices & detailed event lineup to be announced very soon. 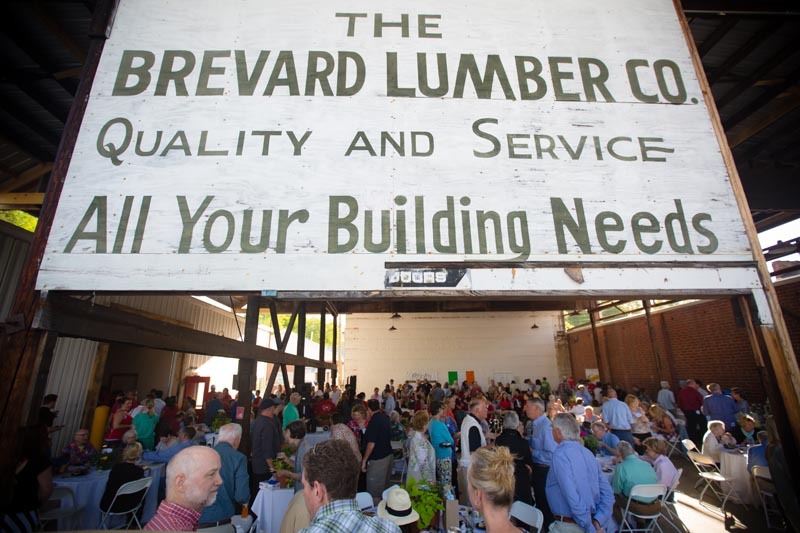 Brevard Lumber Yard has graciously donated it’s 2.5 acre indoor and outdoor site for the event so we will have plenty of space for all types of vendors interested in participating. 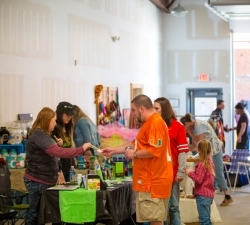 We are asking for $20 non refundable registration fee for vendors, all which will be going to Gage and we are asking that all vendors make a small donation of a percentage of sales for the day to Gage (vendors choice of donation amount). 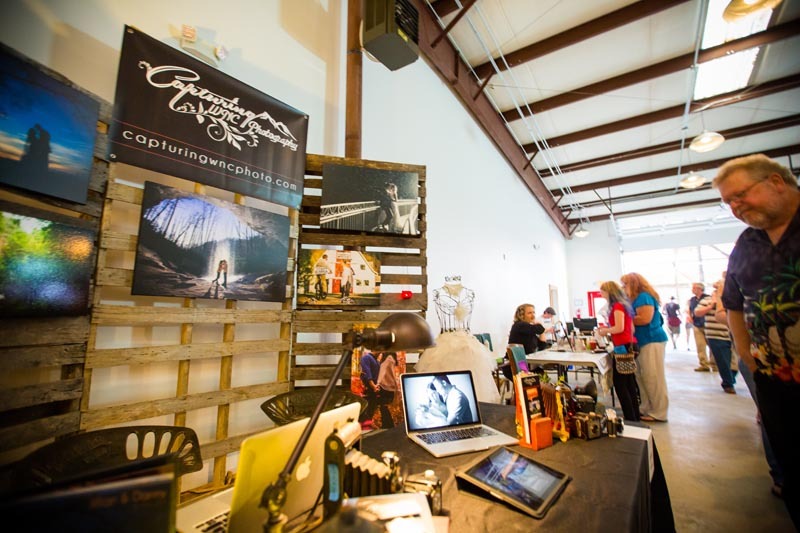 Please contact Angela Brown via PM if you are interested in being a vendor or a band. 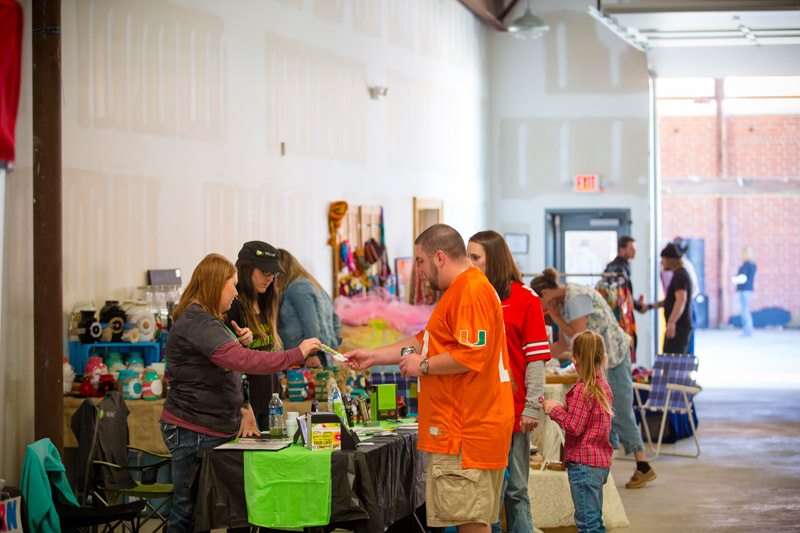 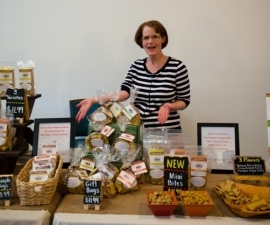 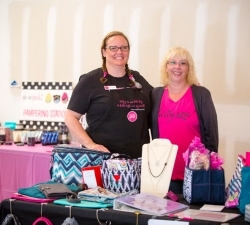 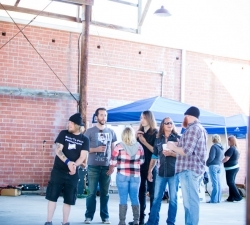 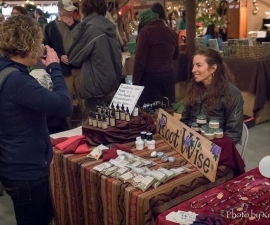 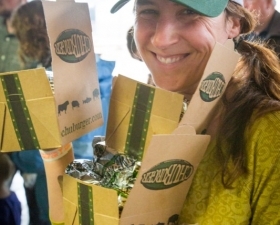 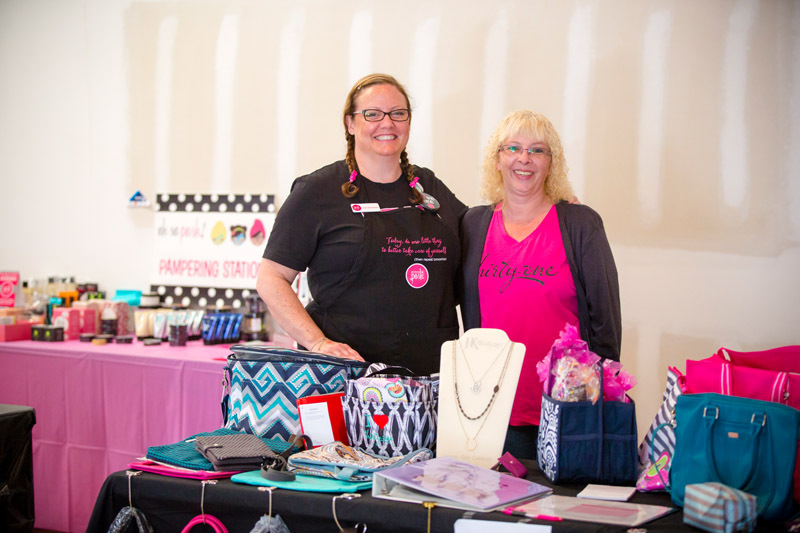 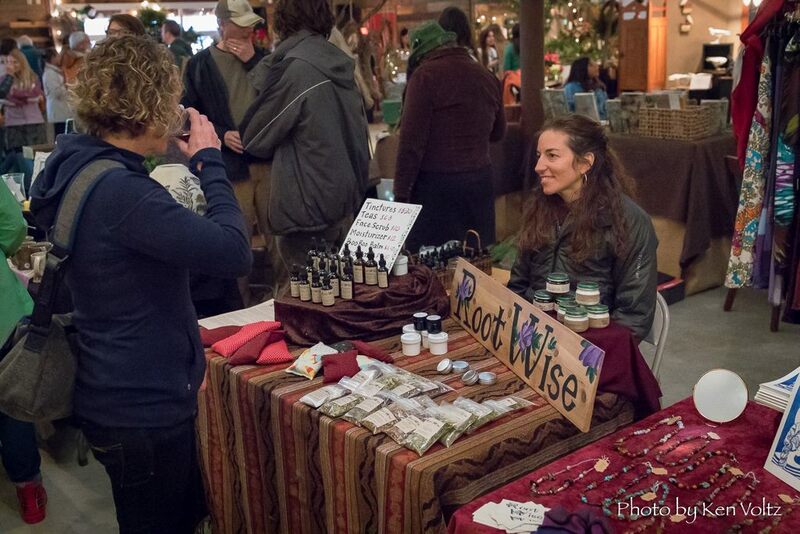 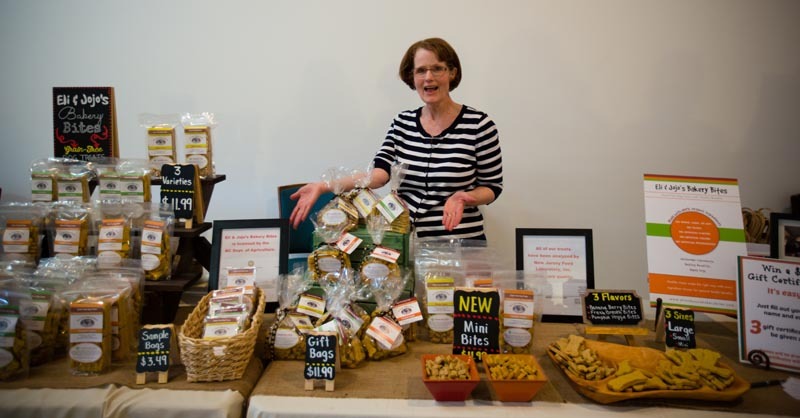 Vendors will assigned a vendor # and be added to our vendor list. 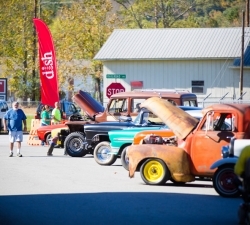 All registration payments must be mailed to GWG2, PO Box 686, Yadkinville, NC 27055. 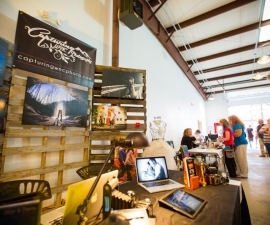 Write check out to GWG. 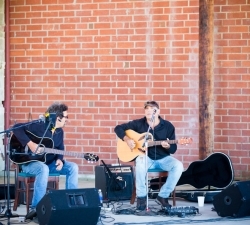 Please include in memo line “Jammin for Gage & your assigned vendor #”. 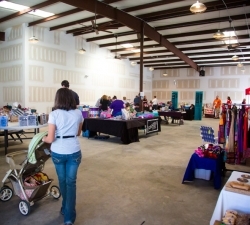 Payable no later than 2 weeks after your vendor # was assigned. 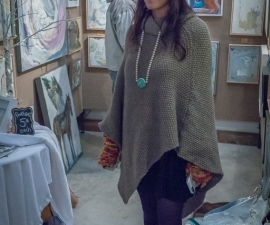 Angela will not be accepting any fees, so please do not ask her to. 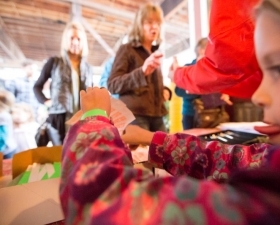 In order to secure your spot, fees must be mailed to the above address. 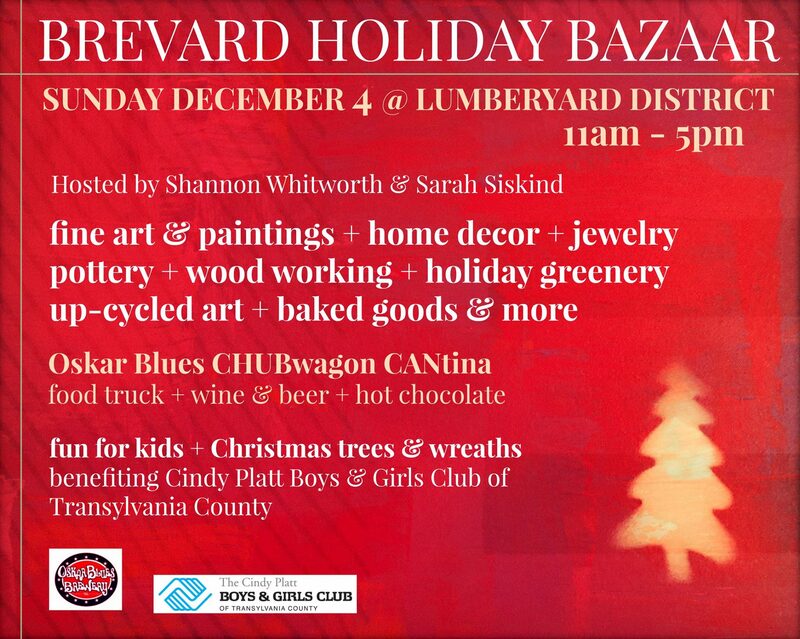 Come out and enjoy a fun filled day filled with live music, a variety of vendors and to support Gage. 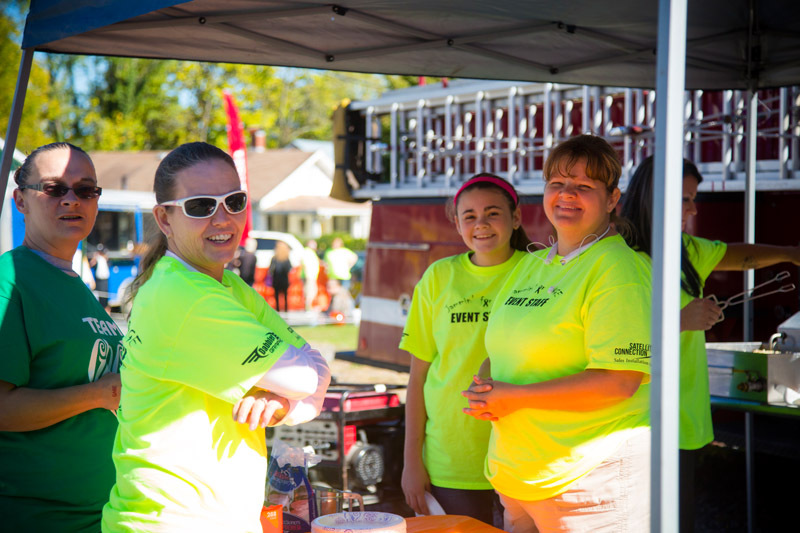 Thank you for all that takes the time to come out and join us or participate in any way. 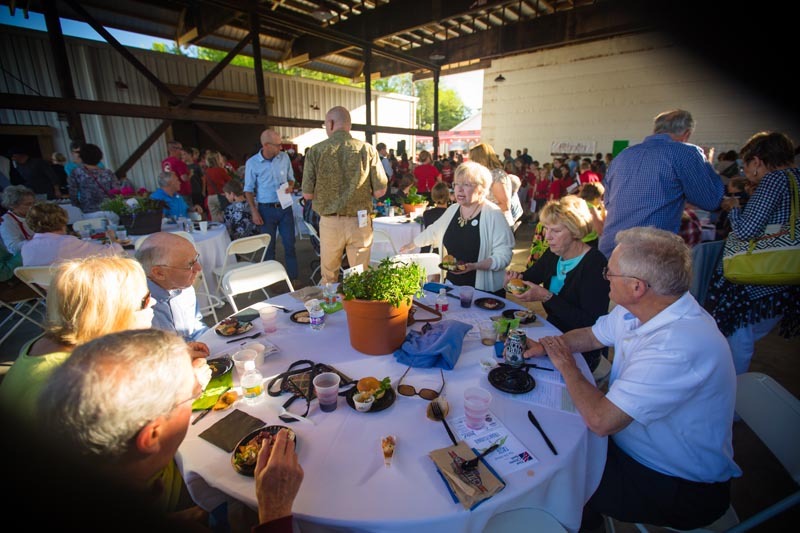 Click to view the event’s Facebook page. 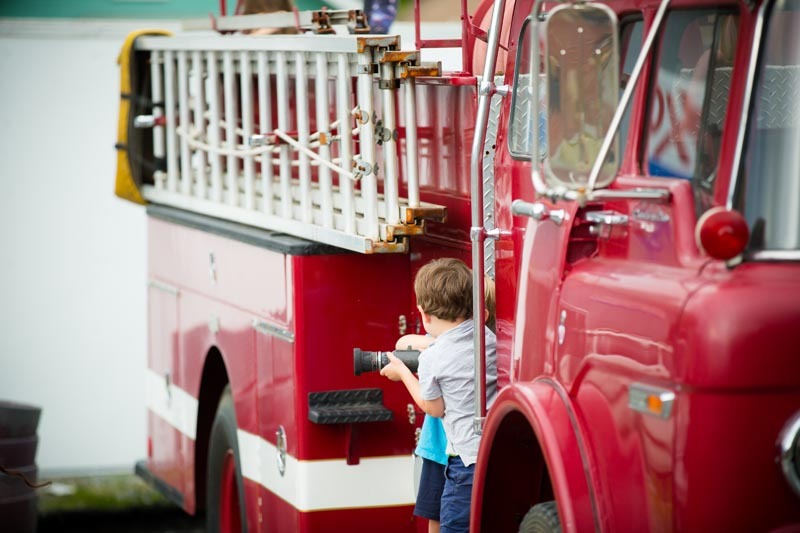 This entry was posted in Past Events on November 2, 2015 by oliver. 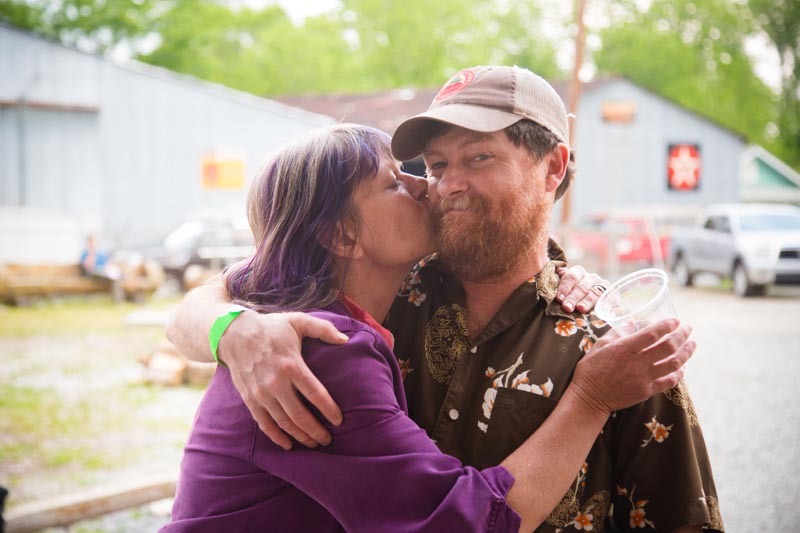 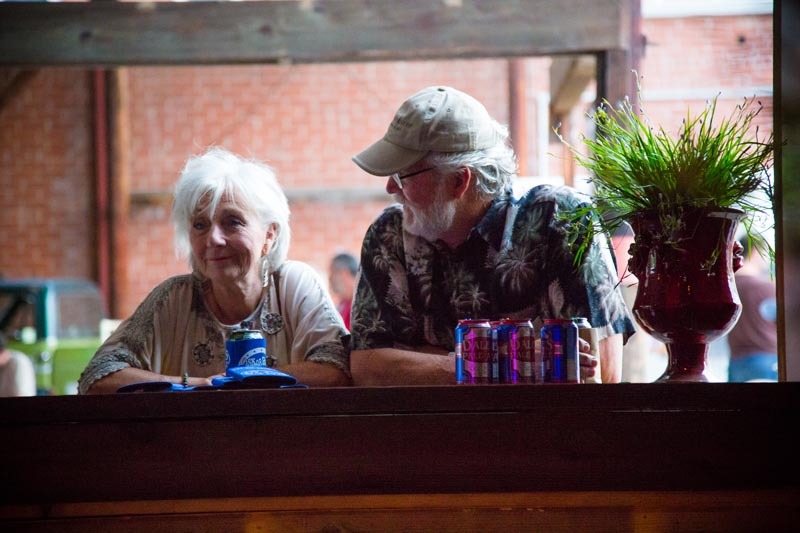 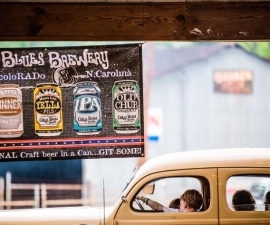 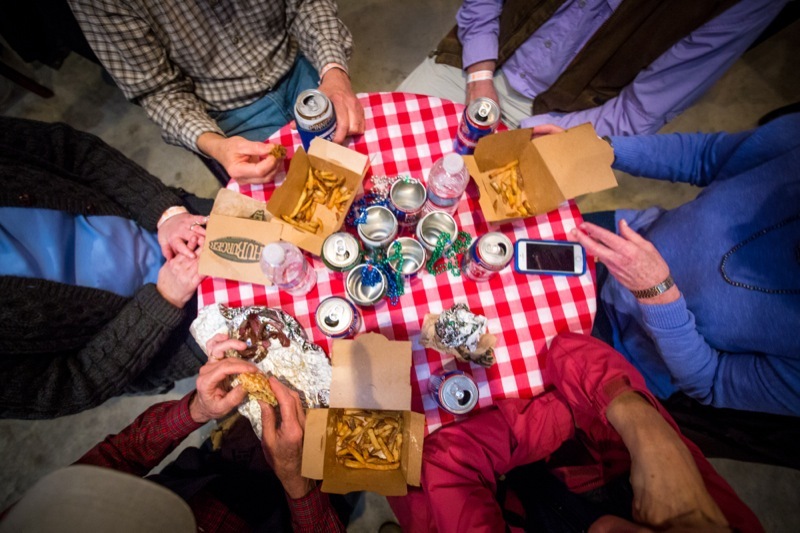 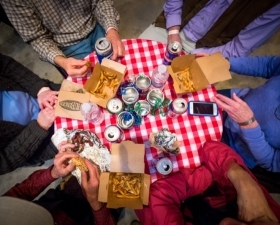 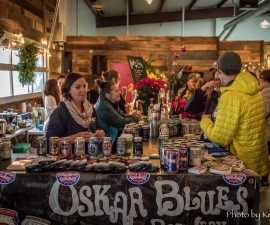 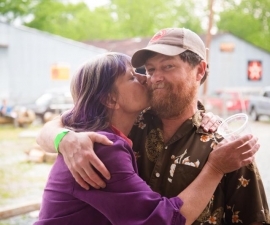 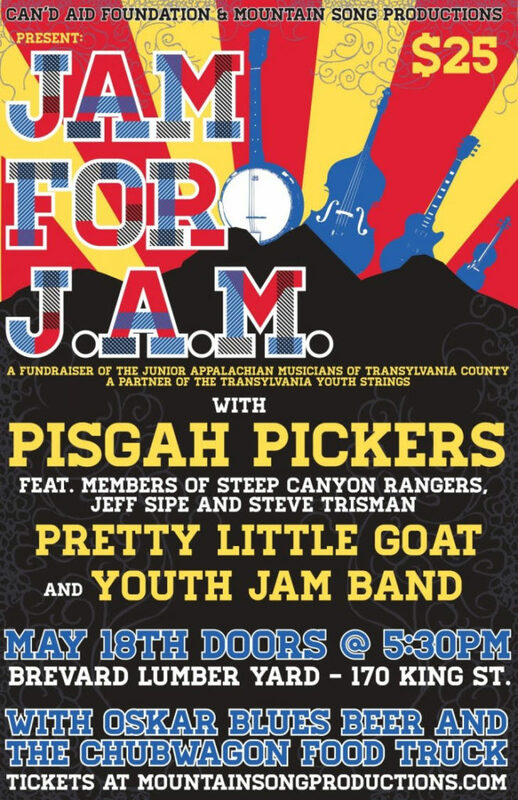 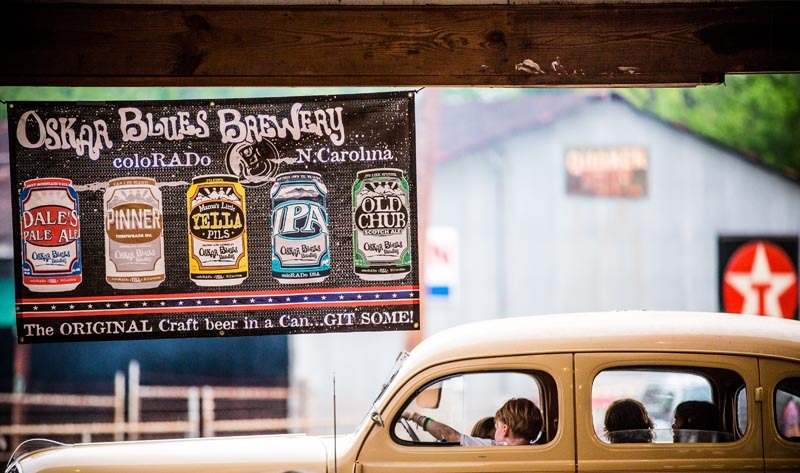 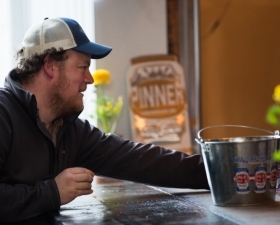 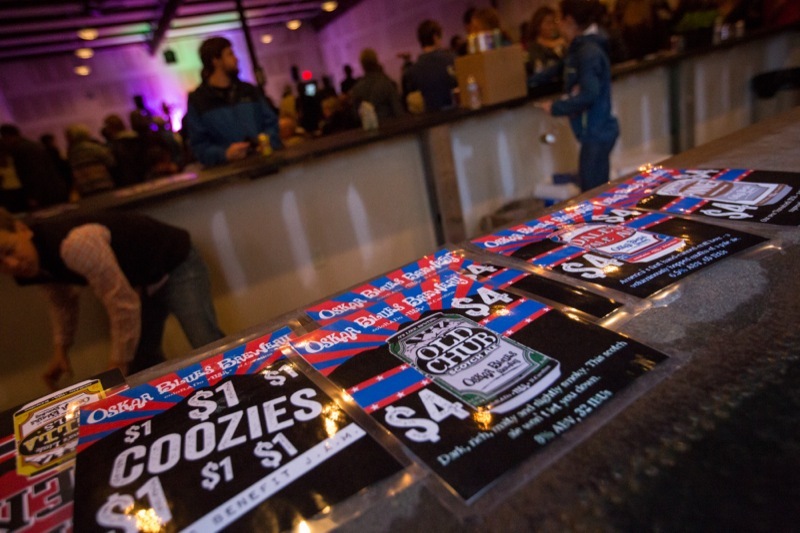 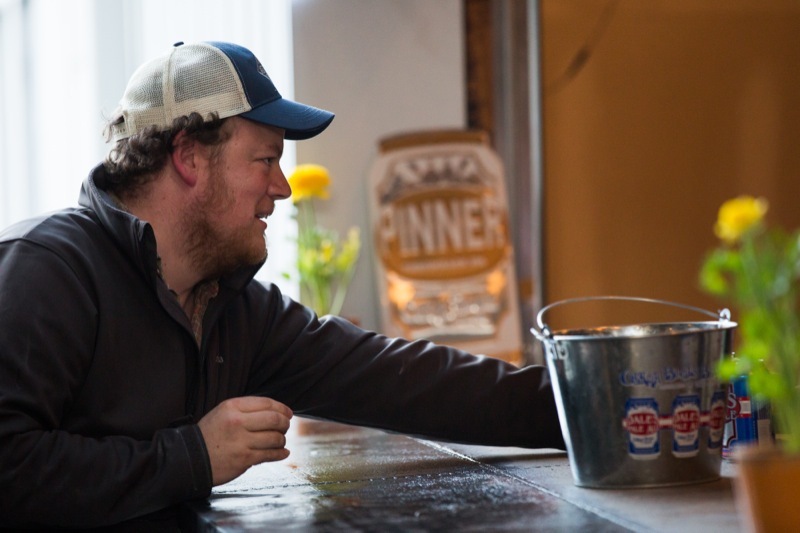 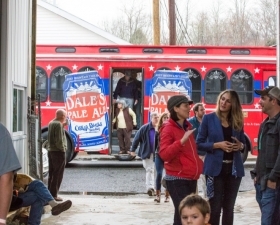 Mountain Song Productions and The Oskar Blues Can’d Aid Foundation present: a benefit for the JAM program of Transylvania County. 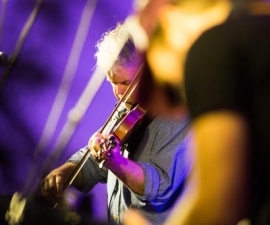 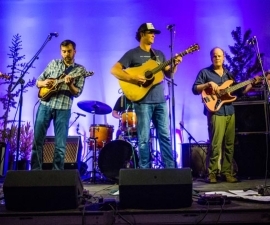 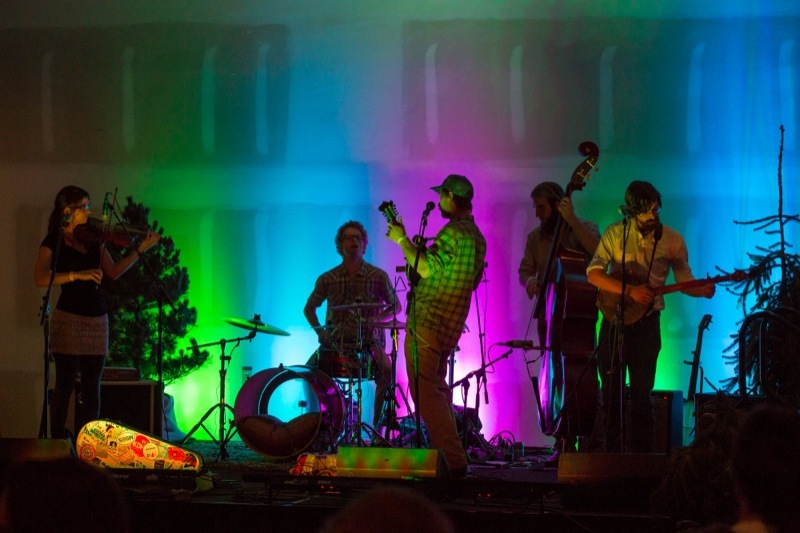 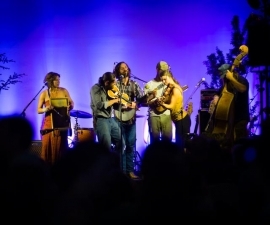 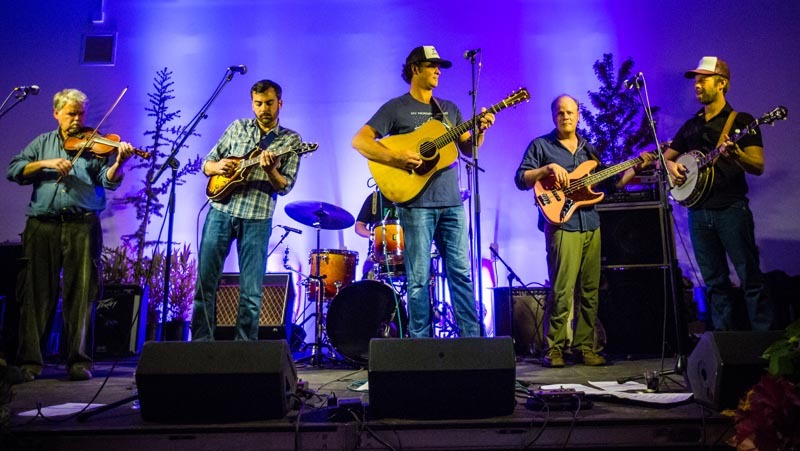 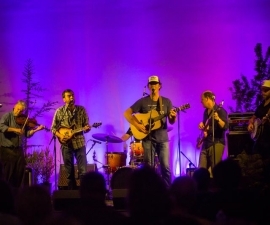 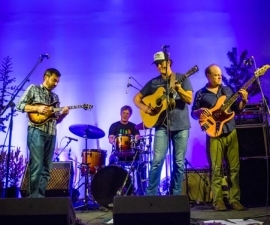 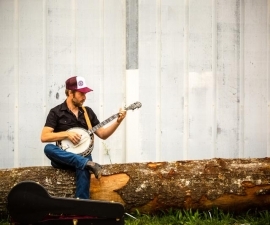 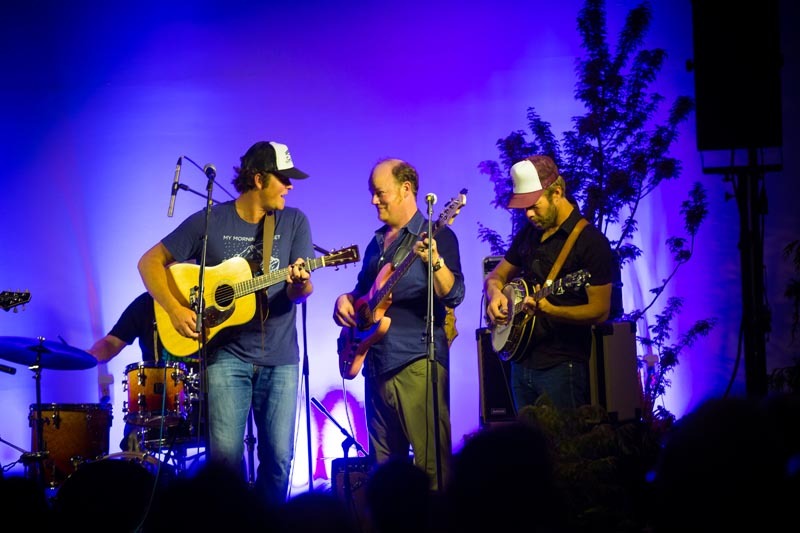 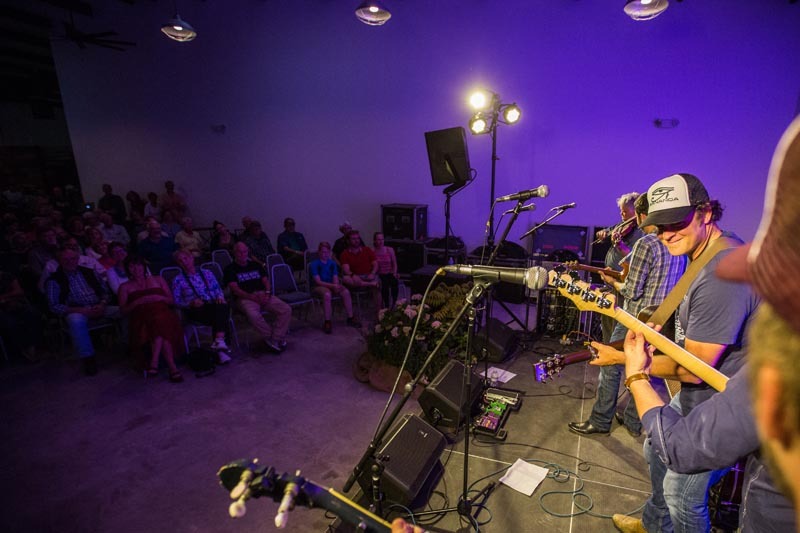 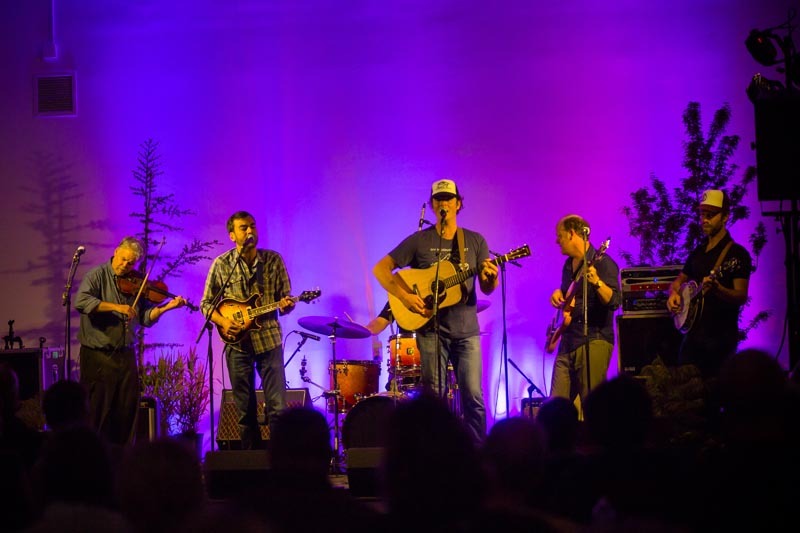 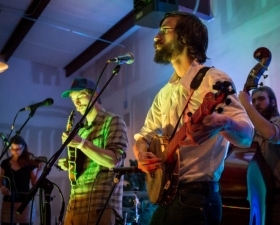 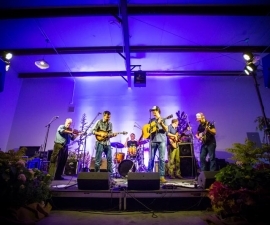 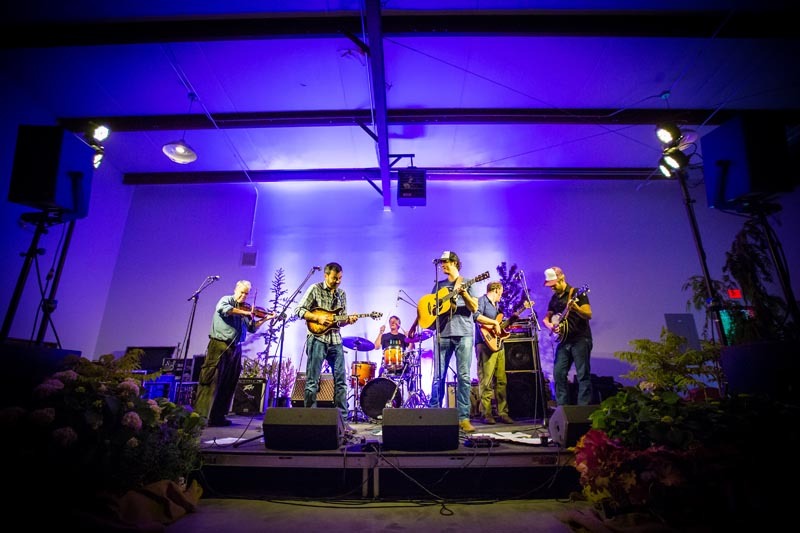 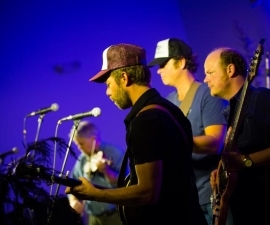 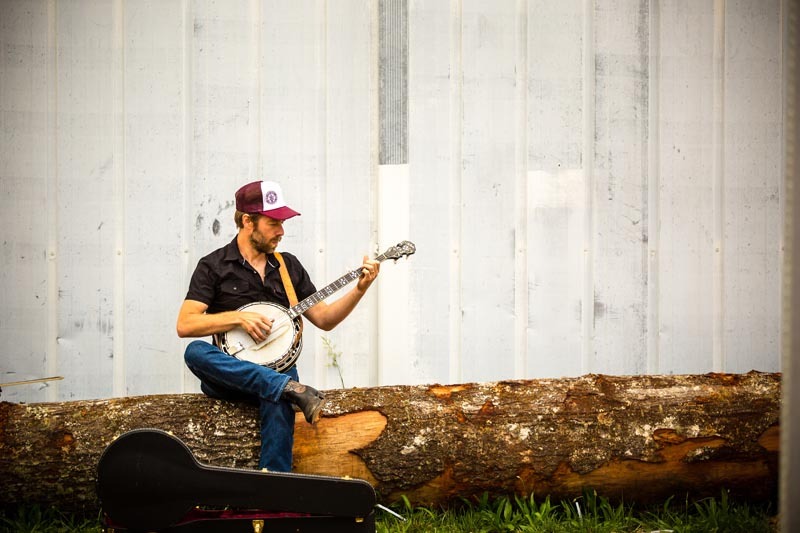 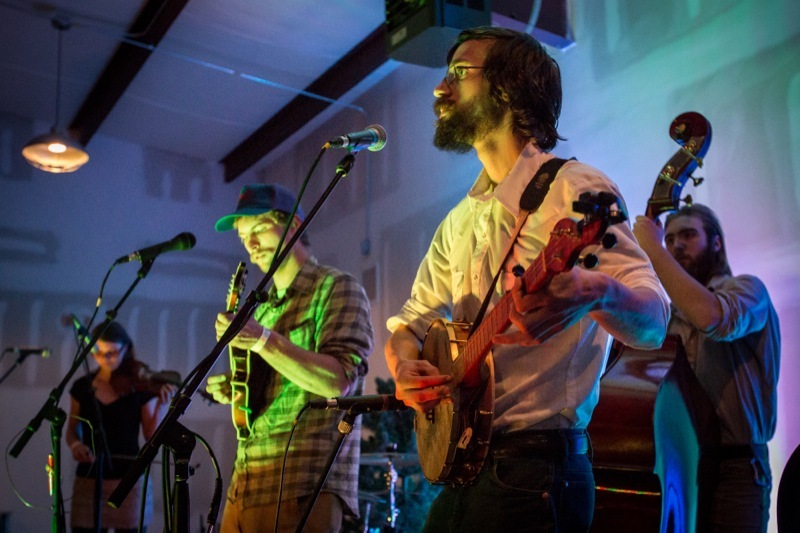 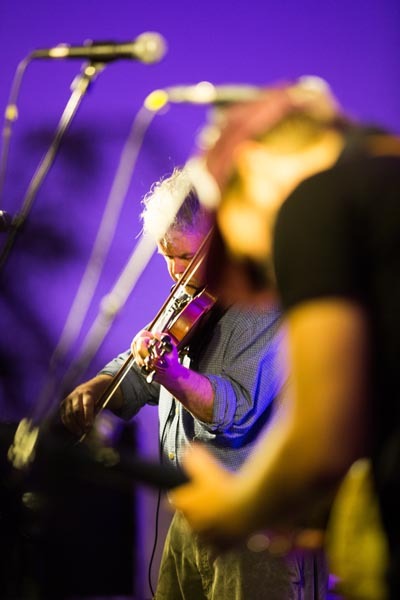 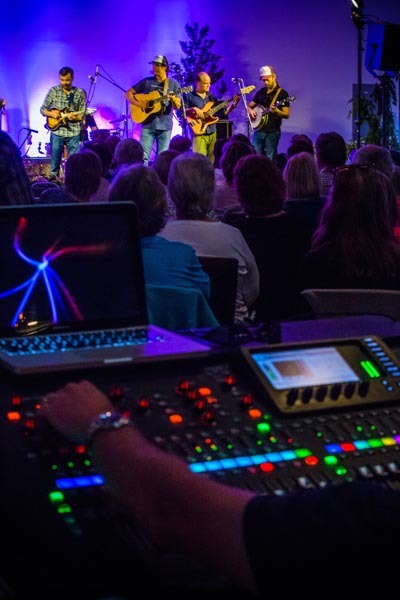 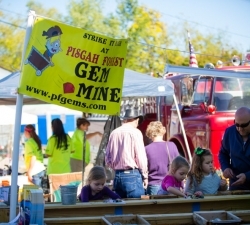 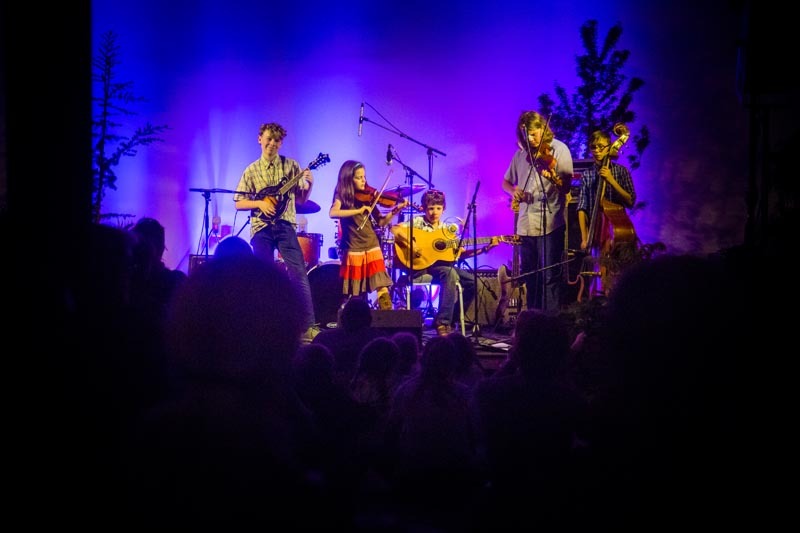 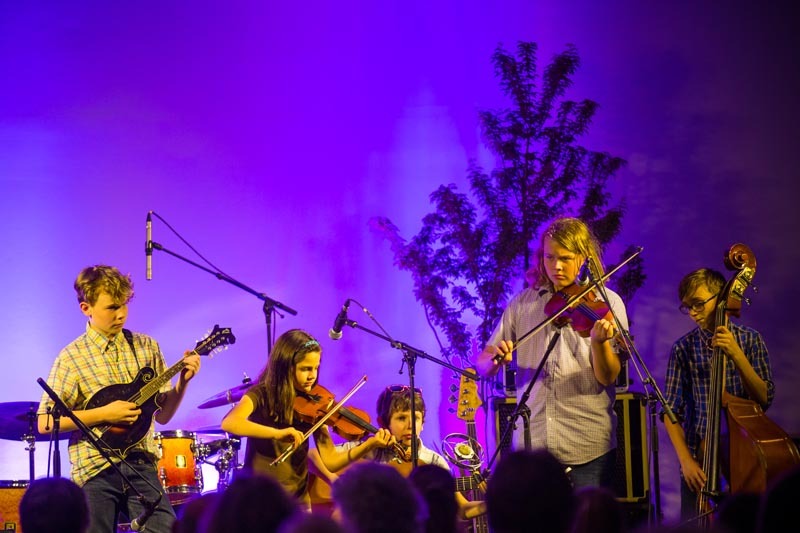 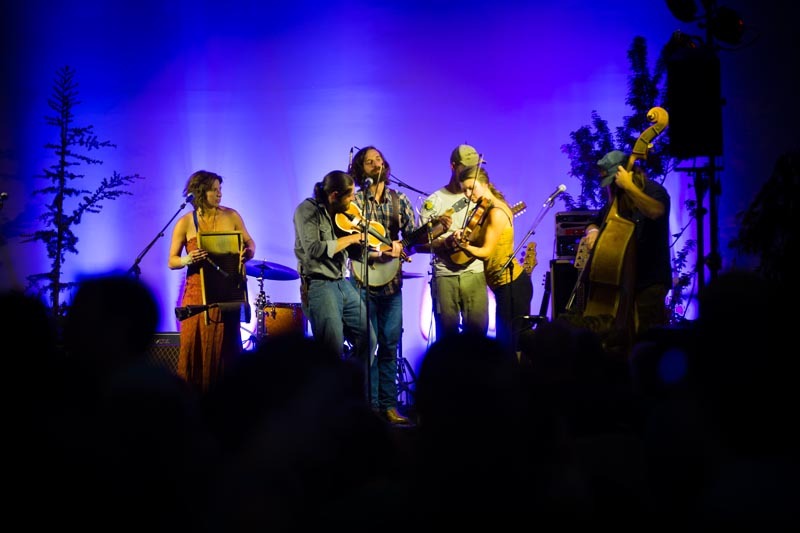 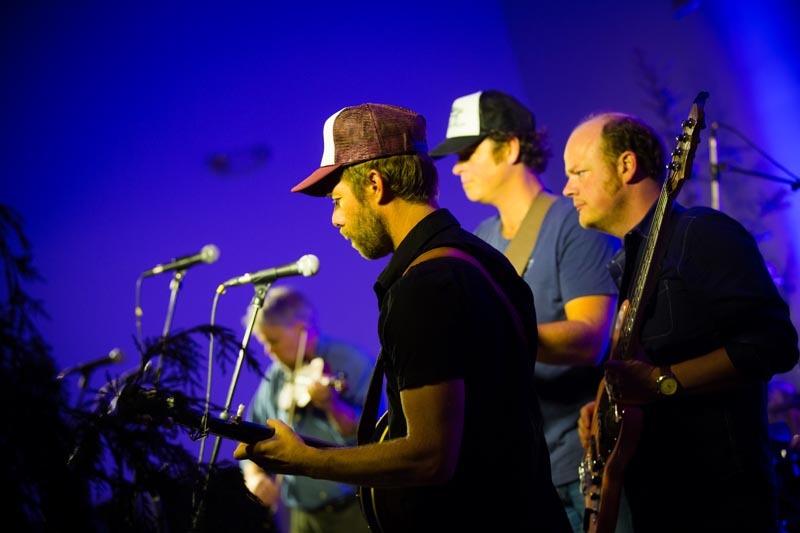 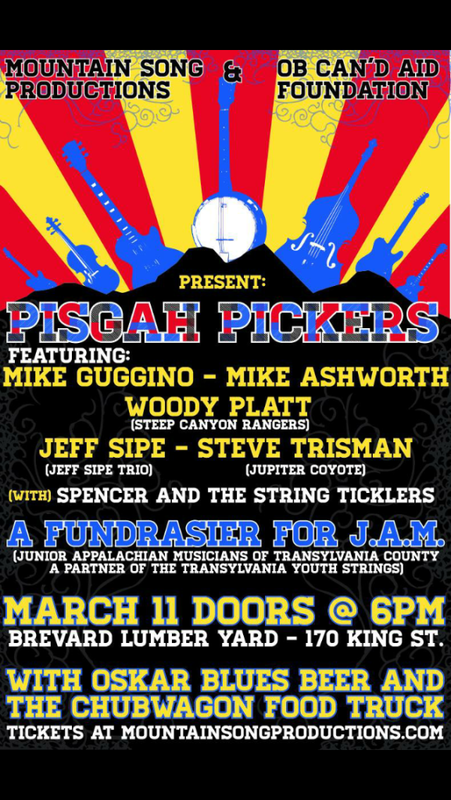 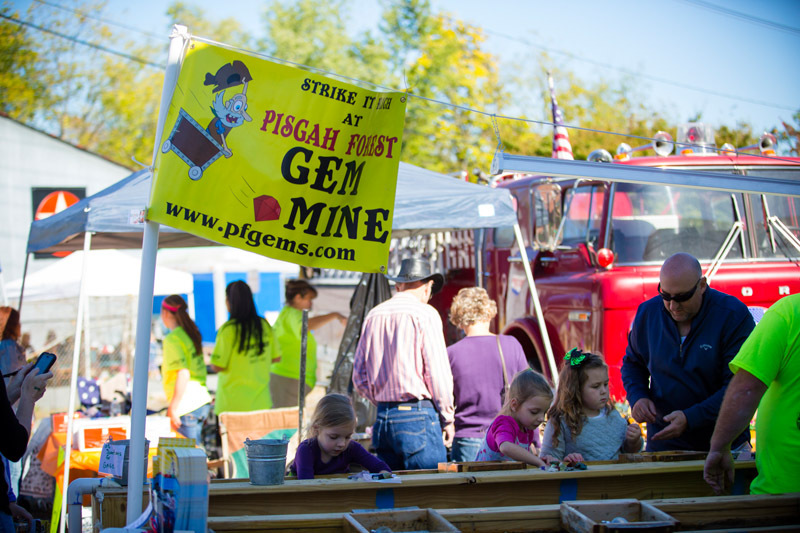 The Pisgah Pickers are a mixture of some of the areas best musicians forming as the alter-ego of their respective ensembles. 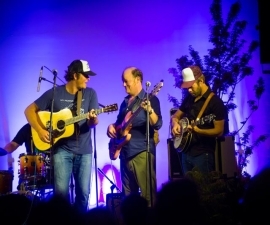 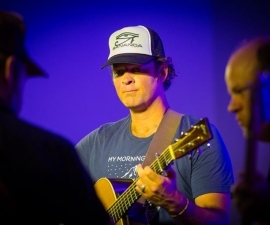 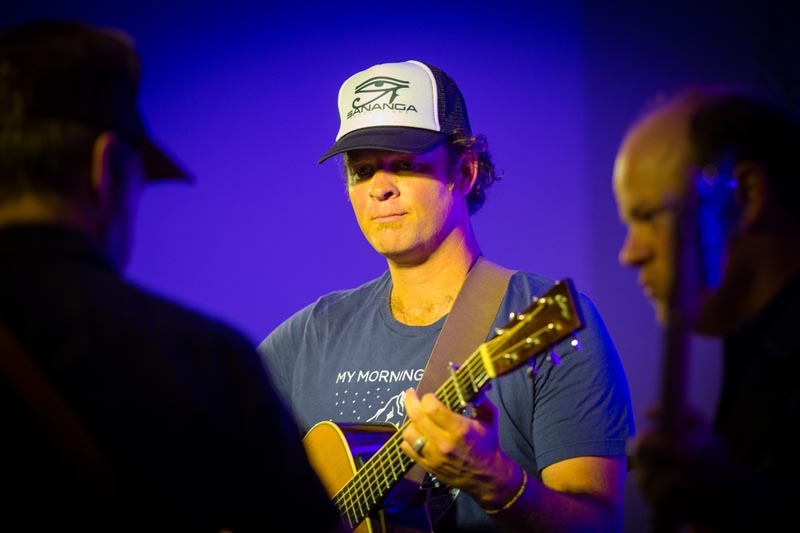 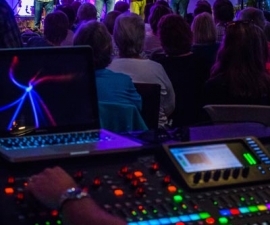 The band is comprised of Woody Platt, Mike Guggino and Mike Ashworth (Steep Canyon Rangers), Jeff Sipe, and Steve Trismen of Jupiter Coyote. 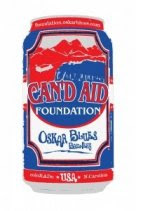 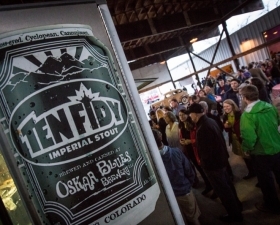 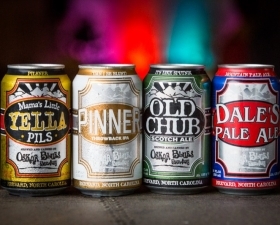 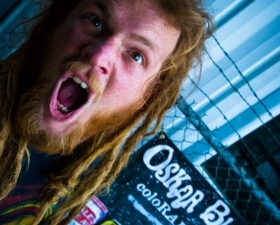 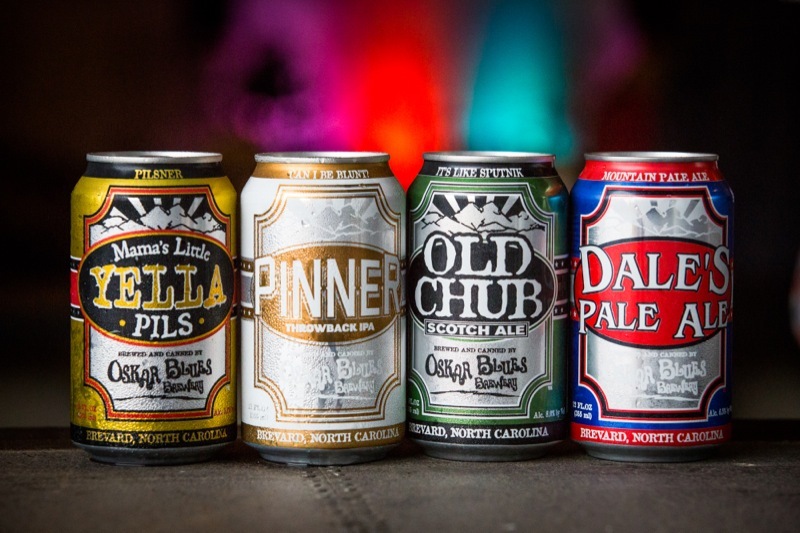 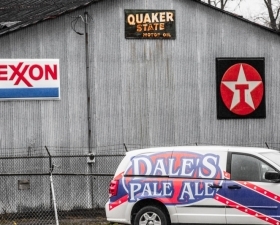 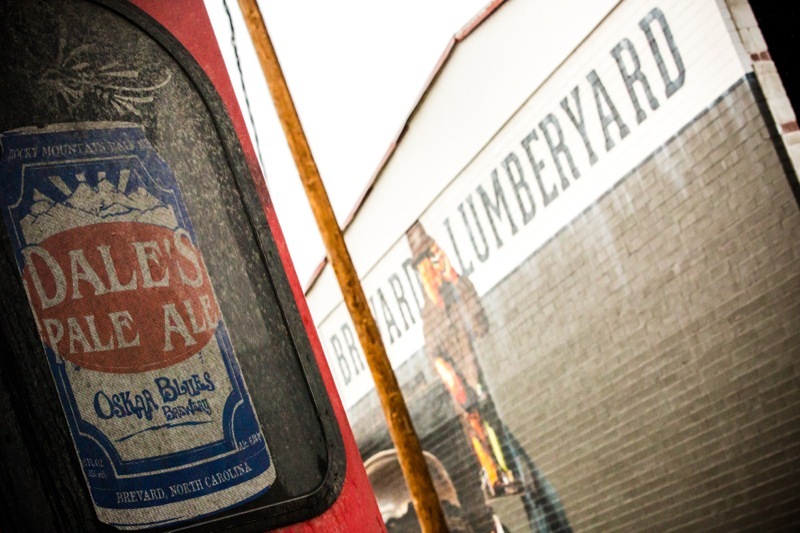 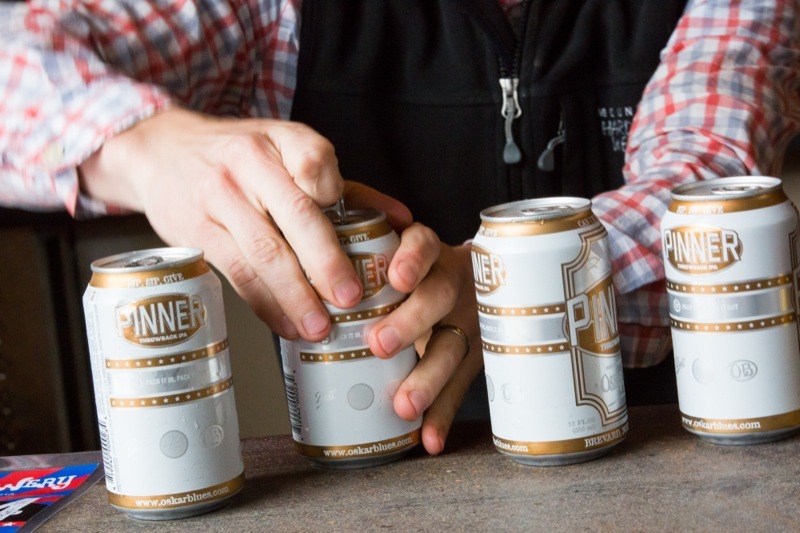 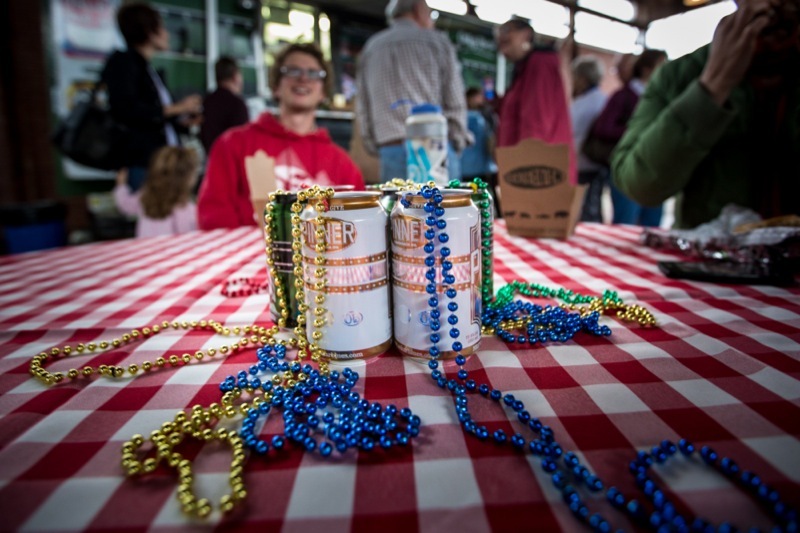 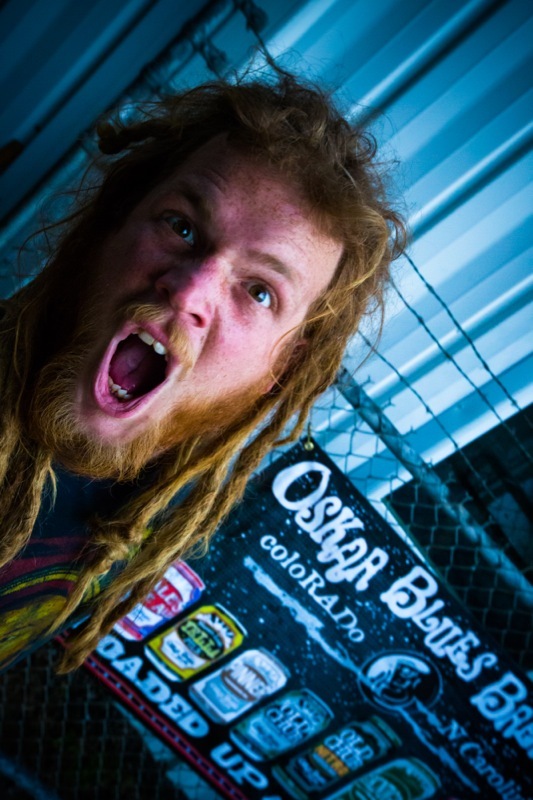 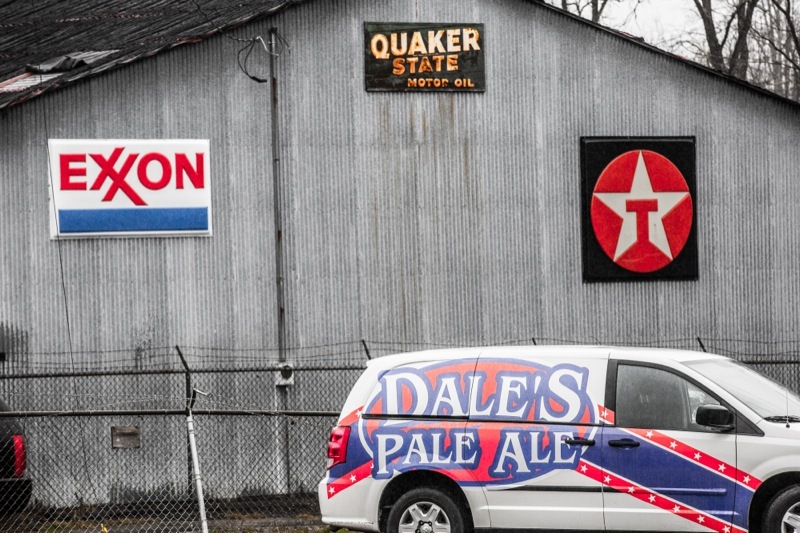 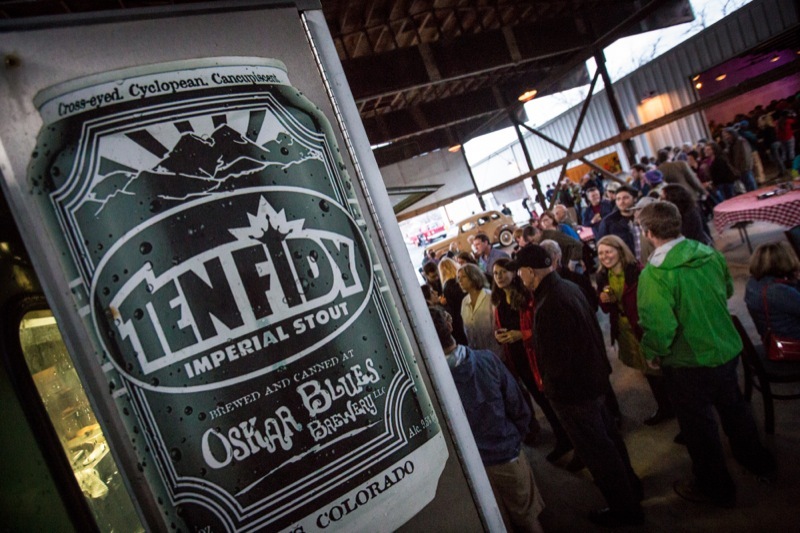 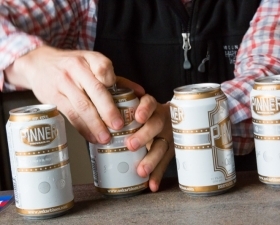 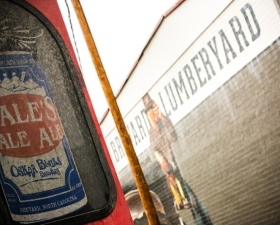 The Oskar Blues CAN’d Aid Foundation is donating beer to be sold to benefit JAM and the Oskar Blues CHUBwagon will be onsite serving burgers. 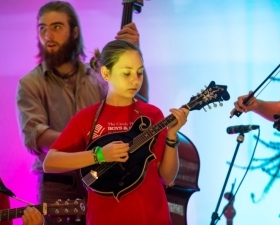 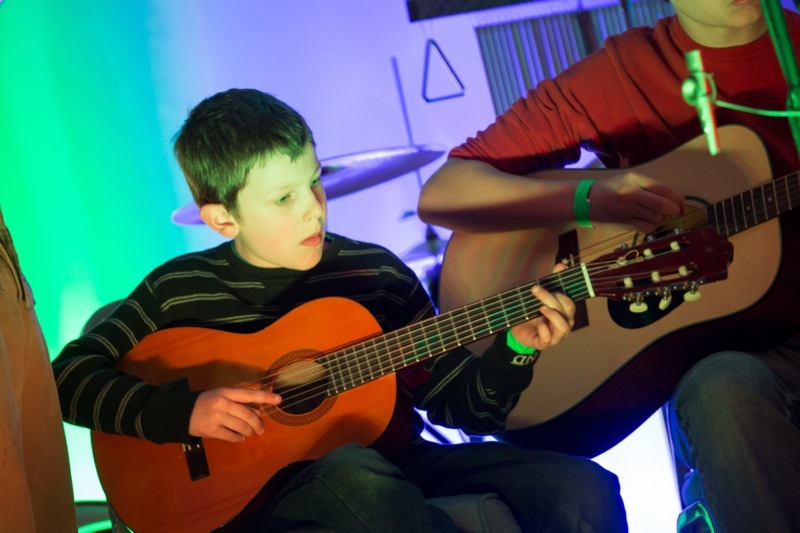 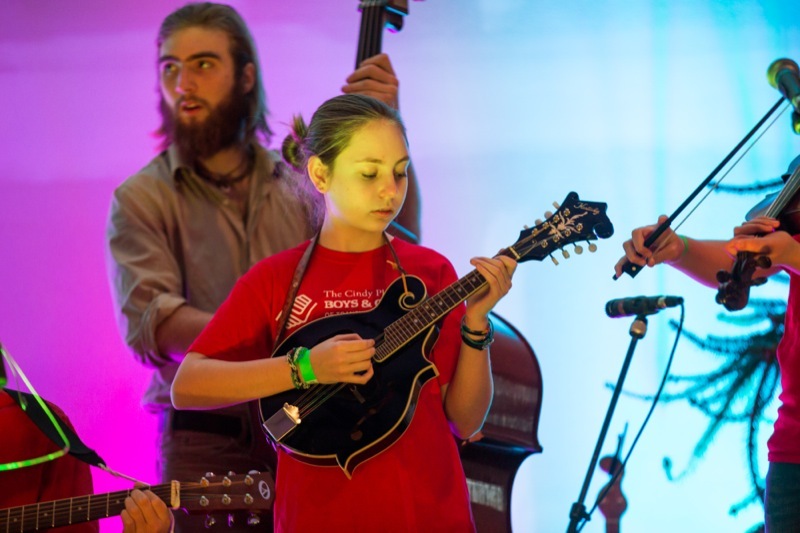 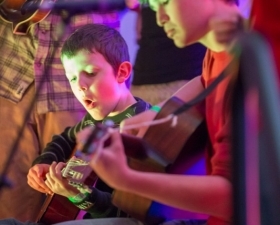 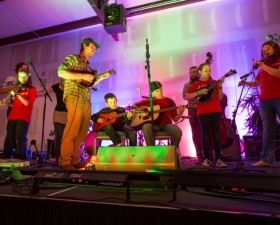 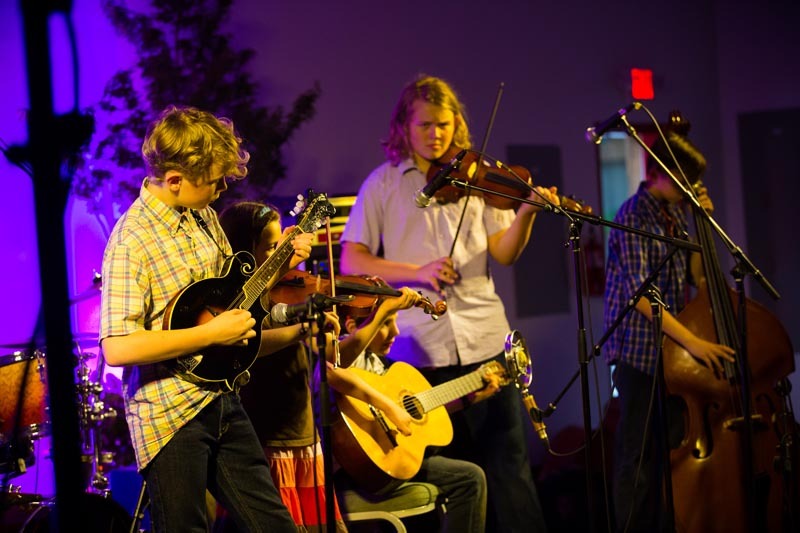 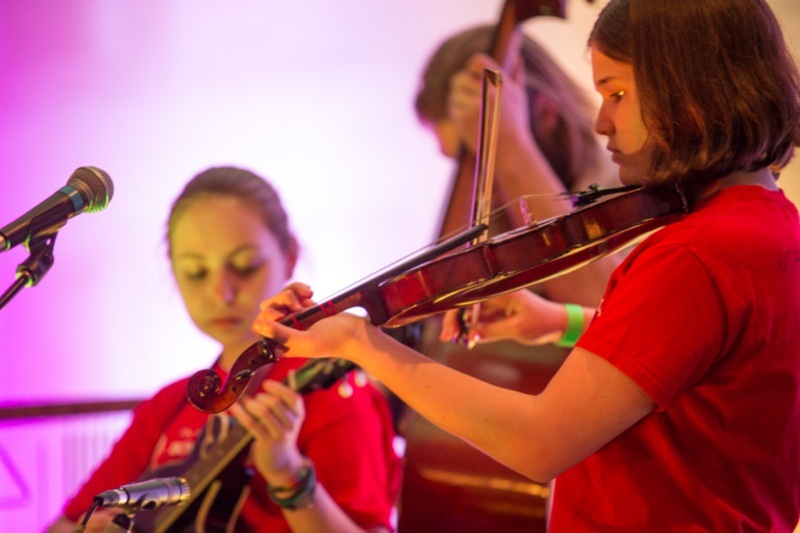 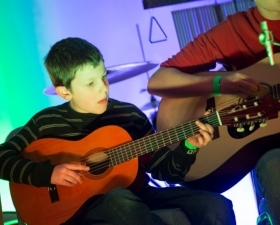 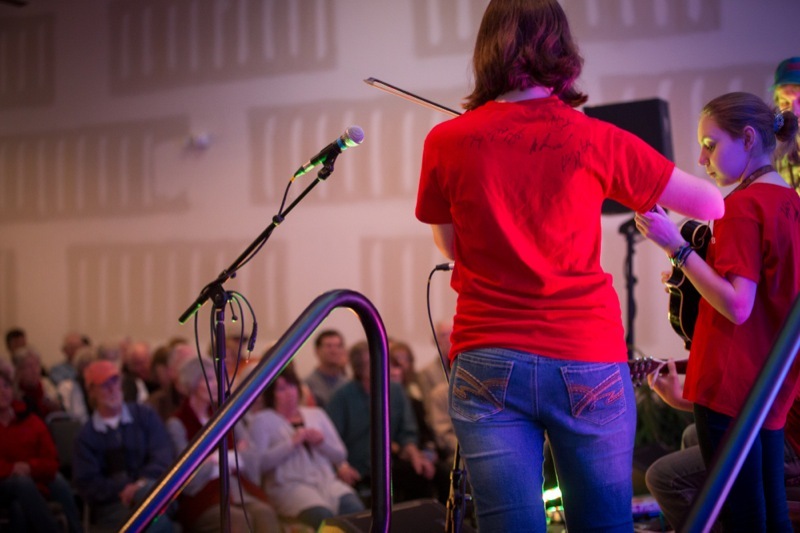 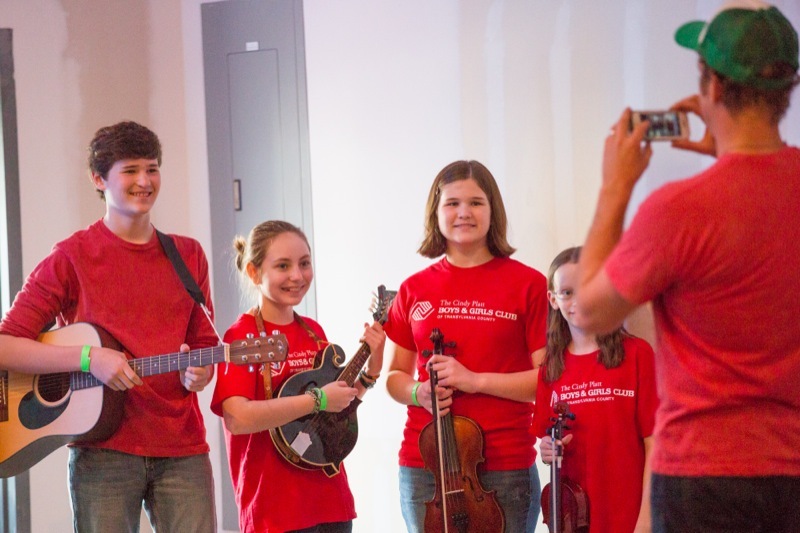 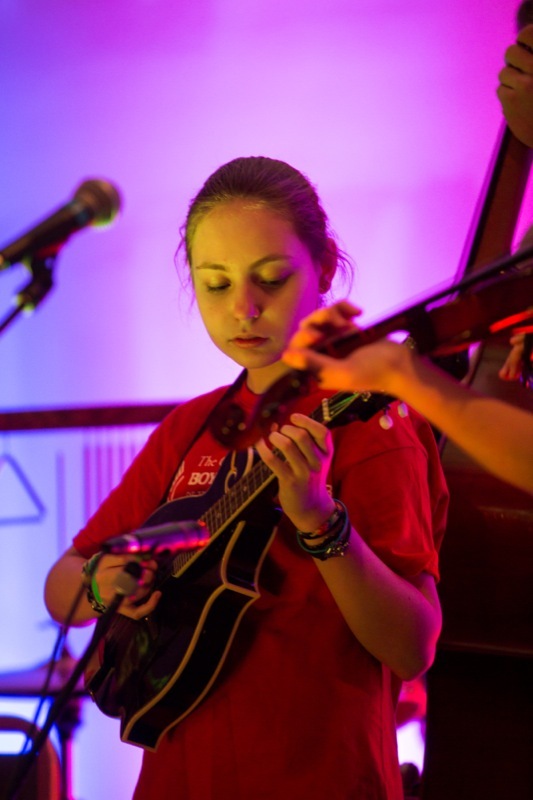 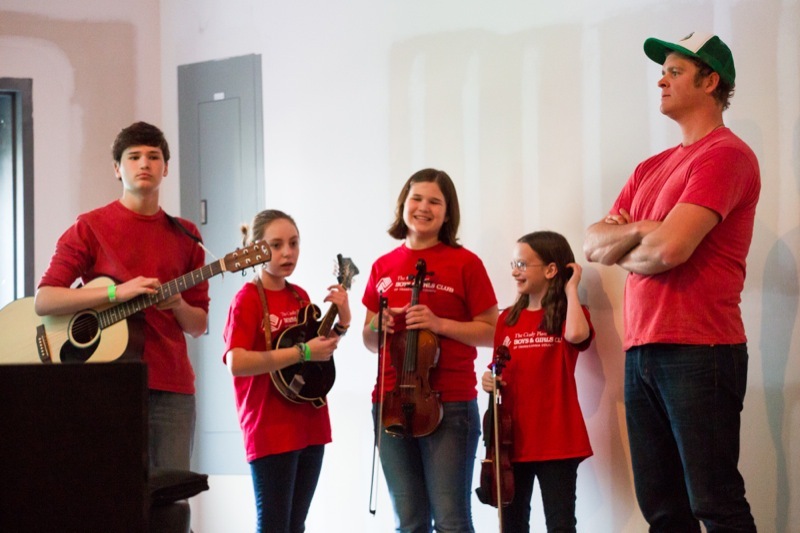 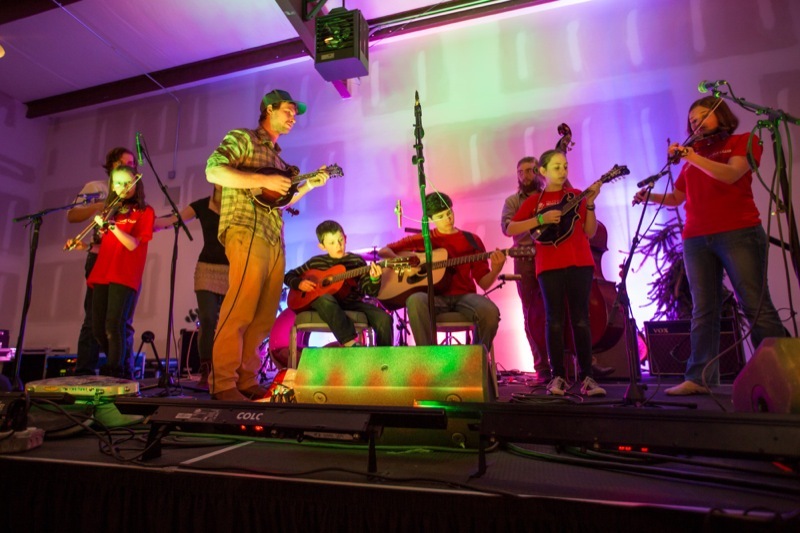 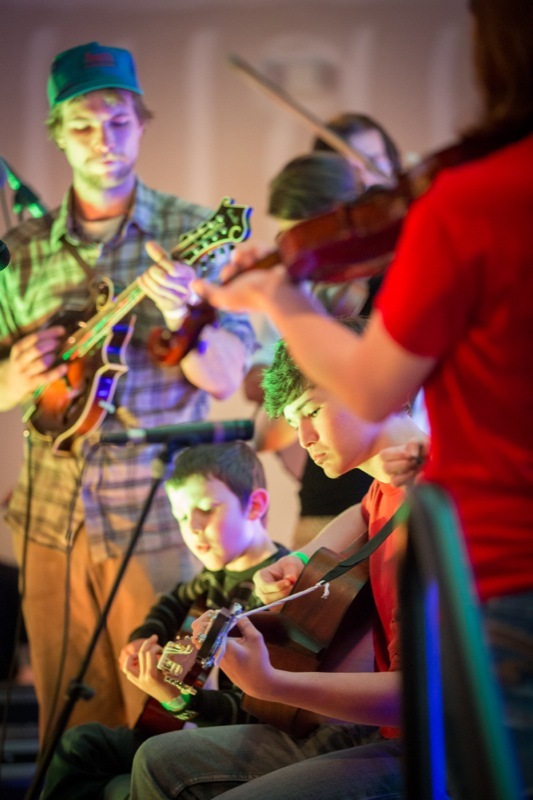 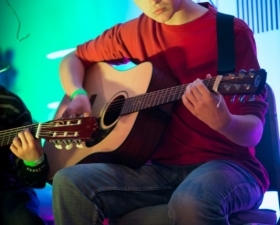 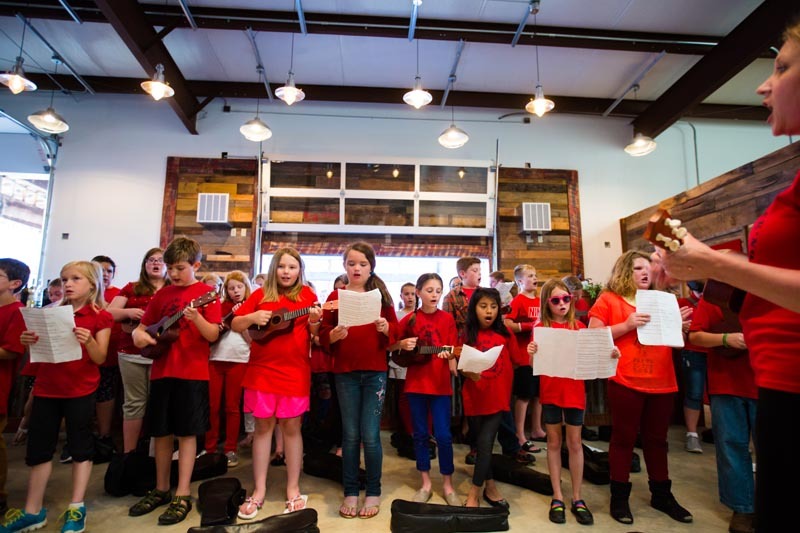 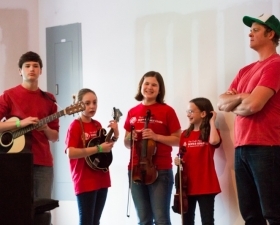 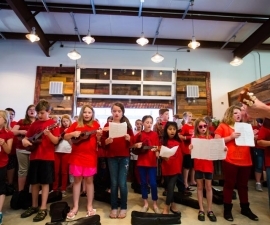 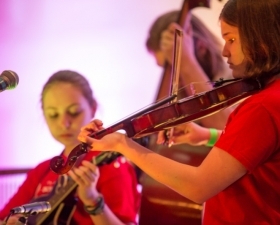 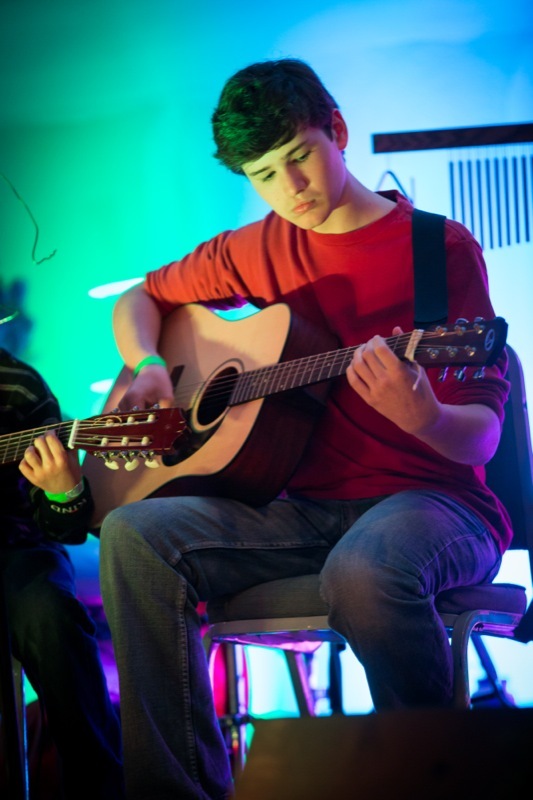 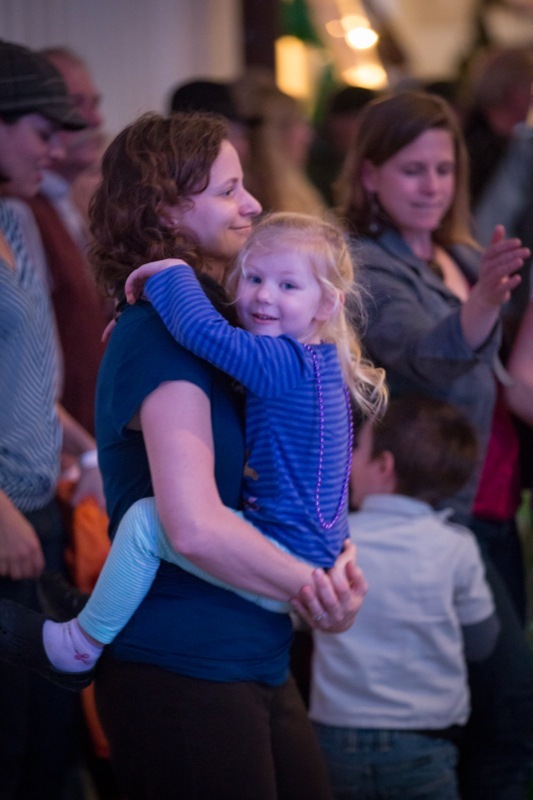 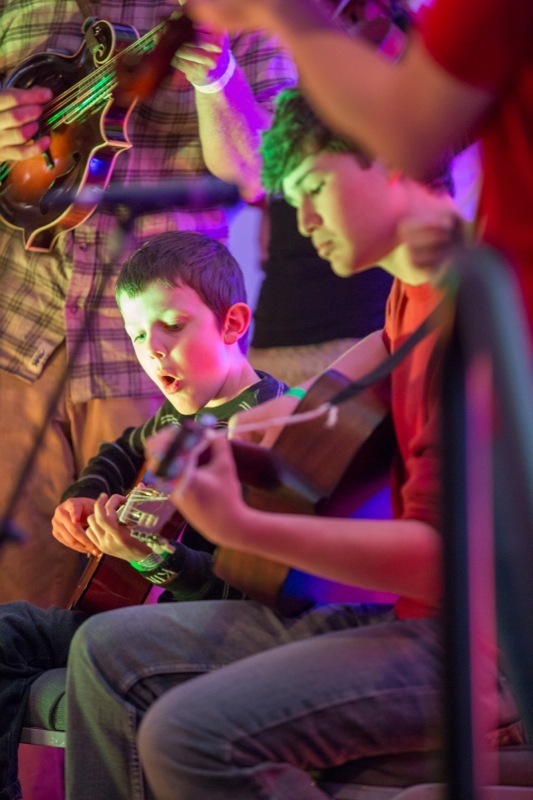 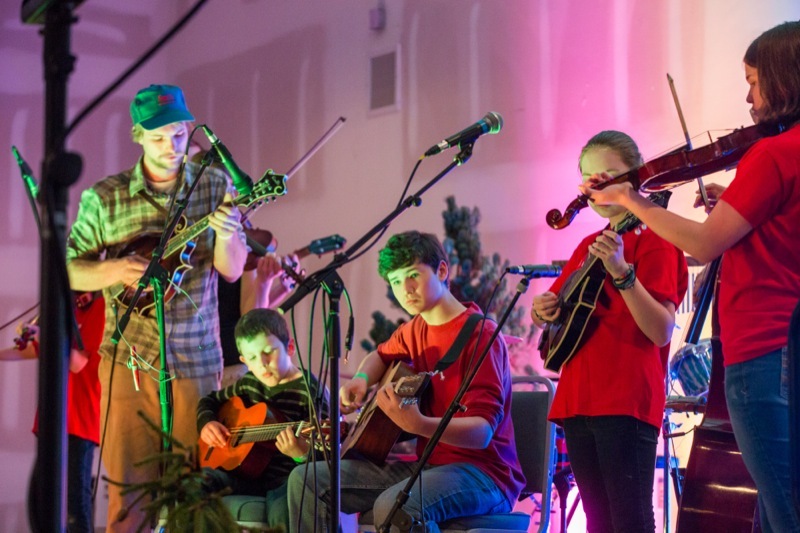 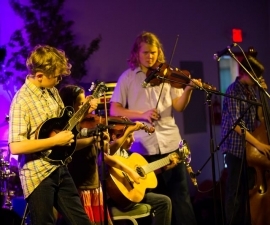 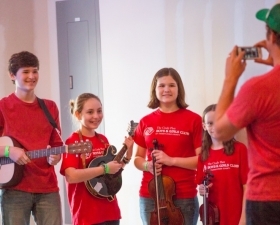 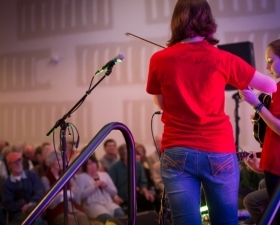 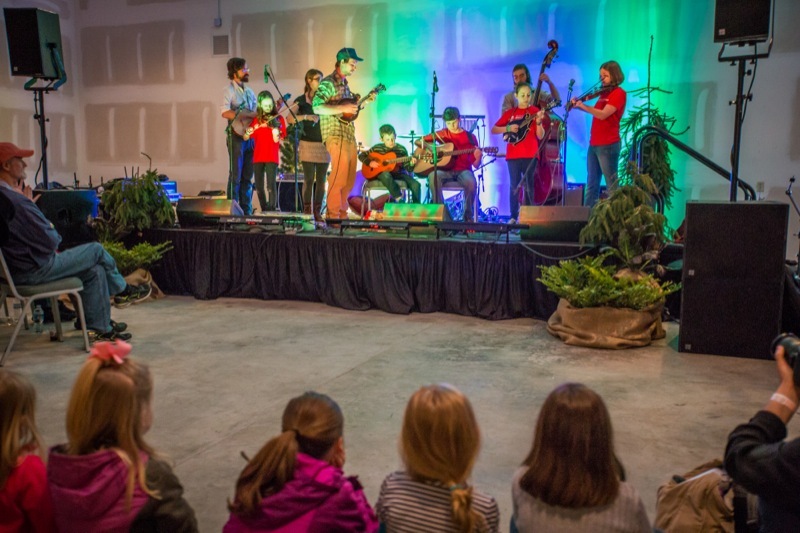 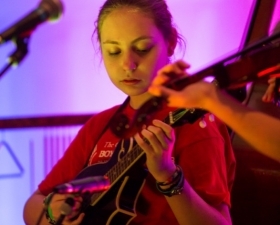 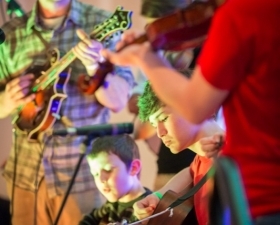 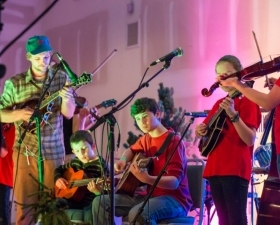 JAM is an after school program offering free instruction on stringed instruments in Traditional Appalachian music held at the Cindy Platt Boys & Girls Club of Transylvania Co.
Tickets: $20 Advance. 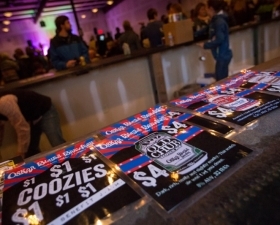 $25 At the Door. 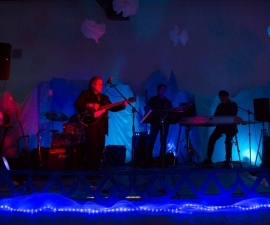 Visit www.mountainsongproductions.com for more info. 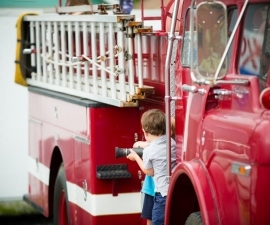 This entry was posted in Past Events on February 10, 2015 by oliver. 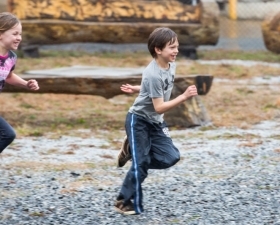 This entry was posted in Past Events on January 27, 2015 by oliver.